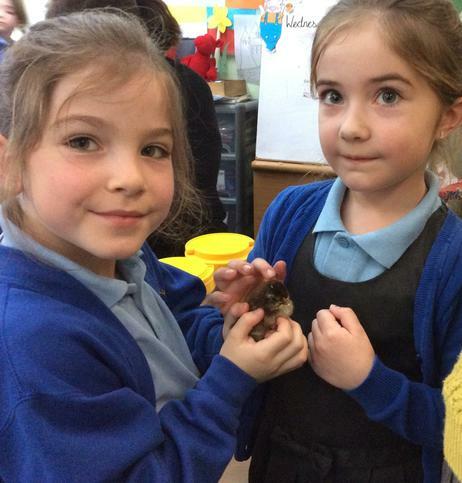 Today we had some special visitors. 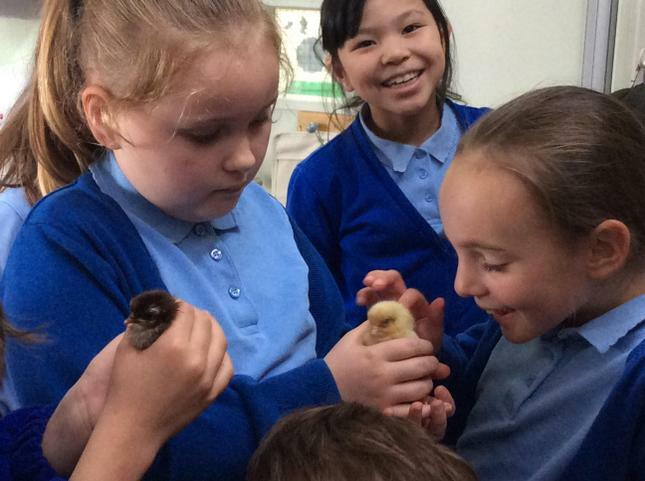 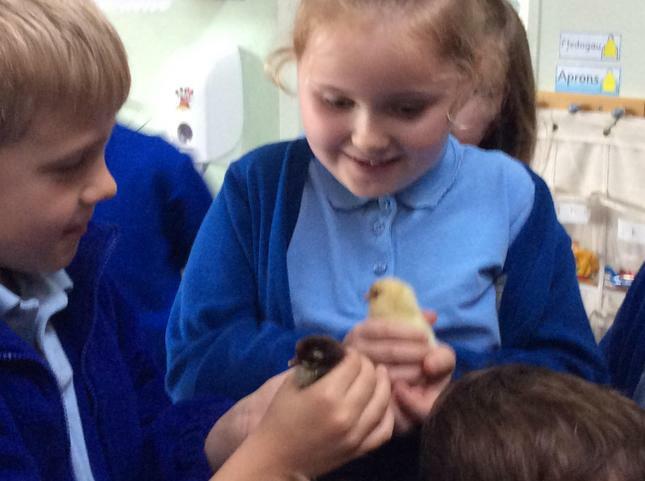 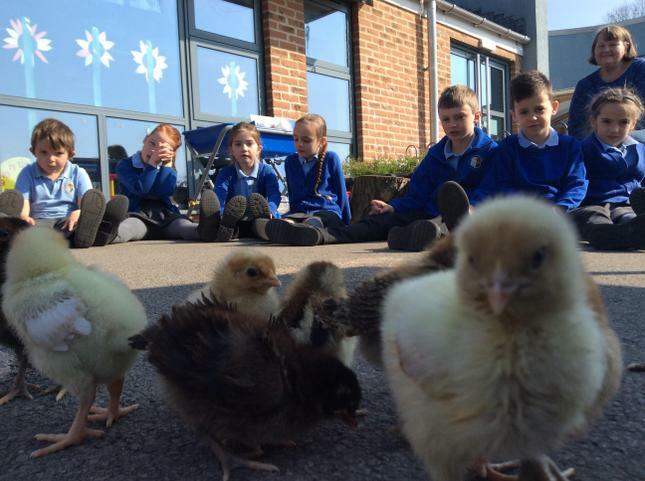 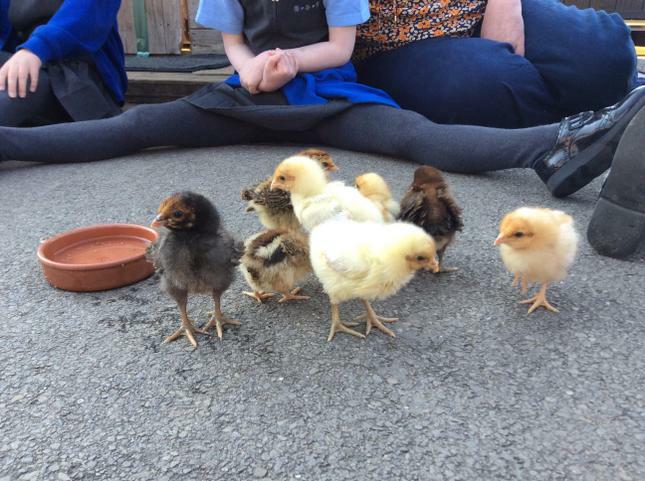 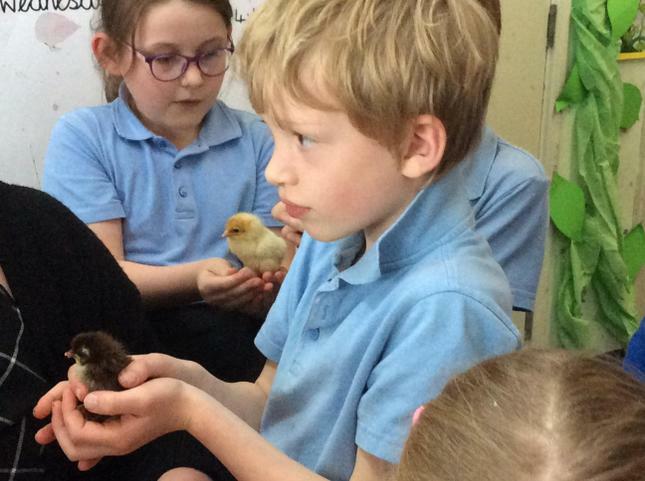 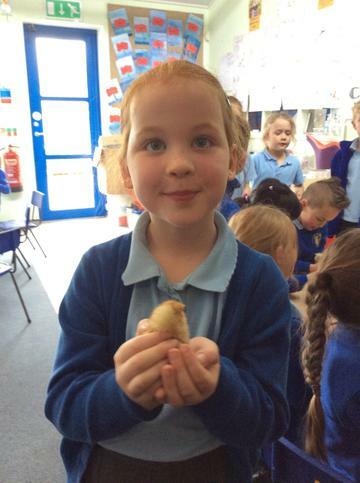 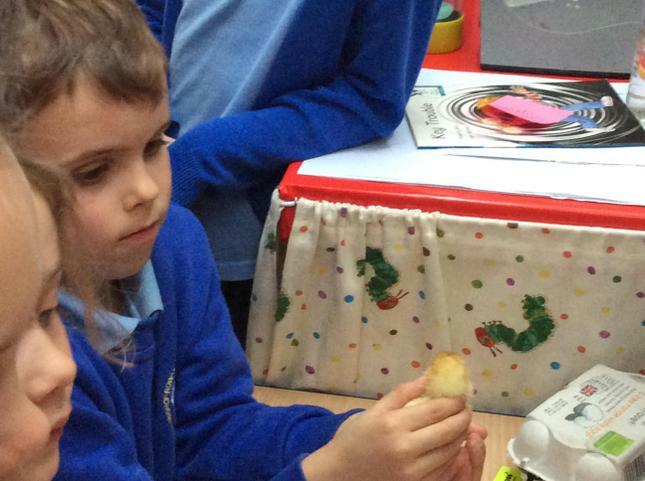 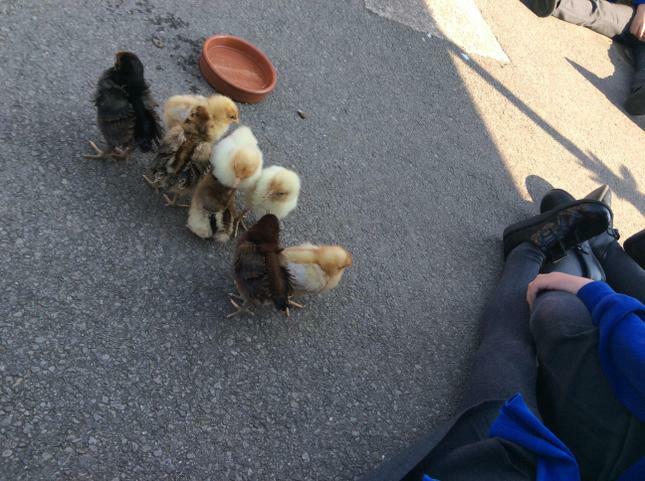 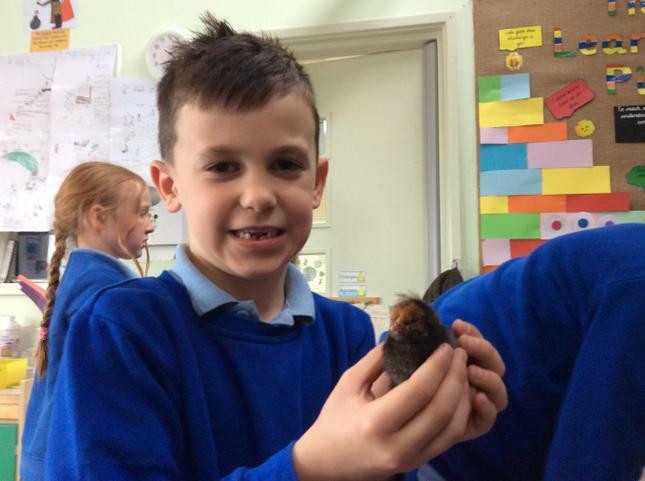 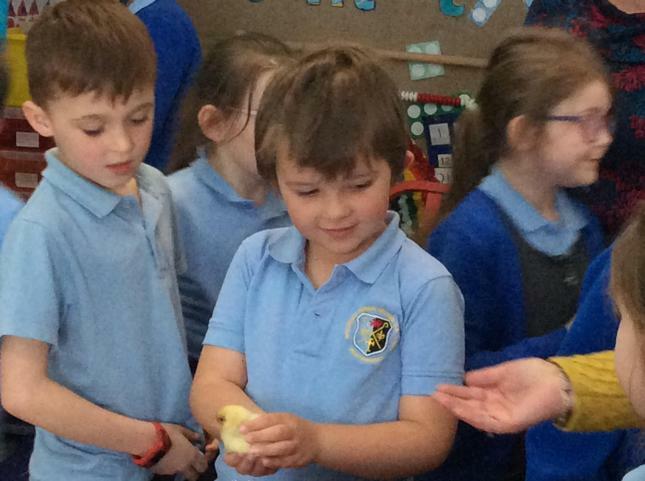 We have been learning about Growing Things so Mrs Stephens brought some chicks in to see us. 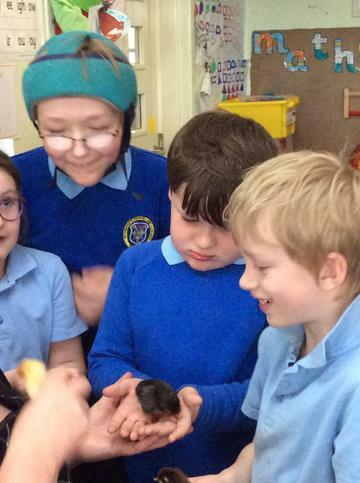 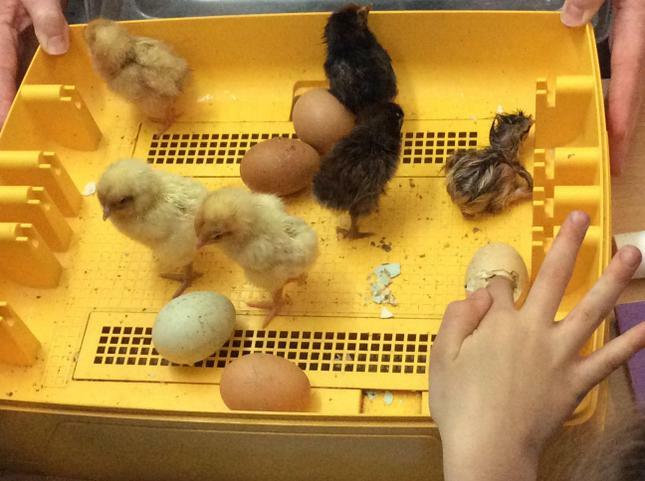 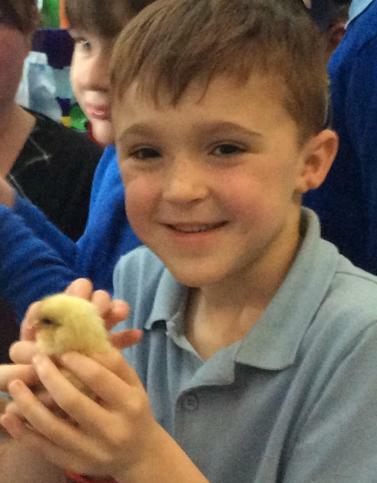 We saw a chick hatching and got to hold the chicks. 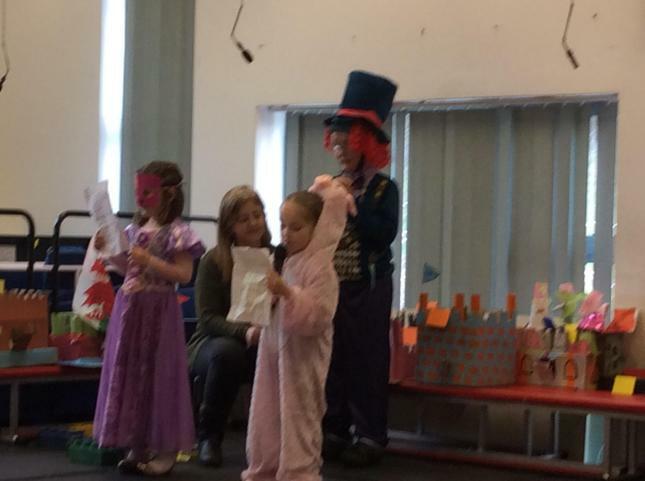 Thank you so much to all of our family and friends that came to support year two this afternoon. 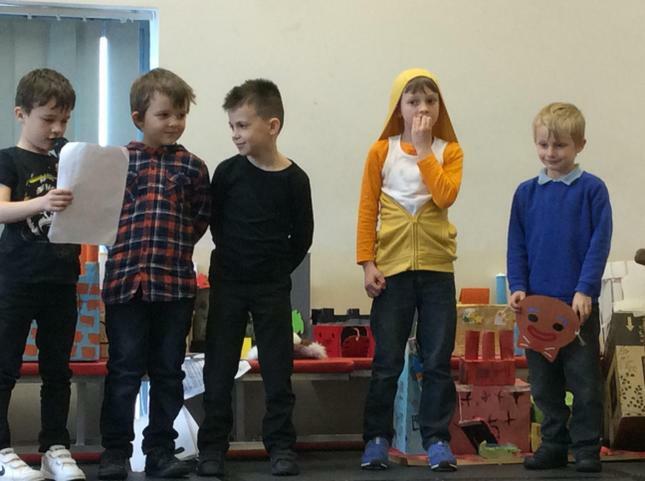 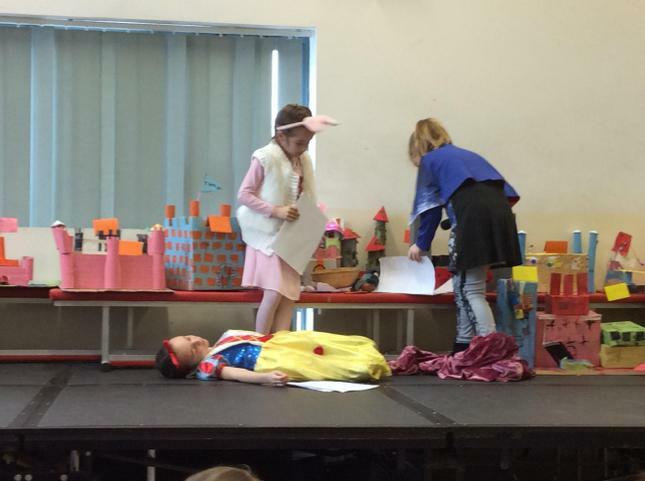 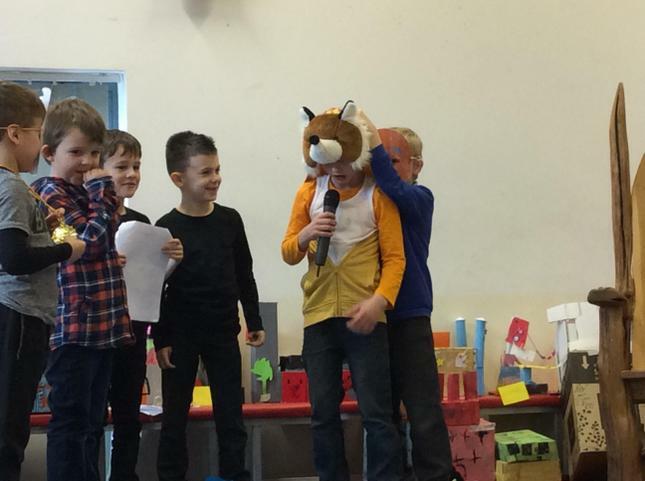 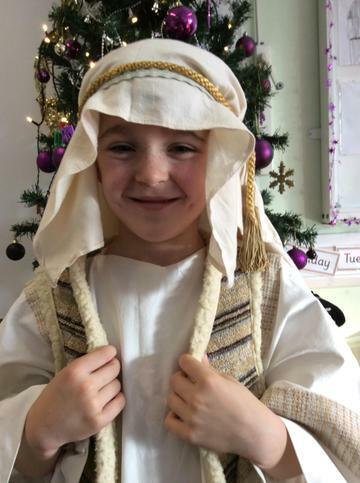 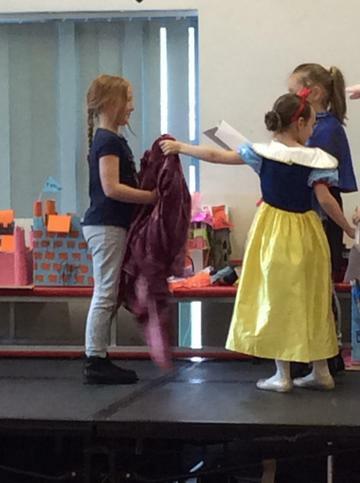 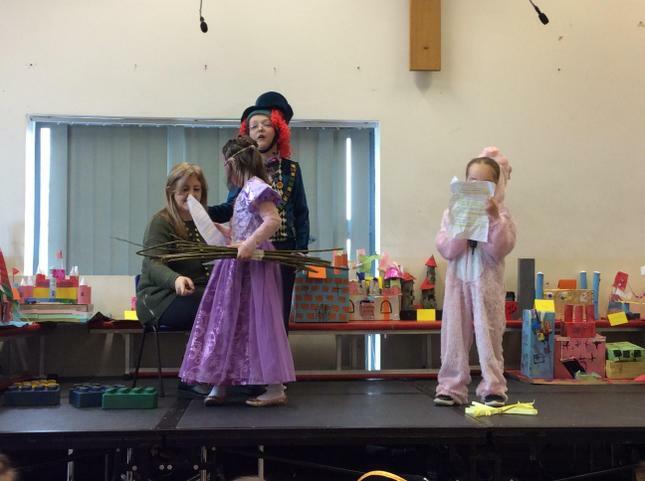 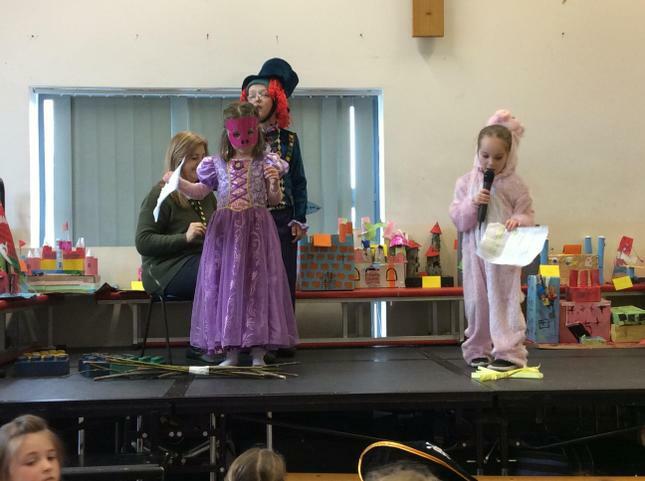 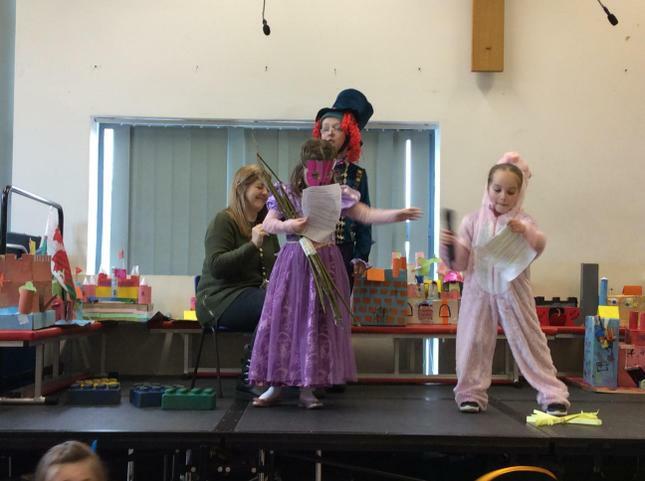 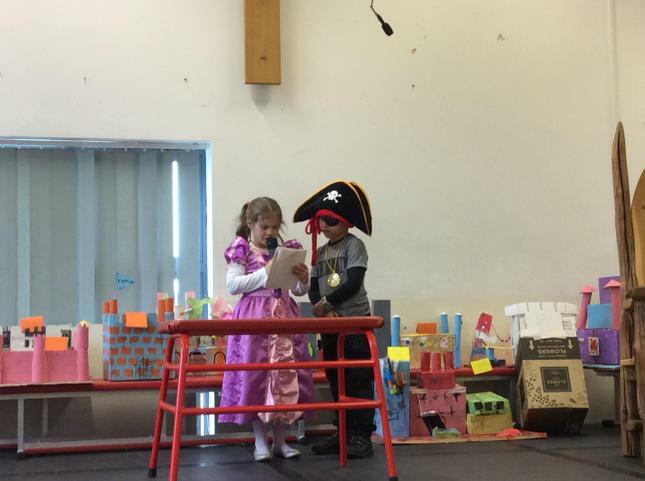 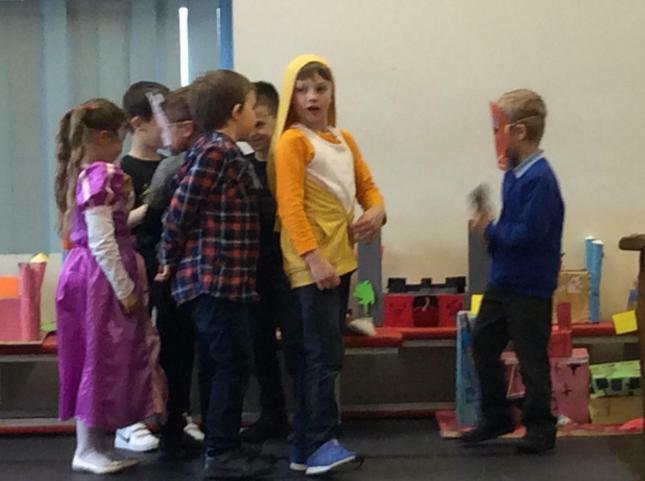 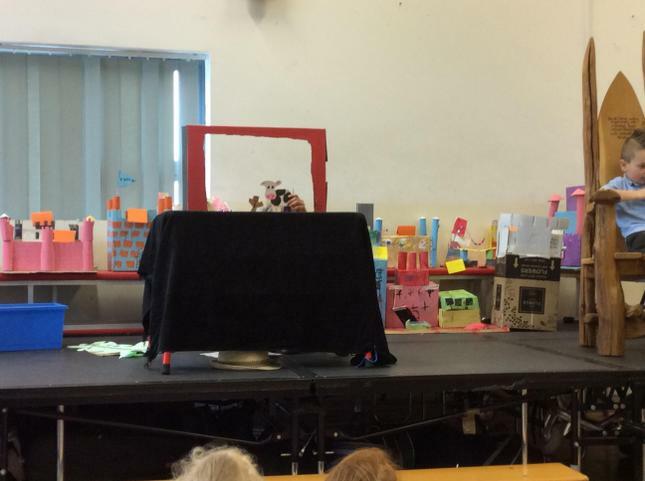 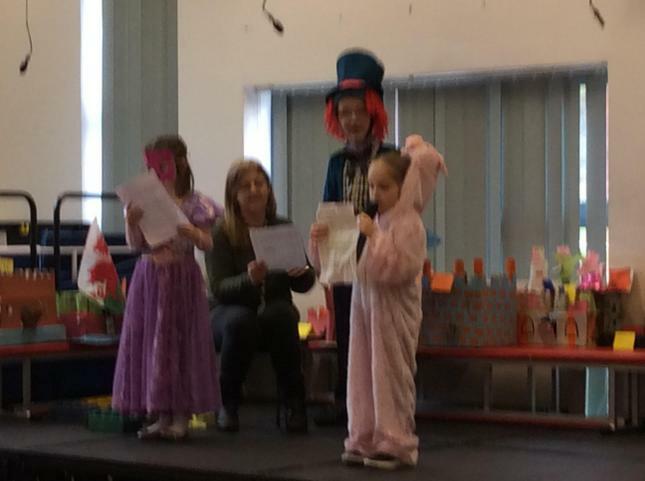 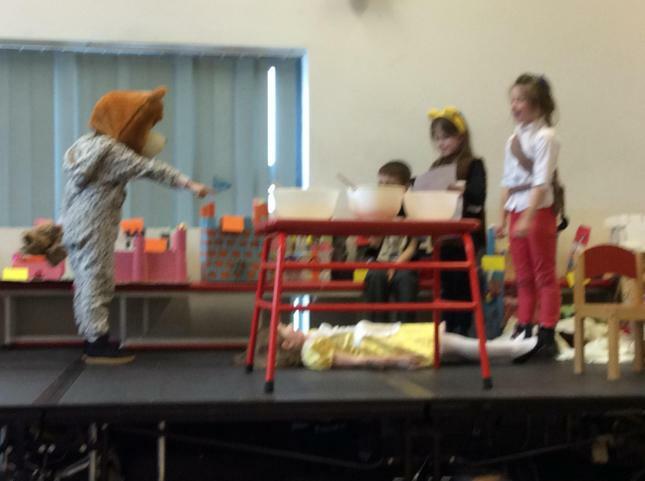 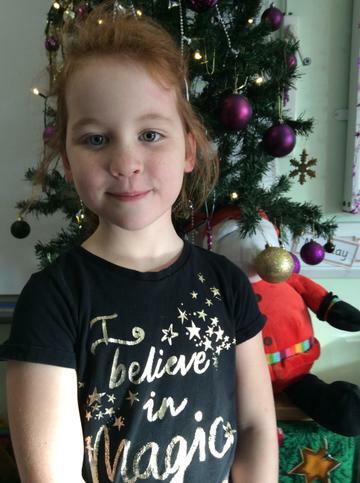 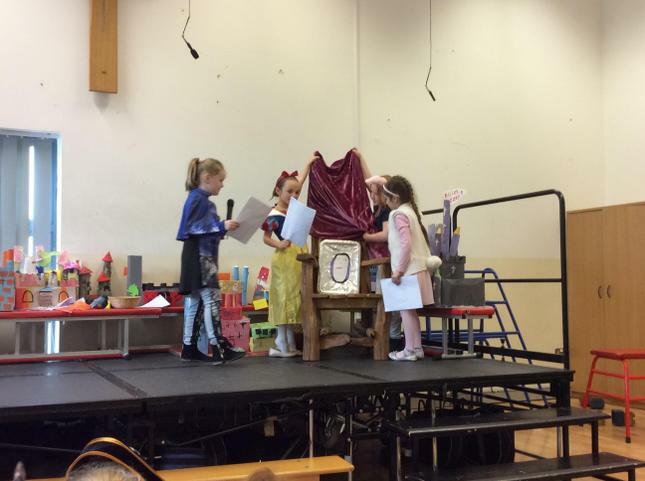 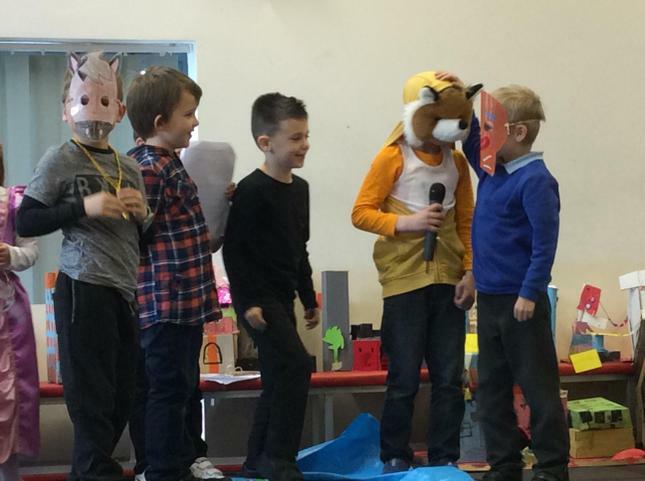 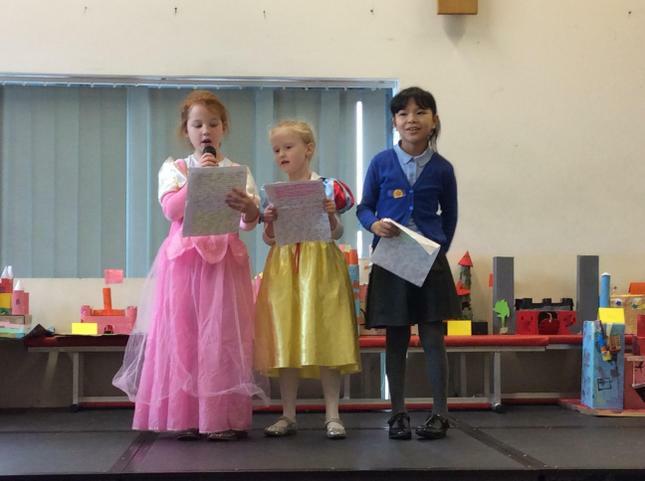 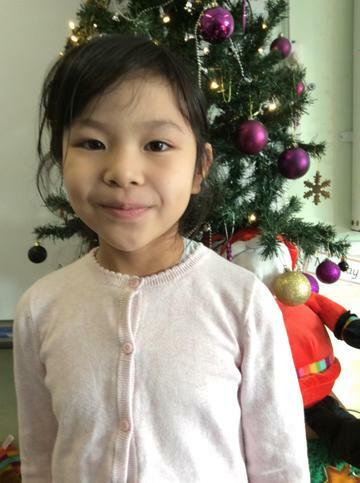 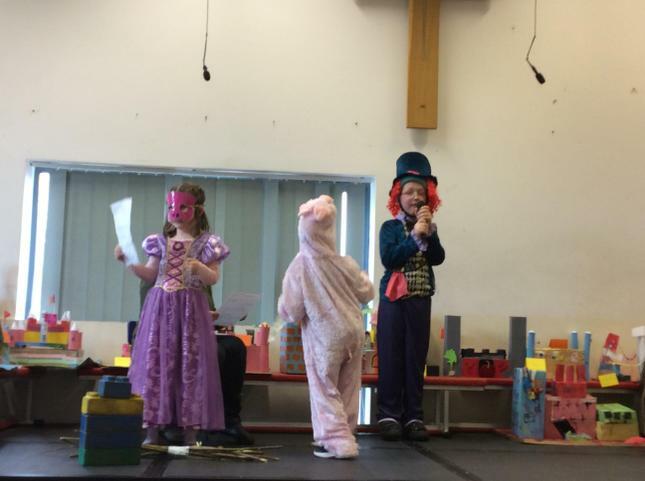 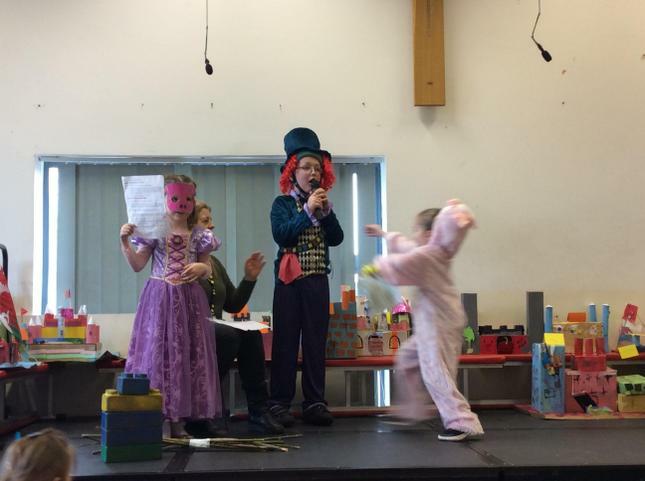 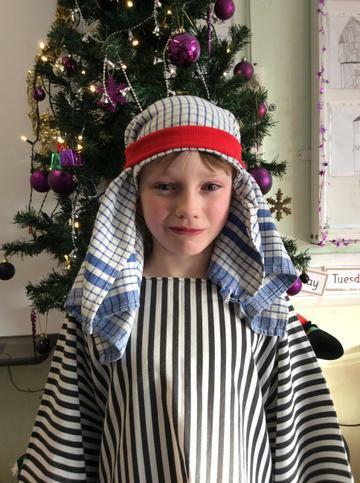 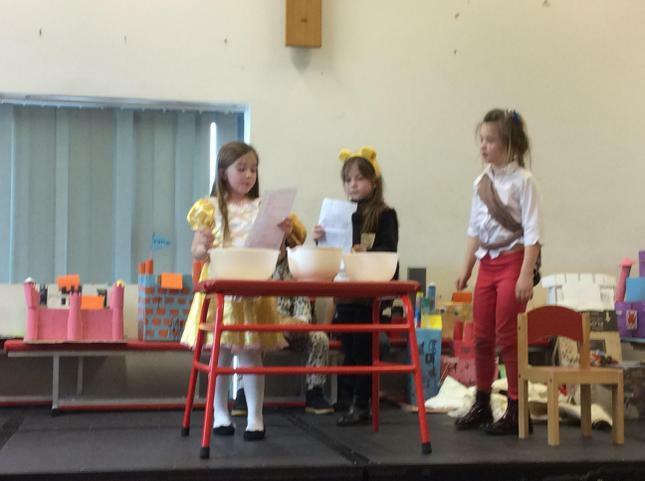 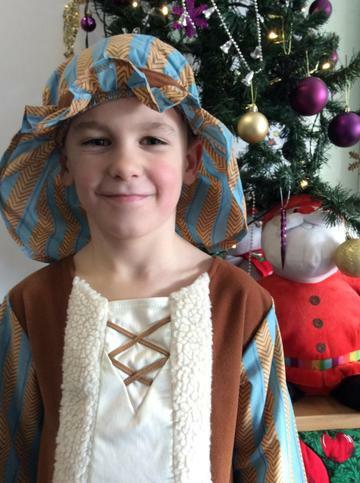 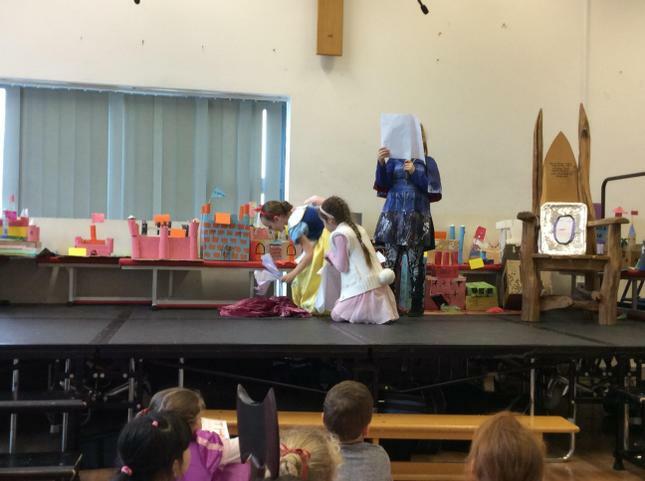 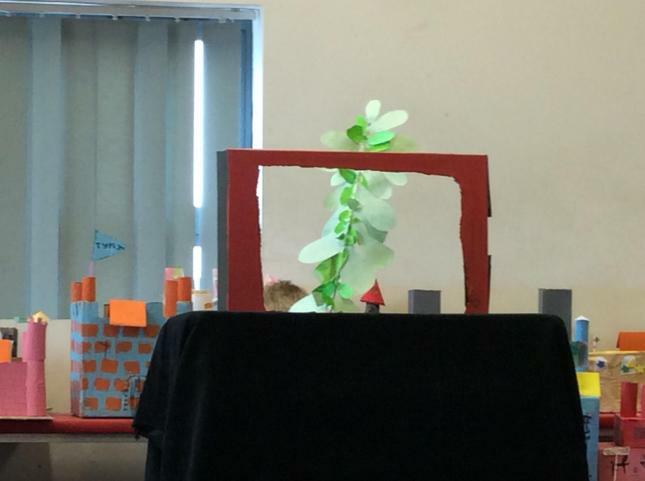 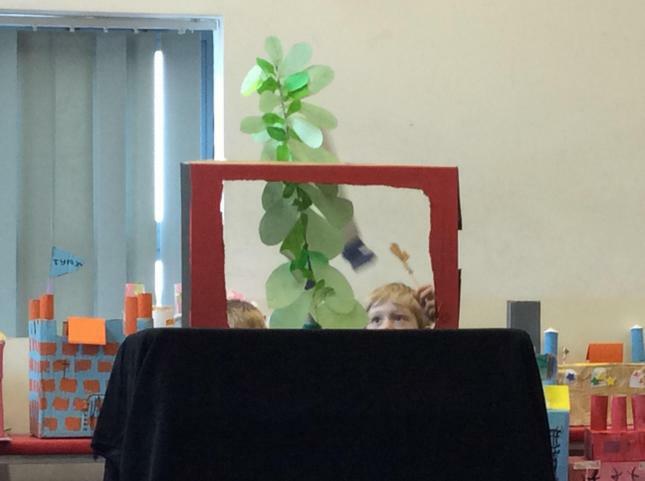 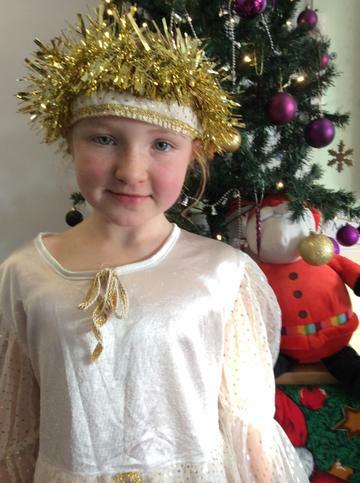 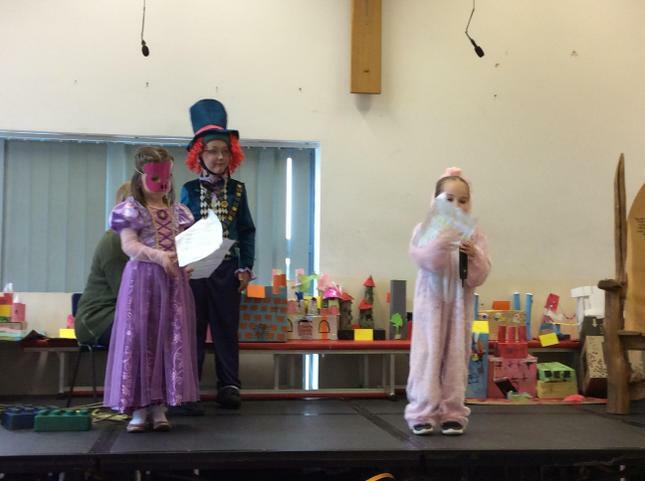 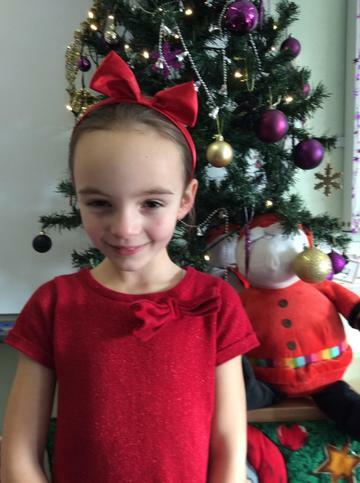 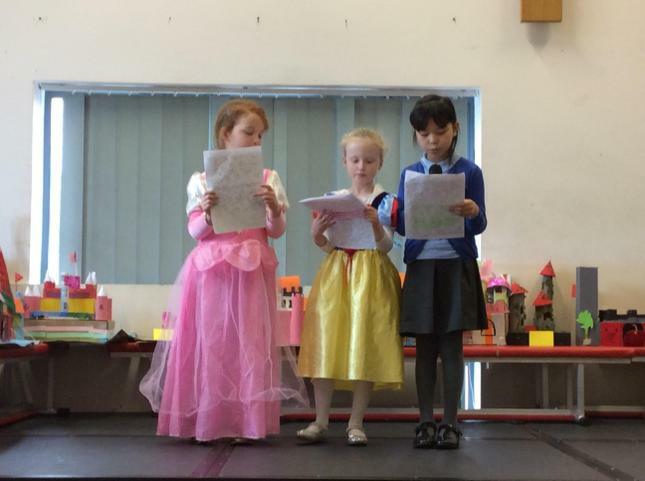 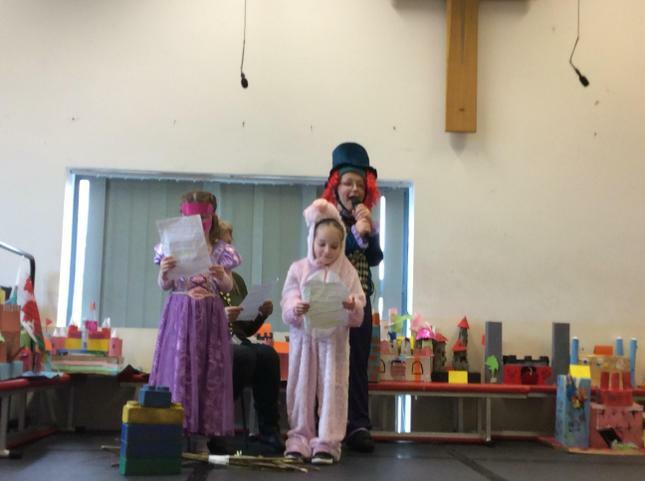 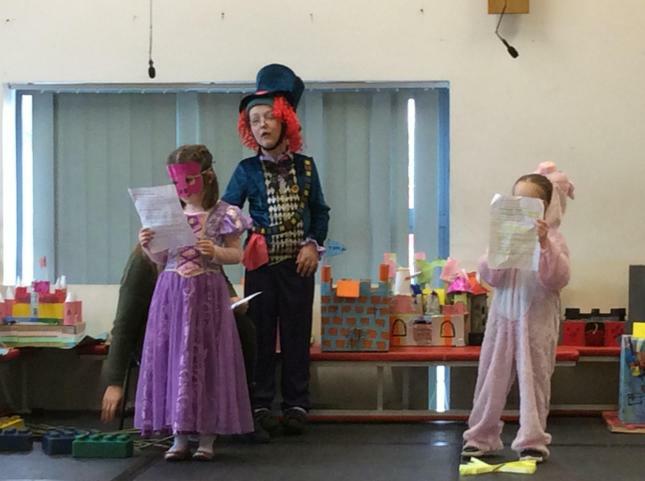 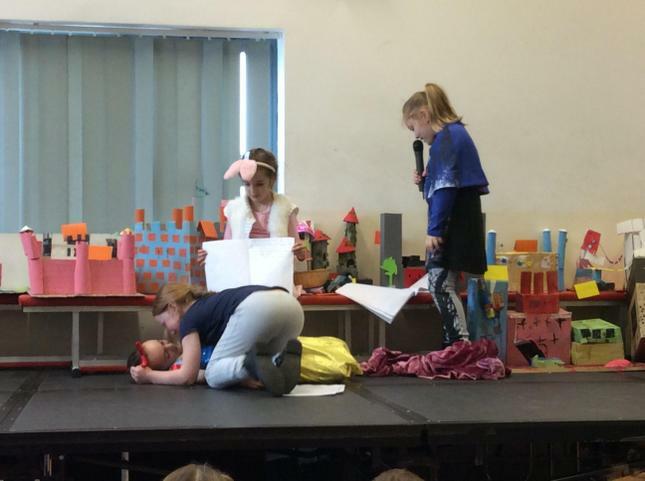 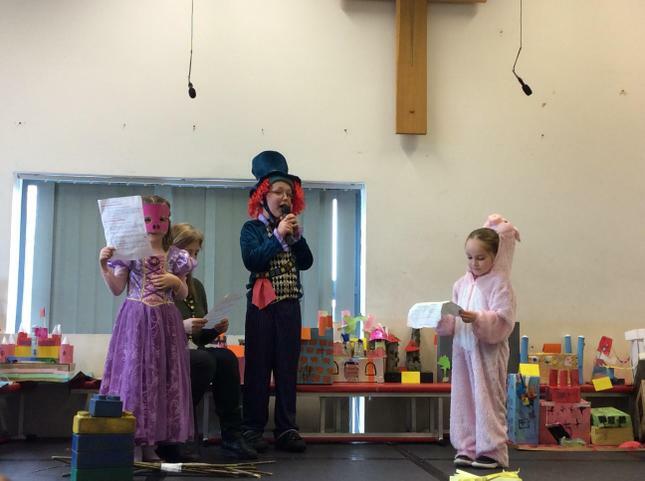 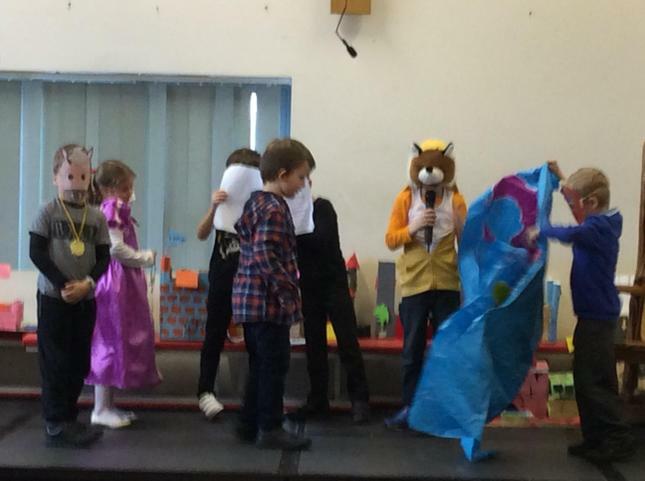 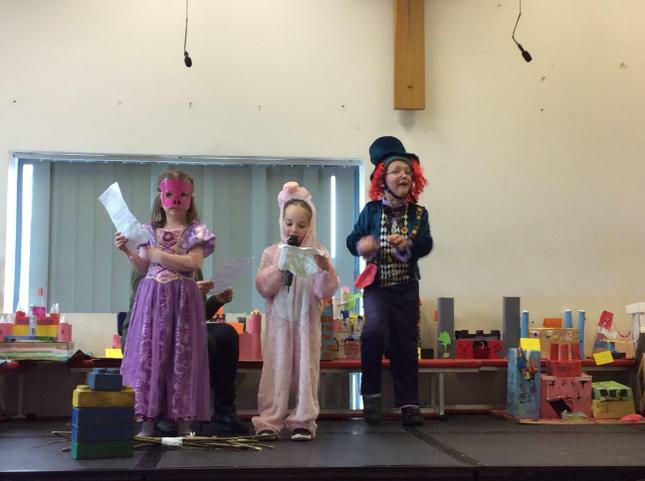 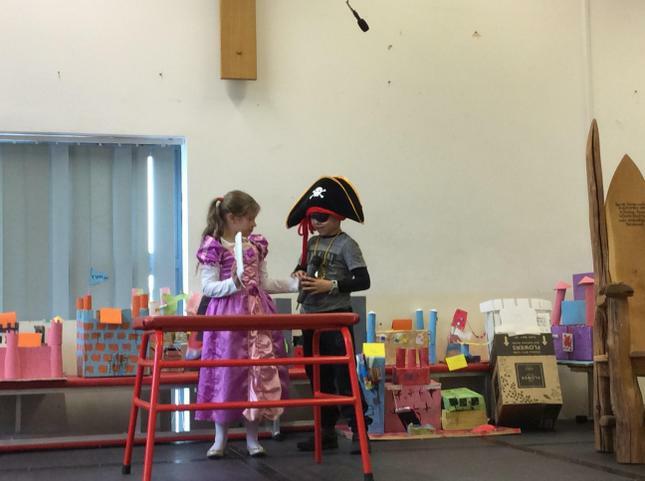 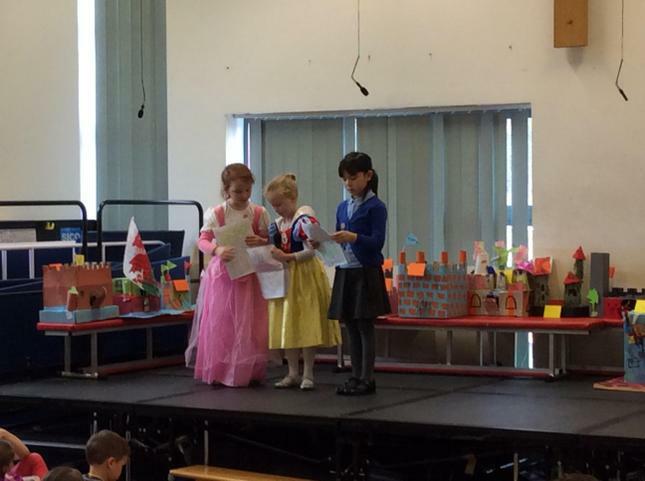 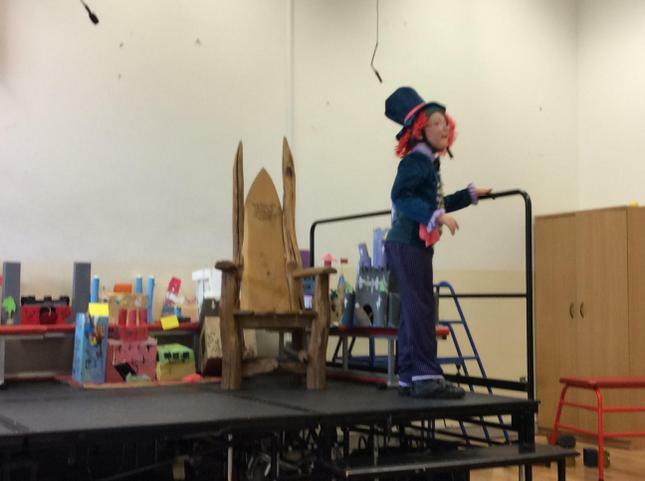 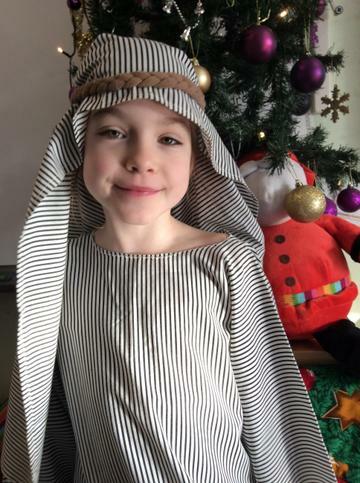 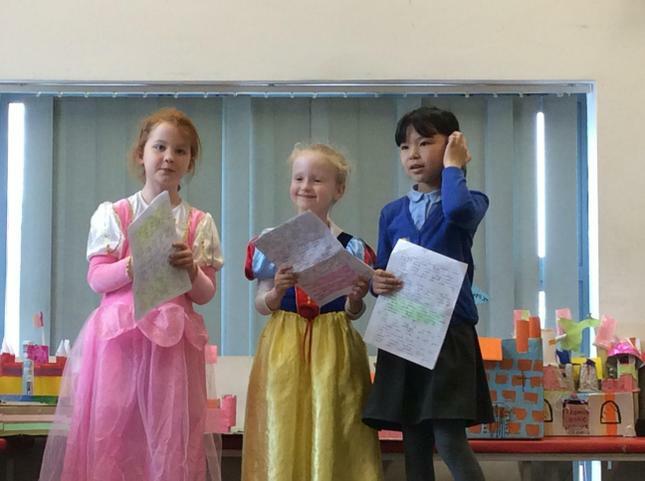 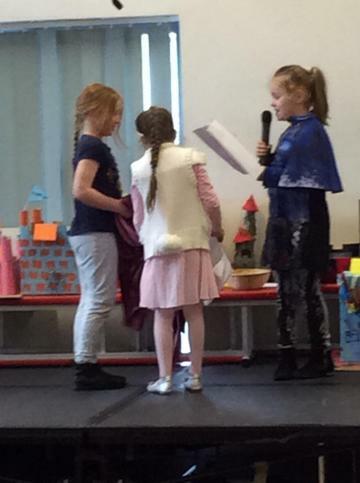 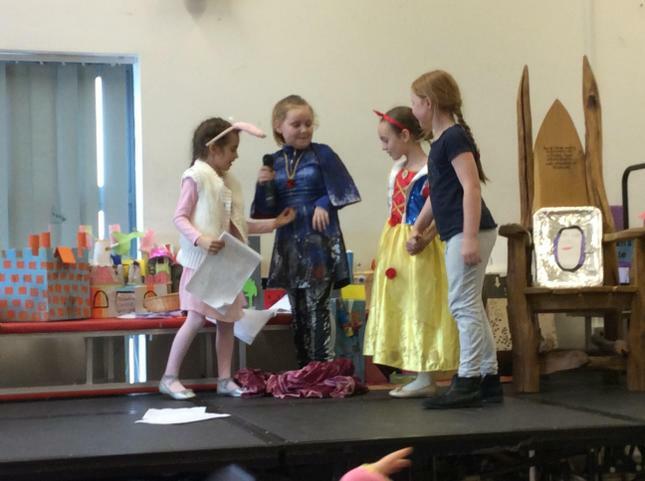 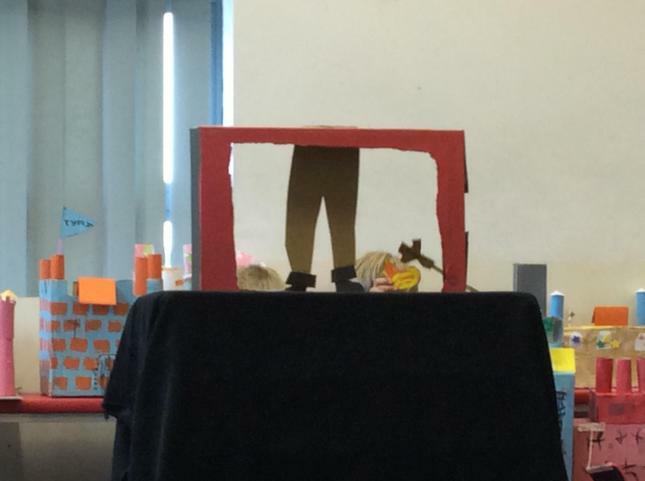 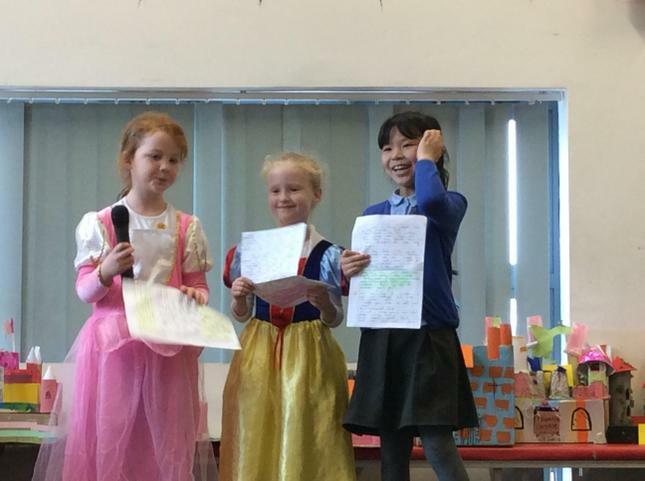 The children have worked incredibly hard to prepare their performances and deserve all the support and praise that they received. 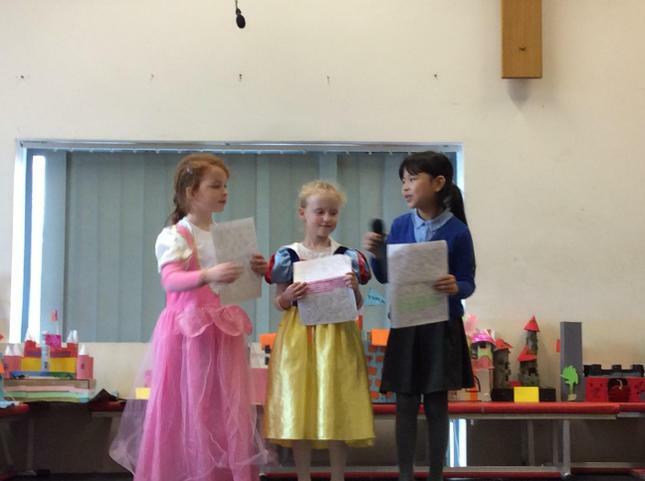 They spoke with confidence and we could hear every word that was said. 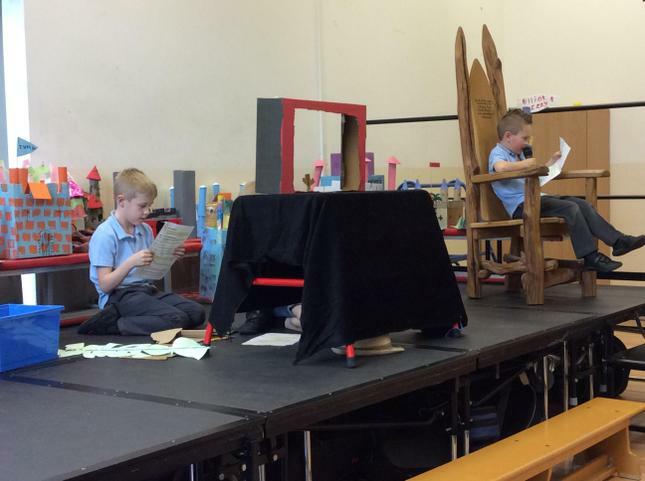 We are especially proud of them for sitting and watching all of the performances for just over an hour without any fuss! 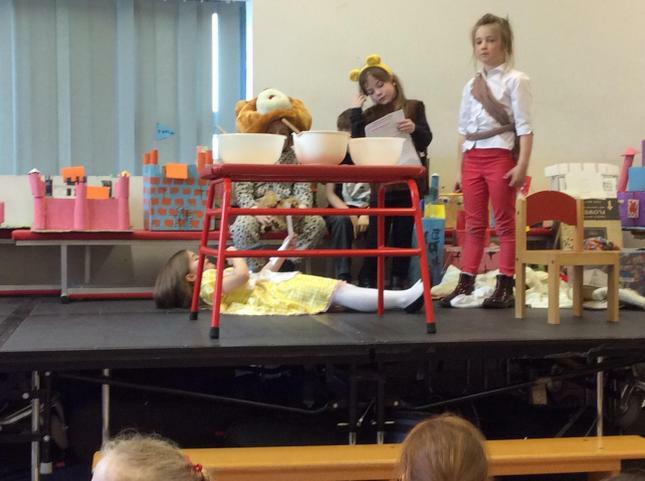 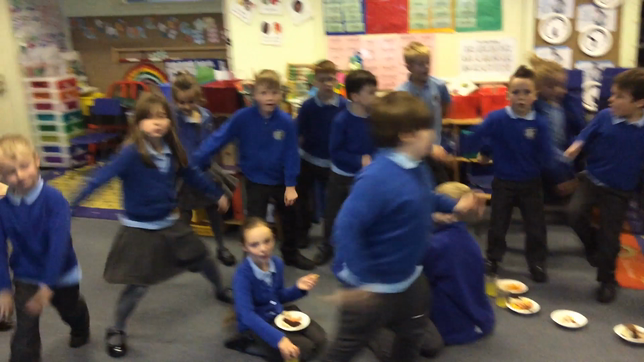 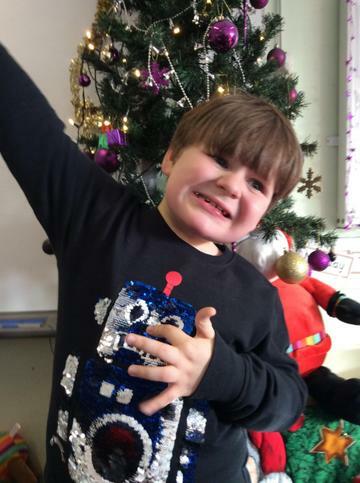 There were lots of nerves and butterflies in tummies but they were overcome and every child made us so proud! 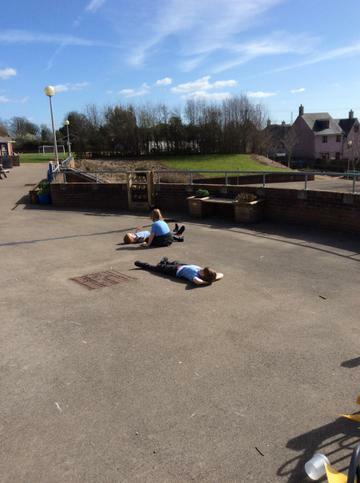 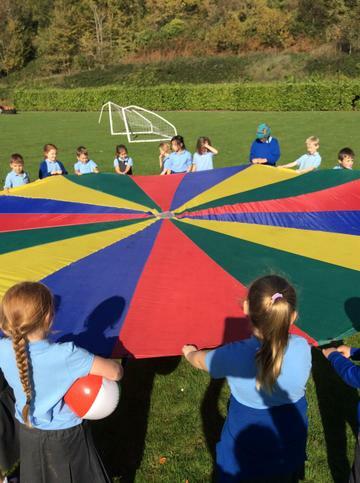 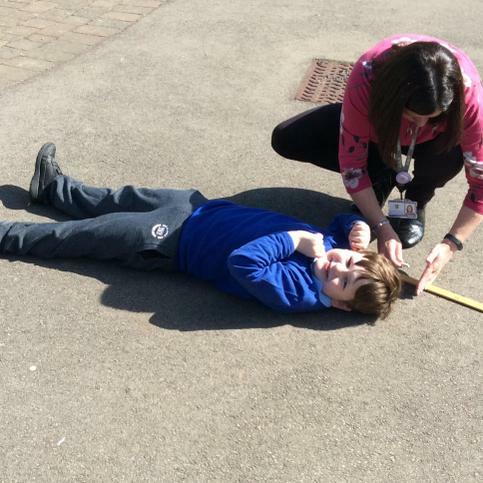 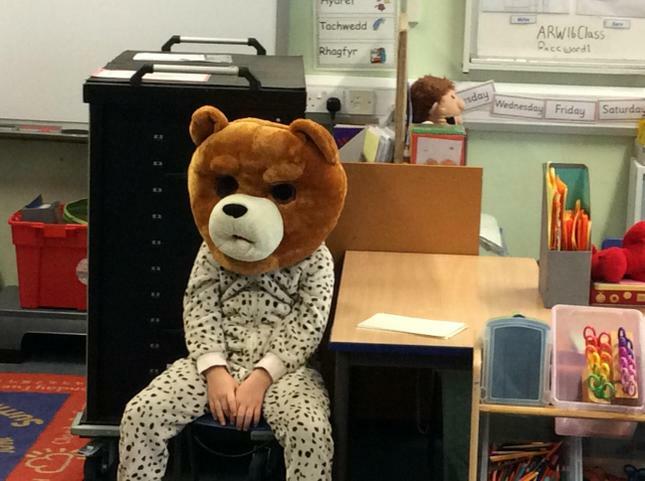 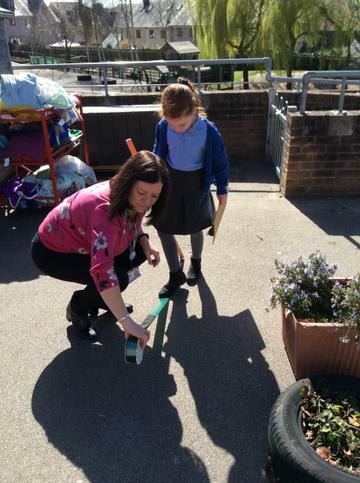 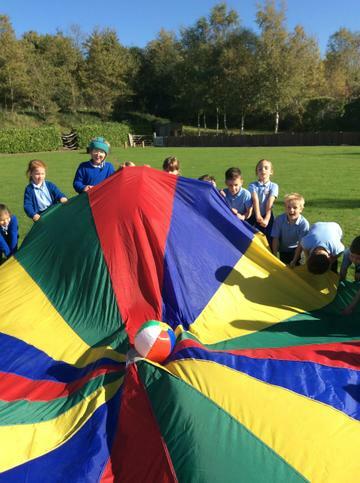 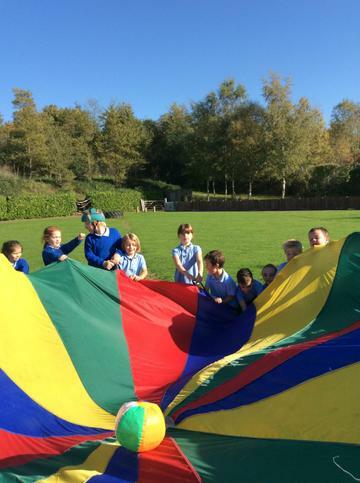 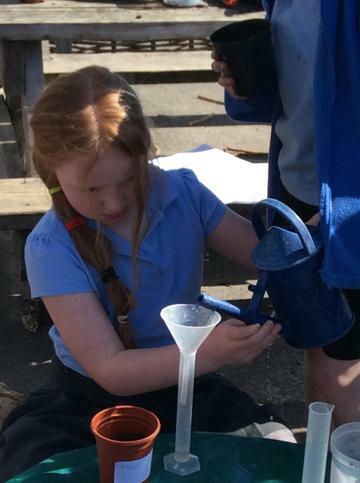 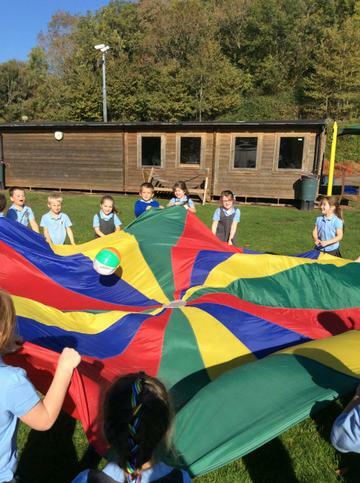 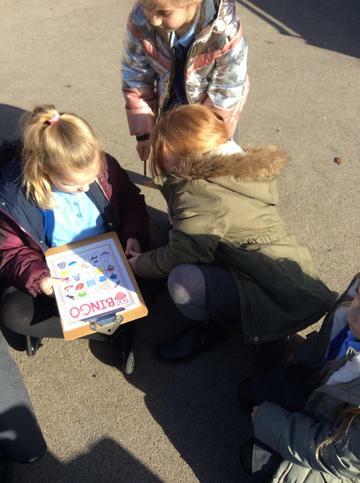 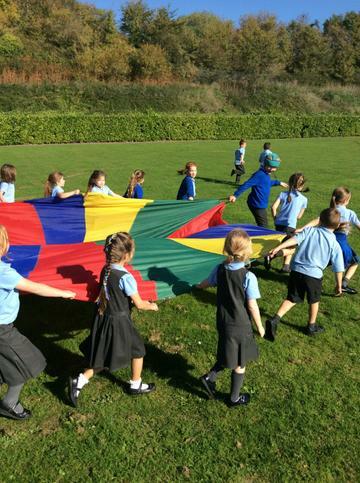 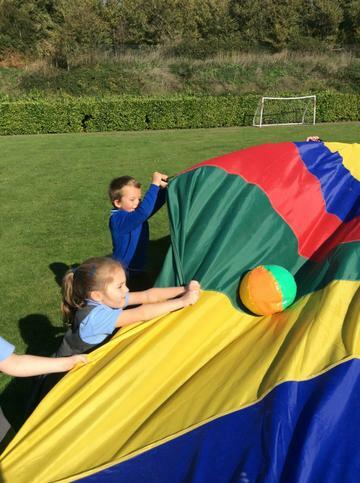 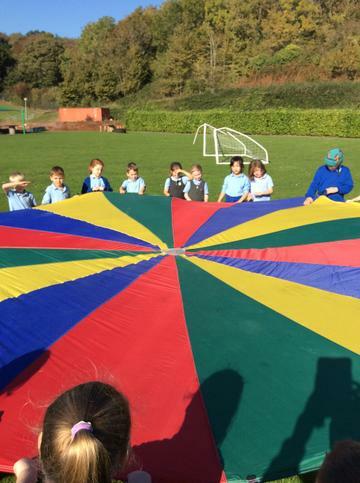 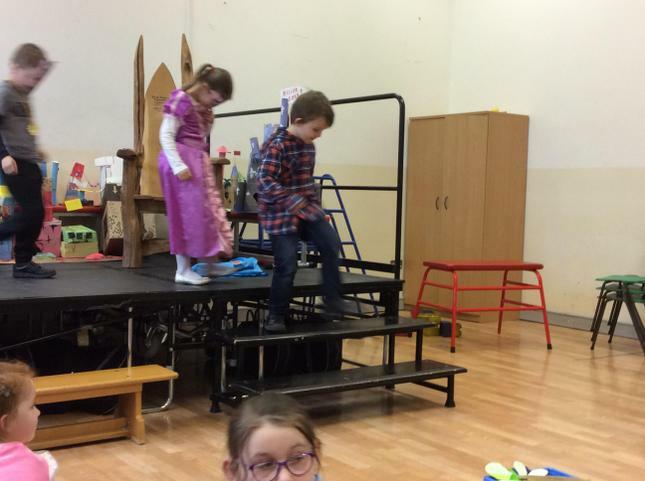 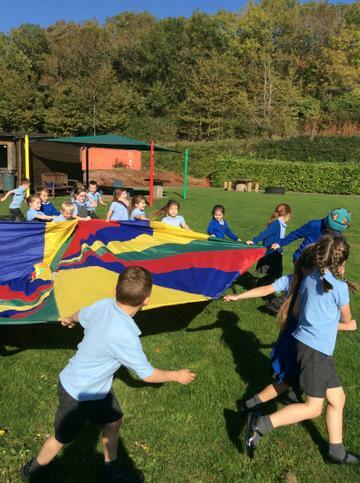 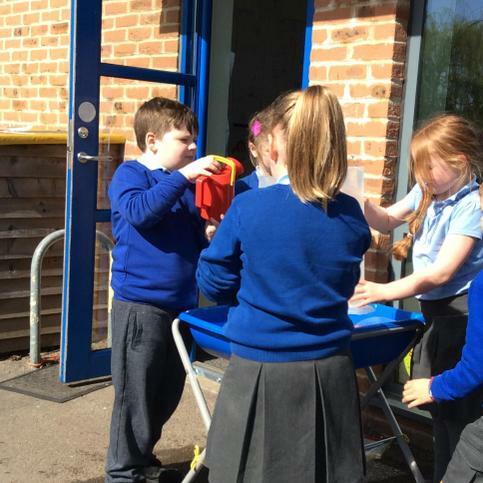 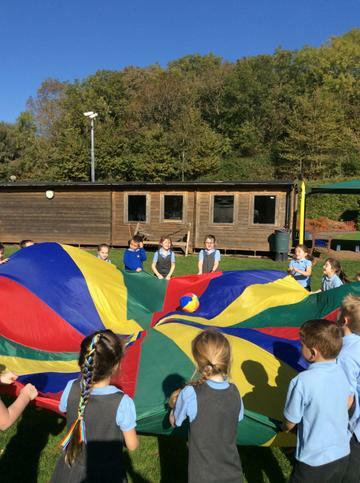 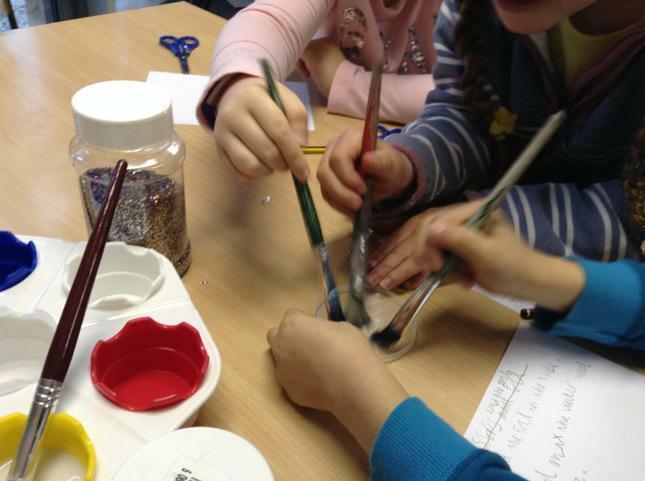 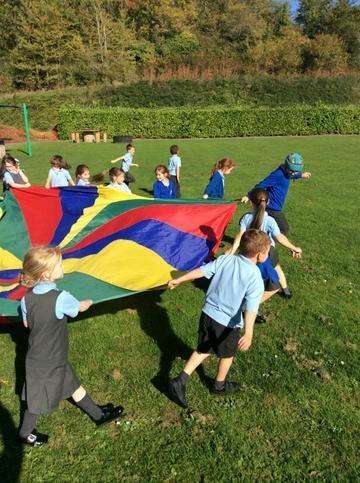 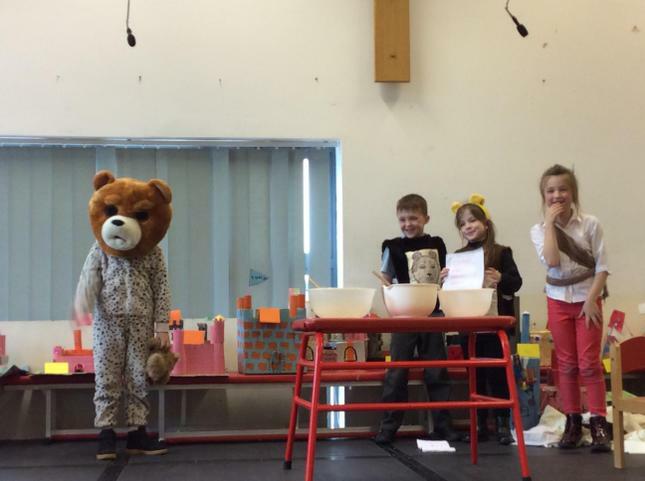 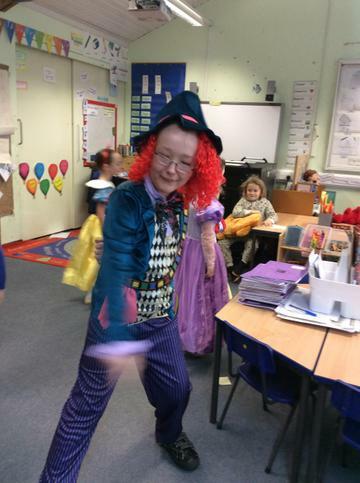 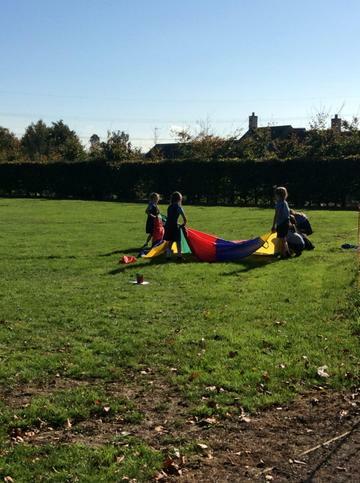 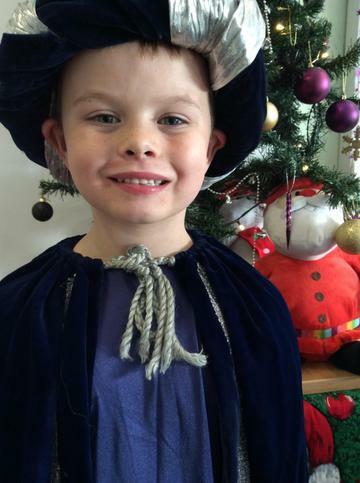 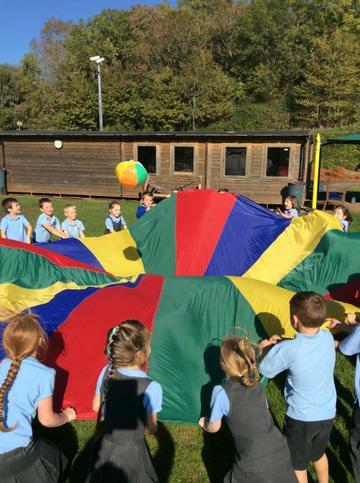 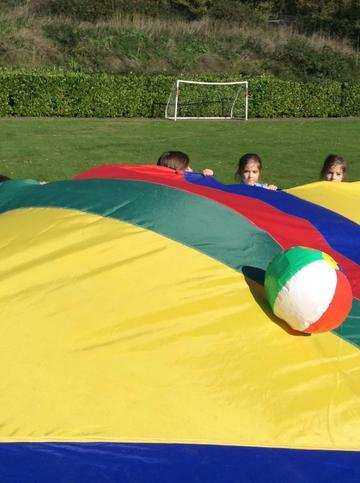 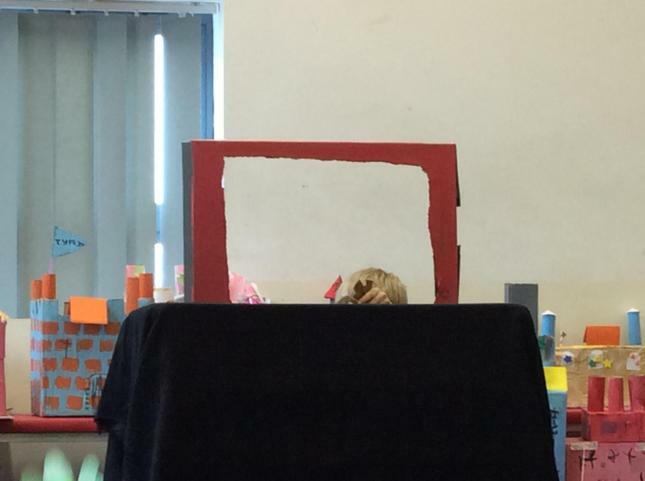 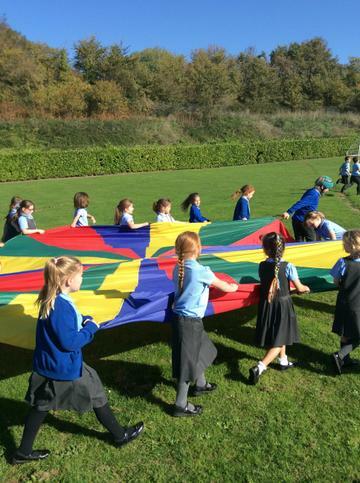 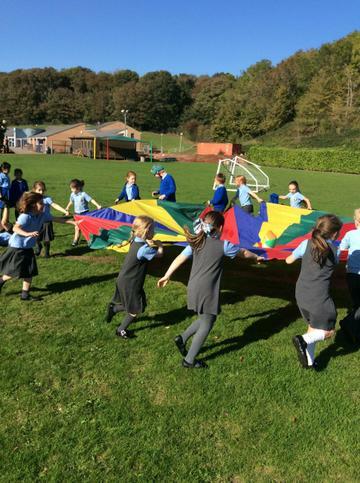 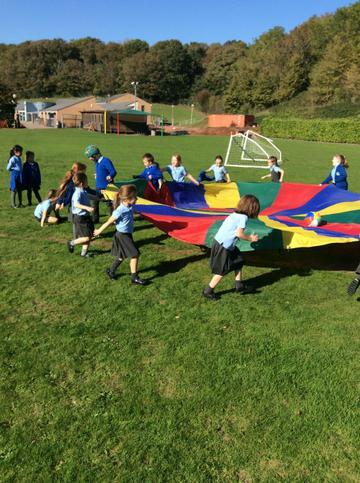 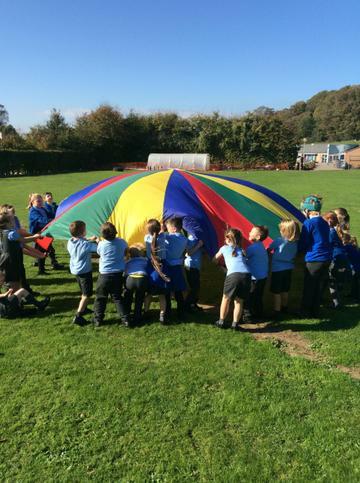 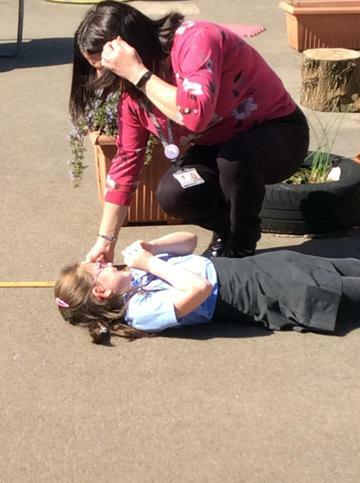 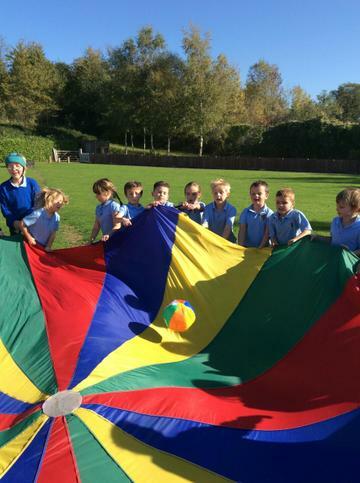 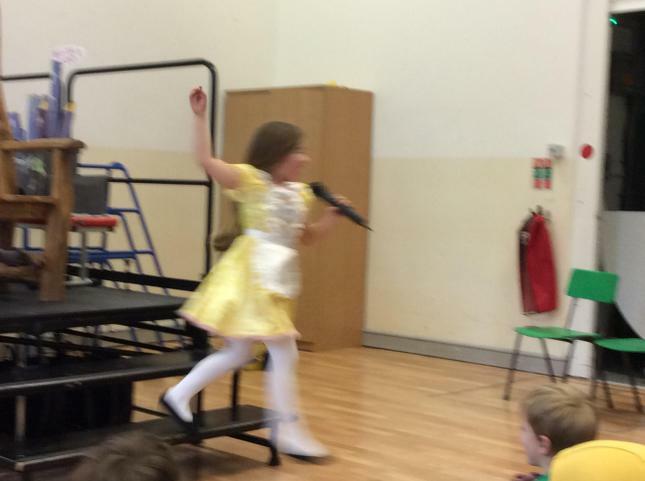 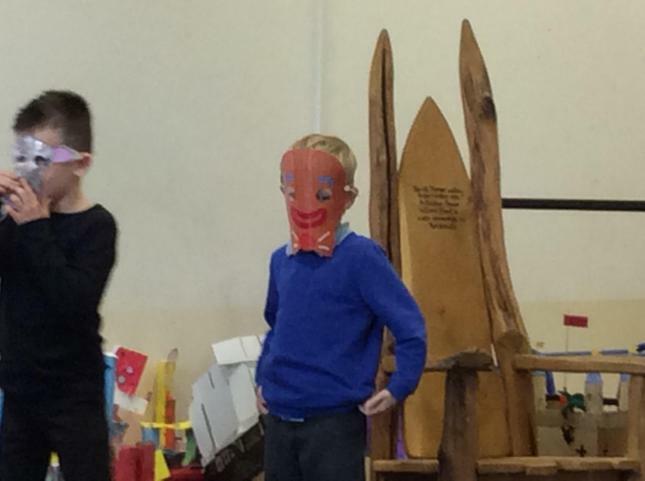 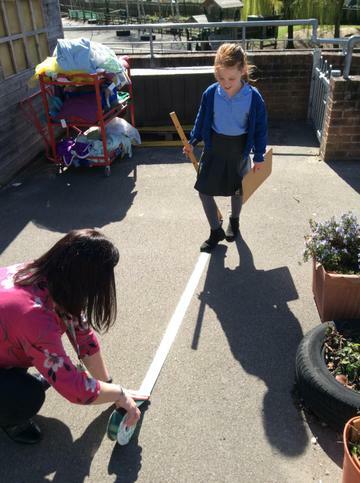 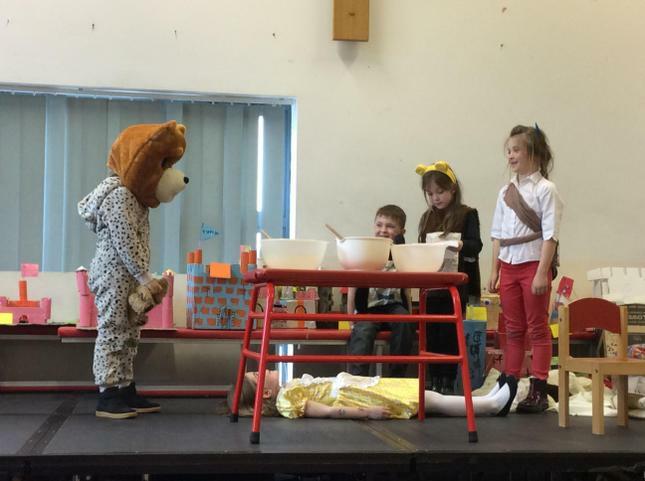 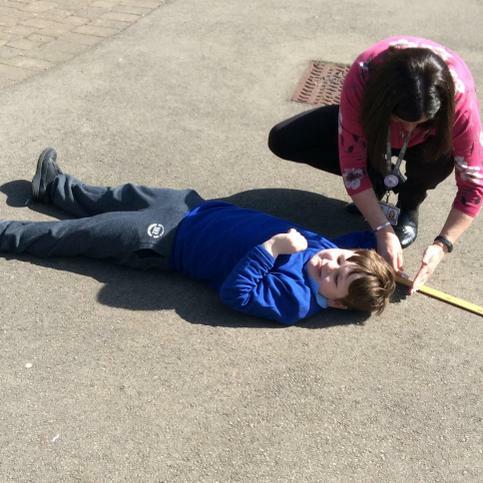 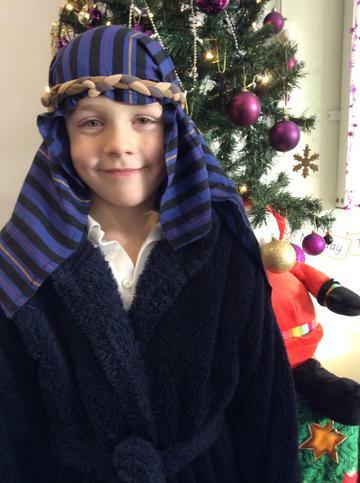 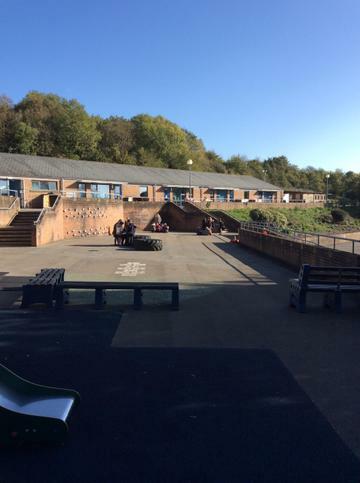 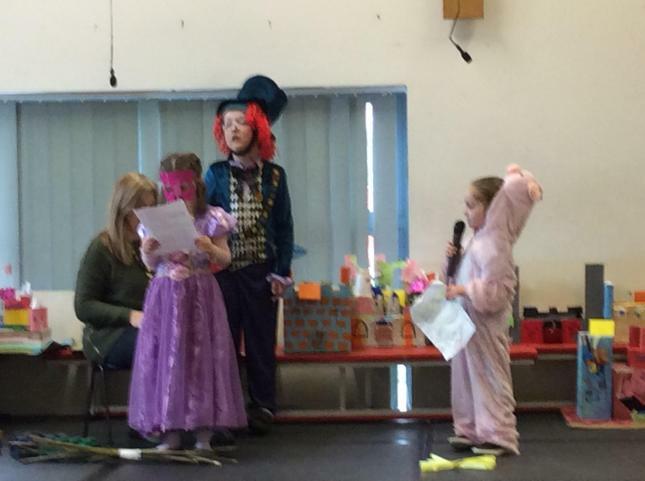 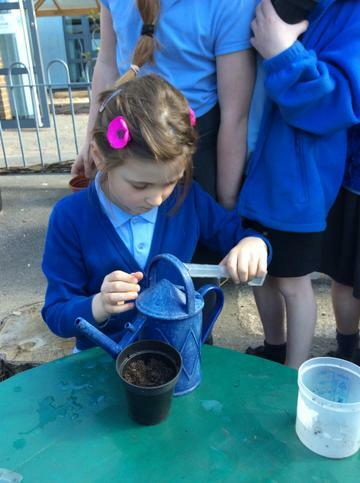 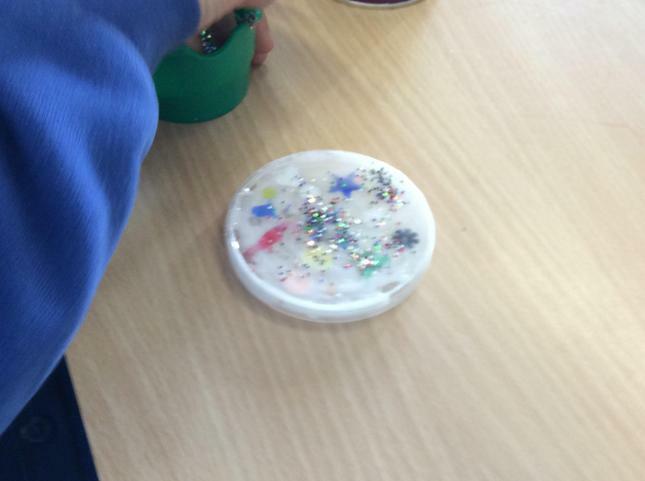 We know the children enjoyed them selves and we hope that you enjoyed your afternoon with us. 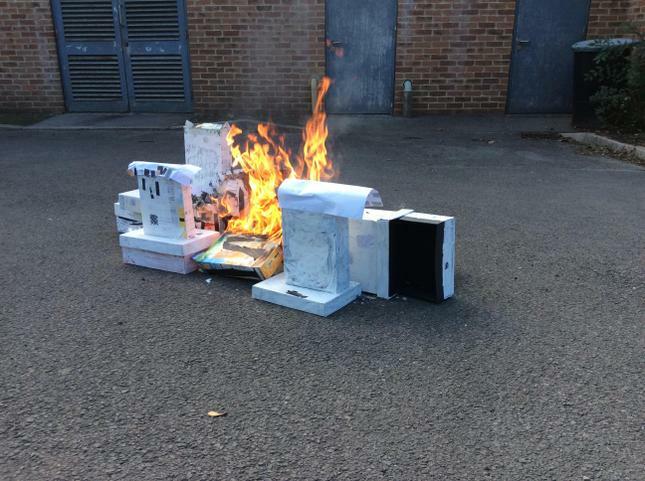 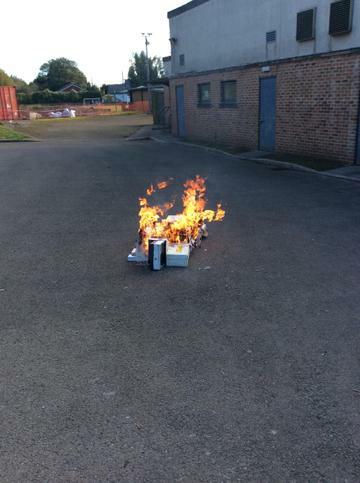 aswell We hope you enjoy the photographs that were taken. 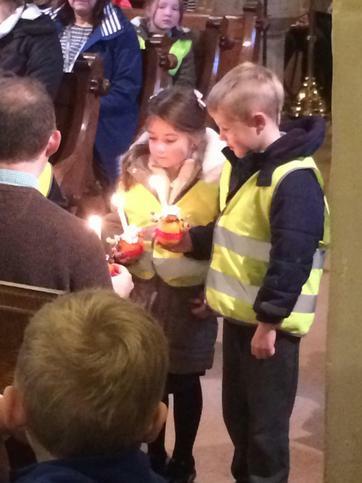 Further thanks for respecting our 'no photographs' rule. 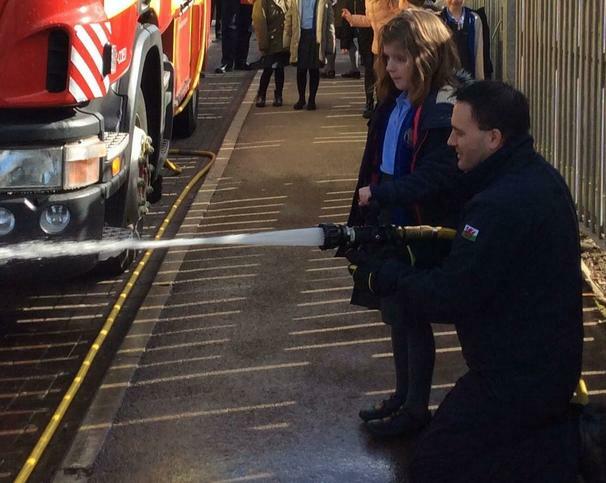 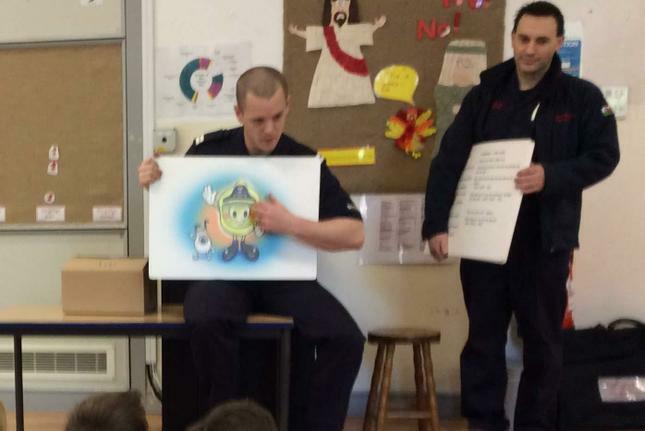 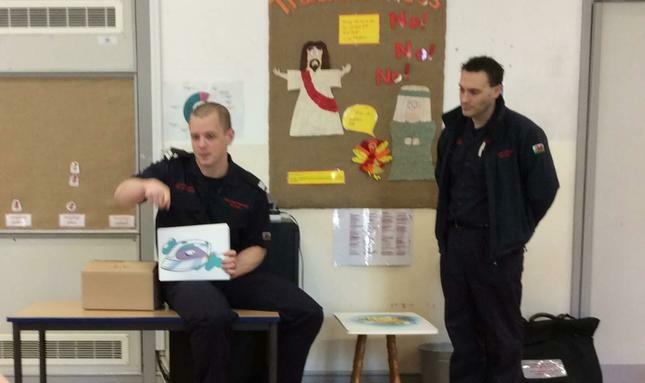 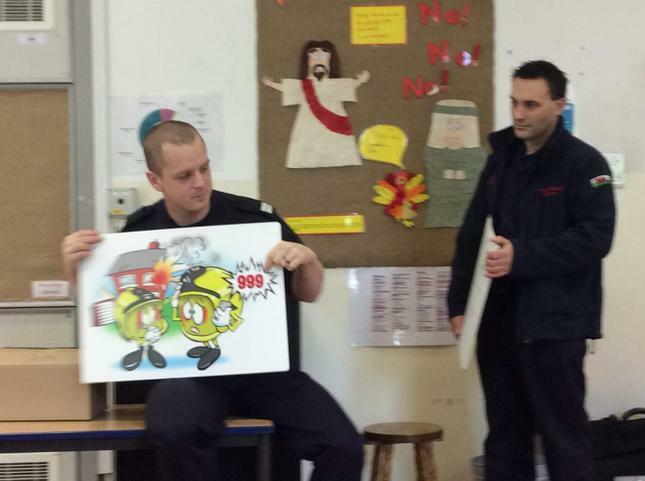 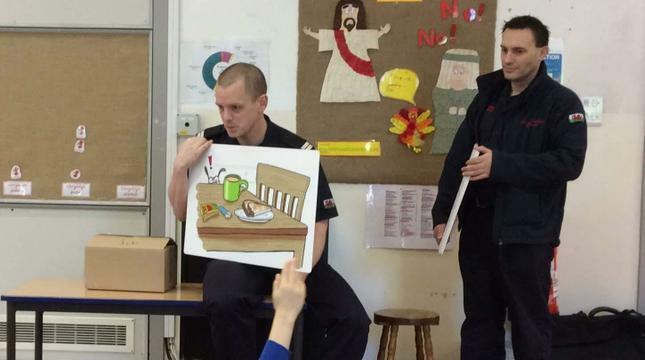 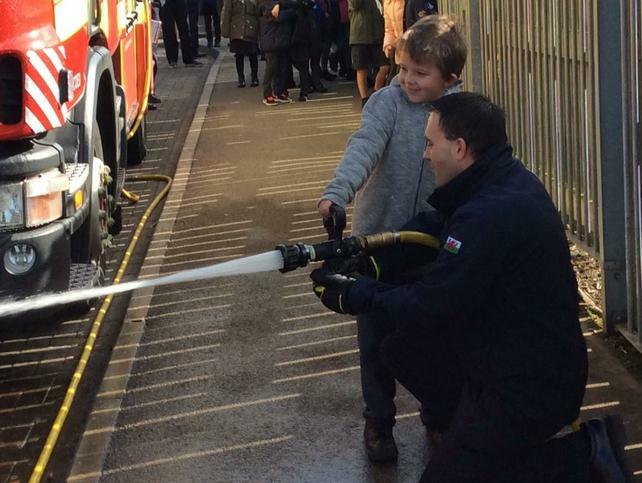 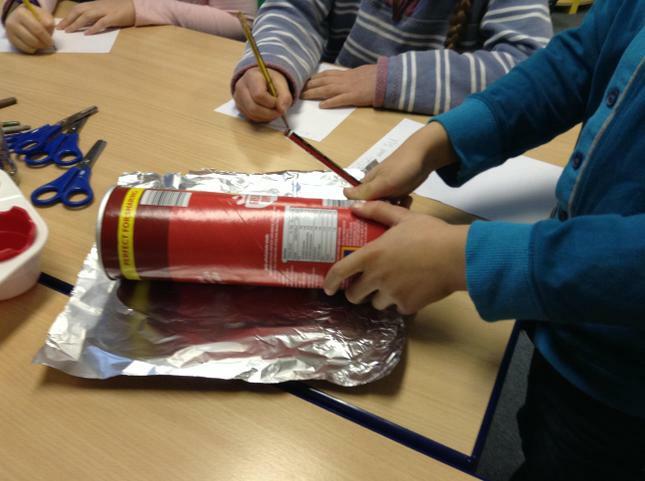 On Monday the fire fighters from Caldicot Fire Station came to visit us. 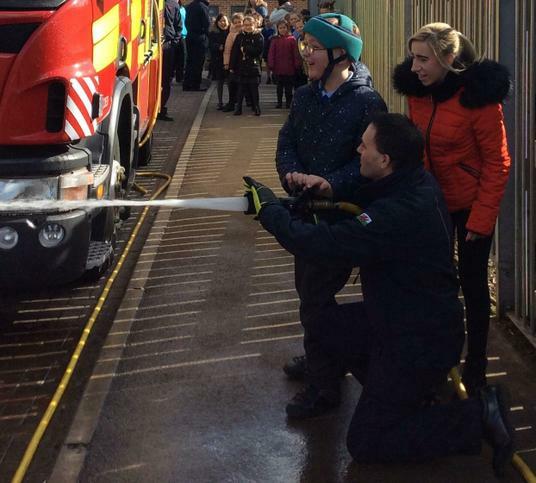 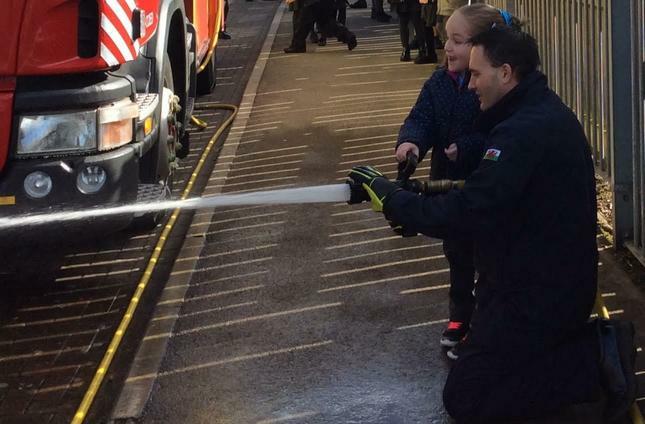 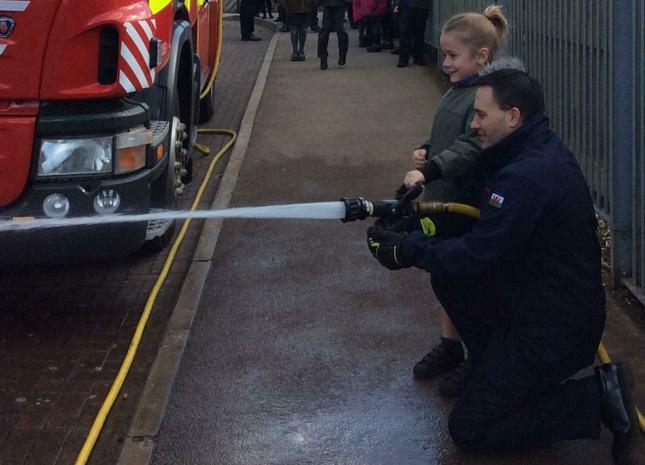 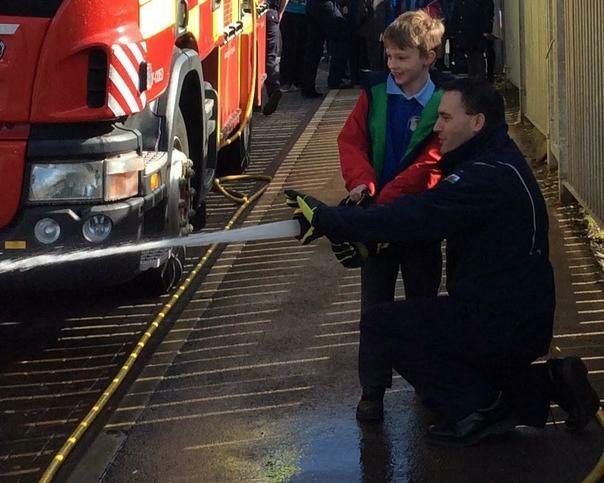 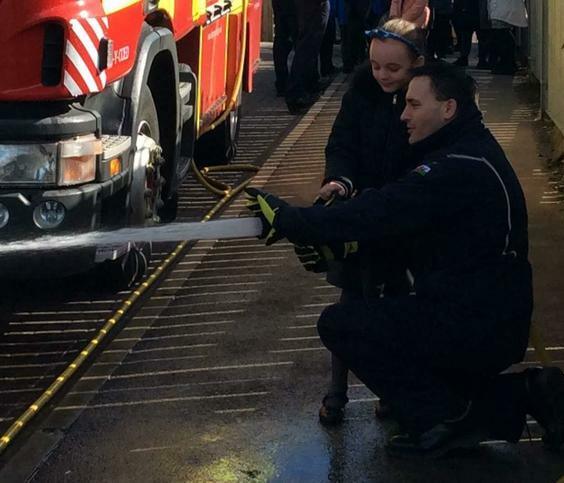 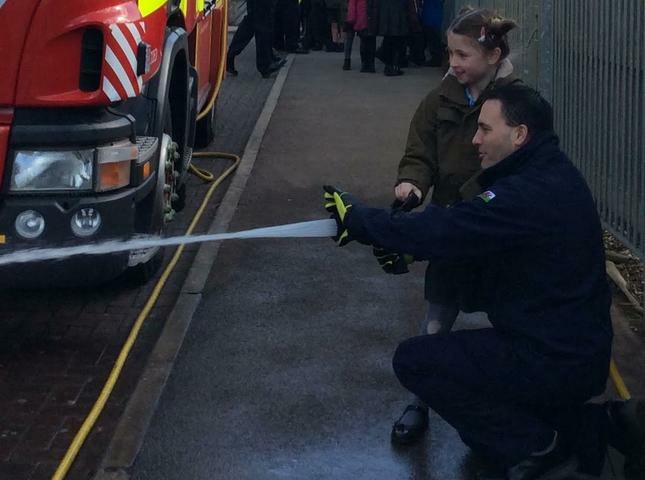 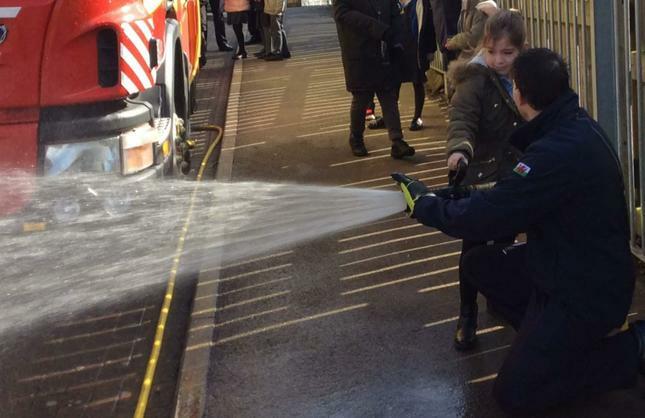 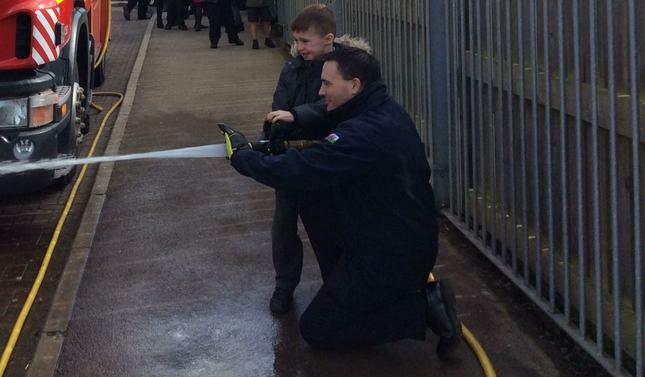 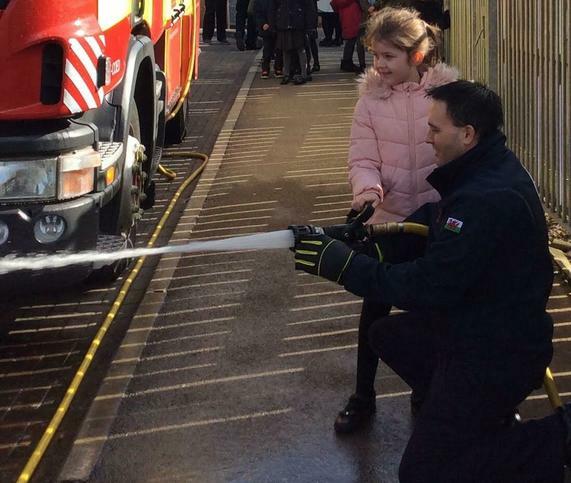 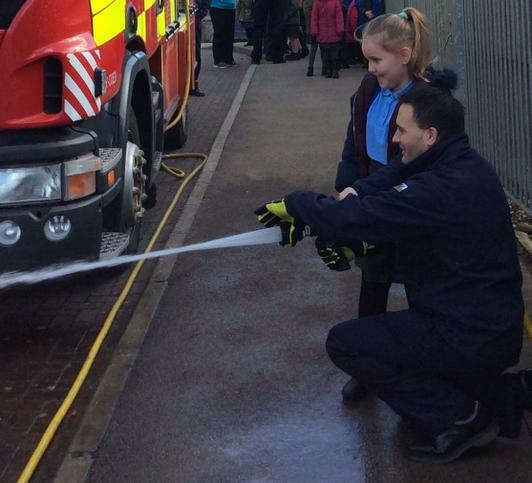 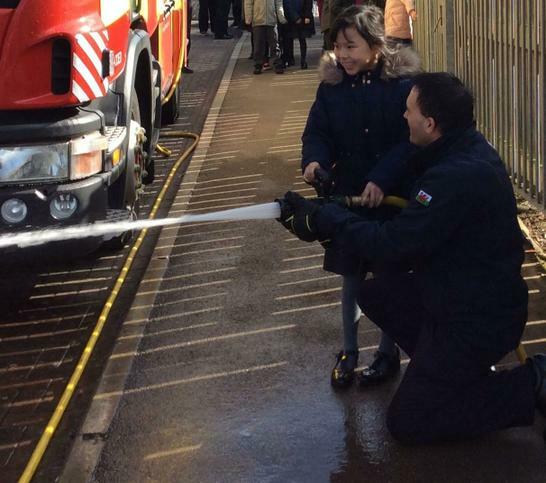 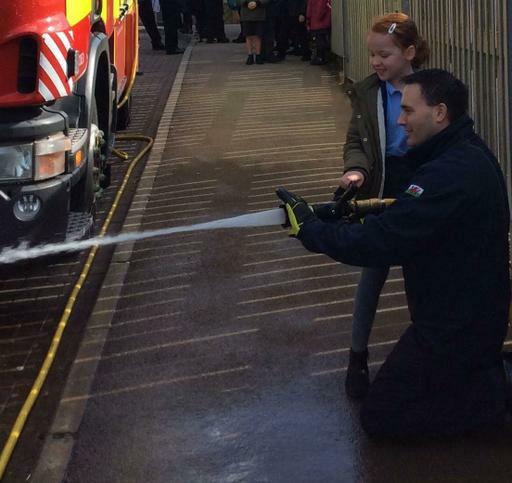 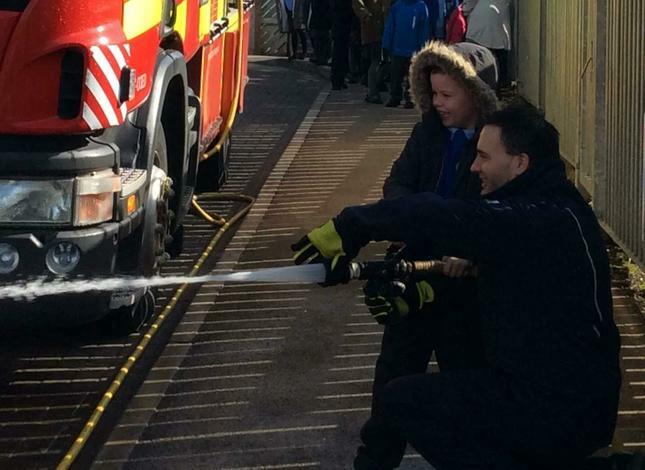 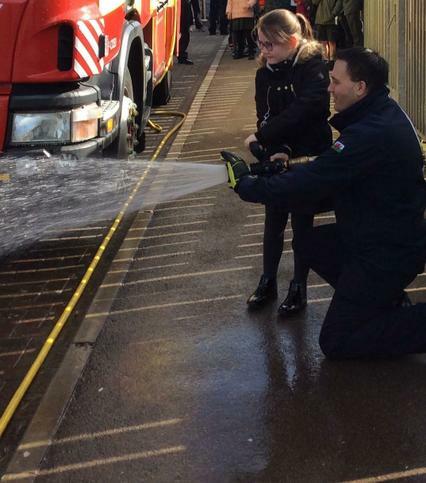 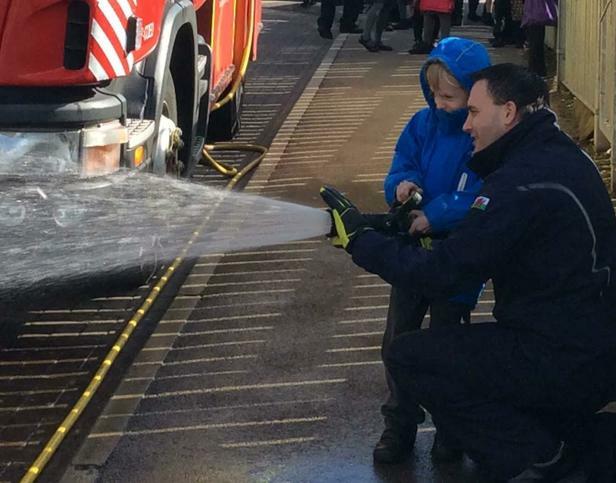 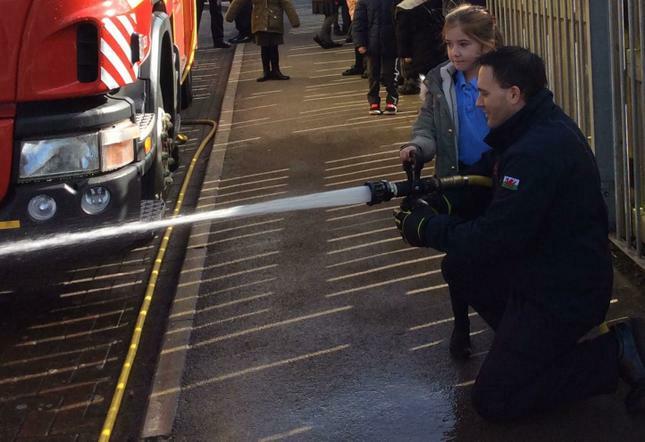 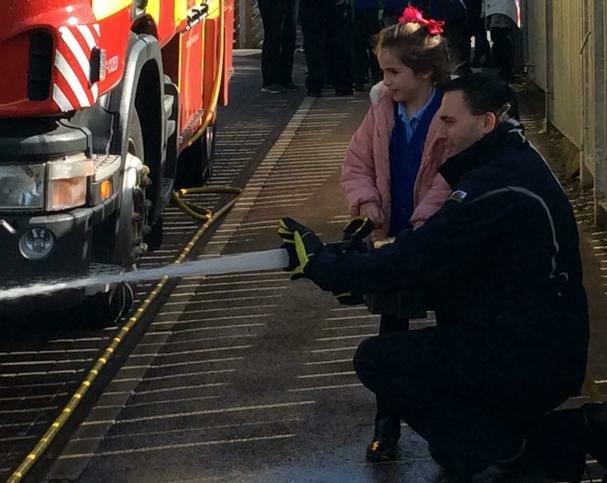 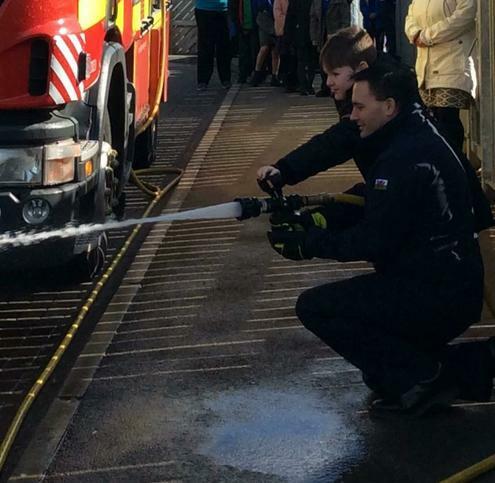 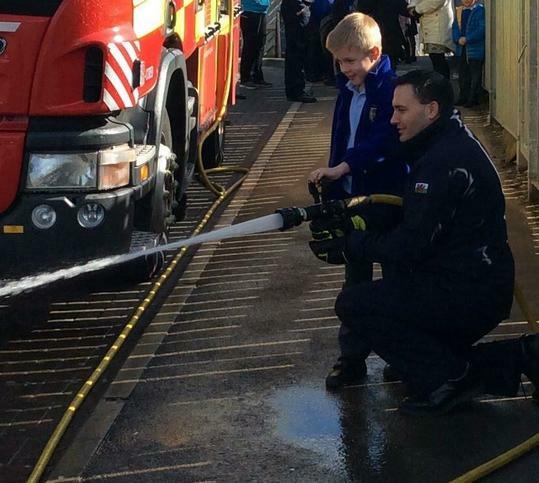 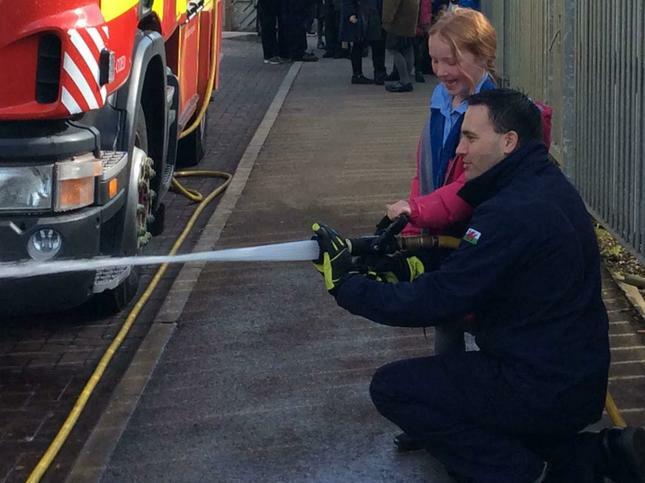 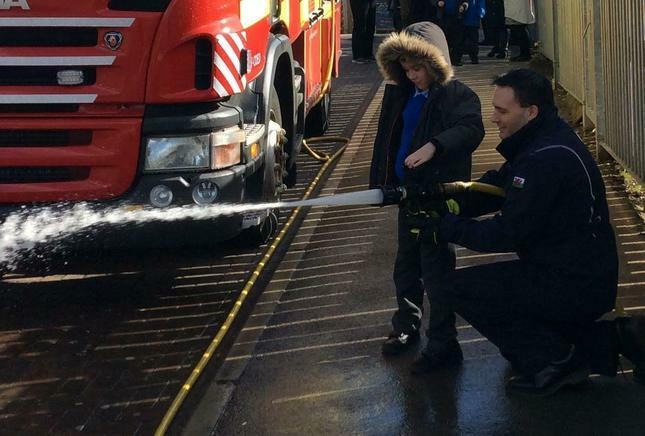 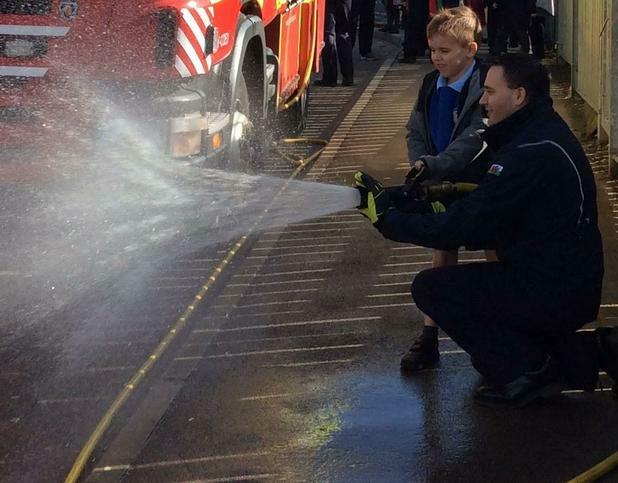 We loved listening to the story about Tanny and looking at the fire engine but the best bit was squirting the hose! 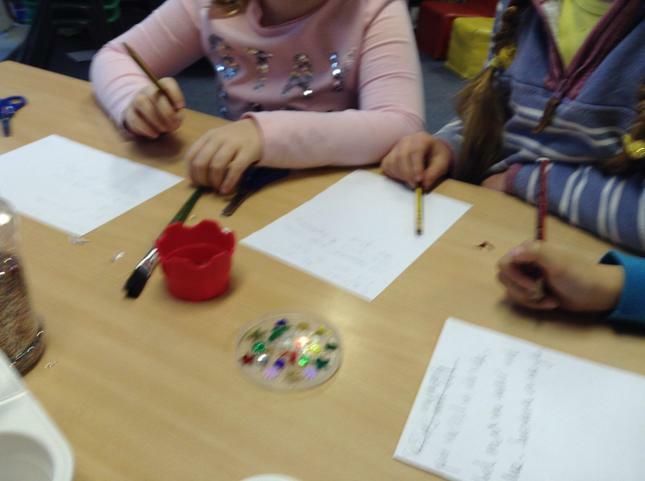 They talked to us about keeping safe at home. 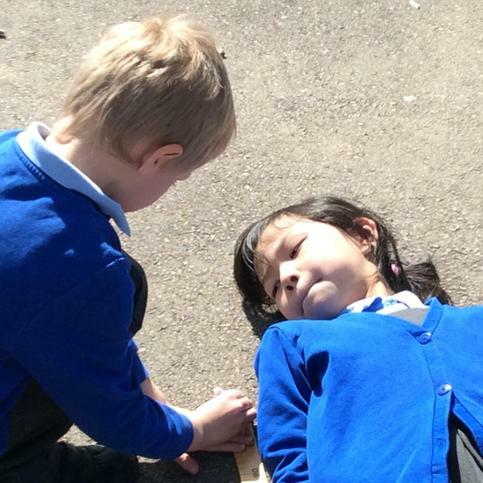 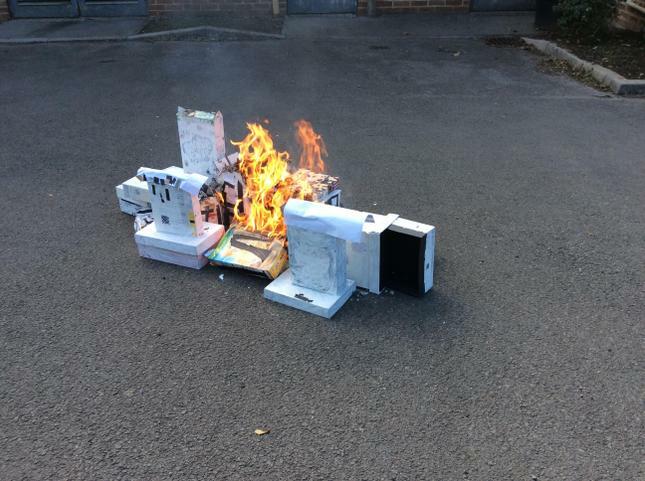 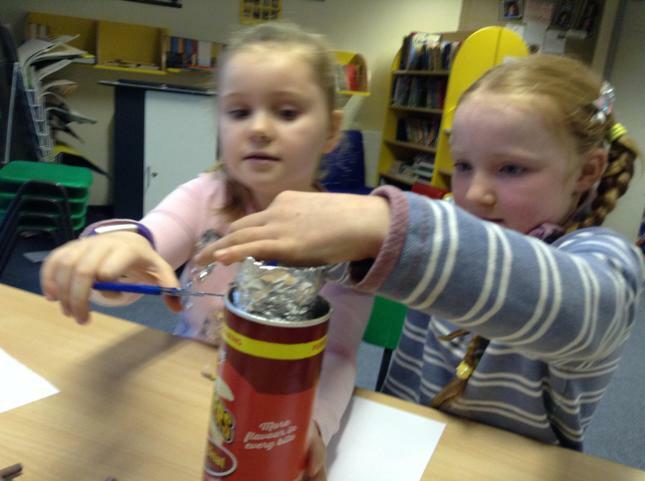 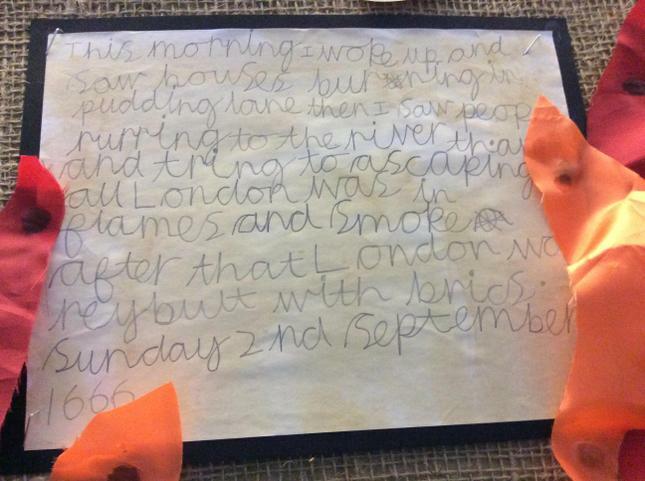 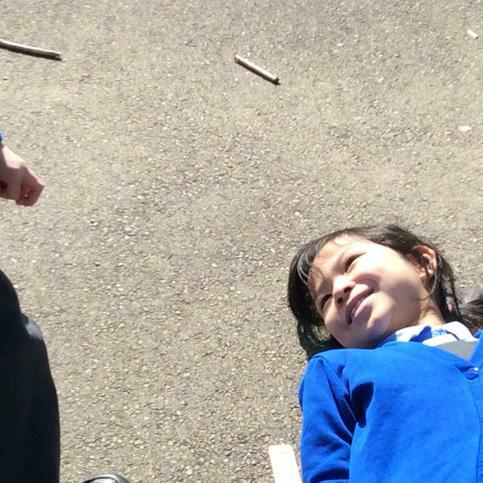 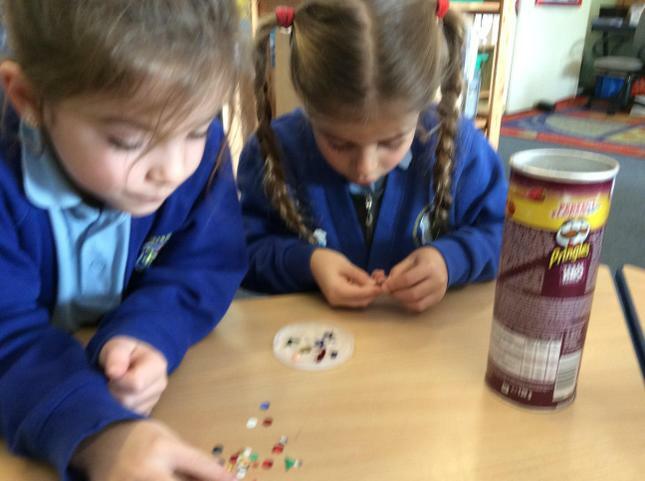 We learnt that if we see matches lying around at home we should tell an adult quickly.Don't touch, tell! 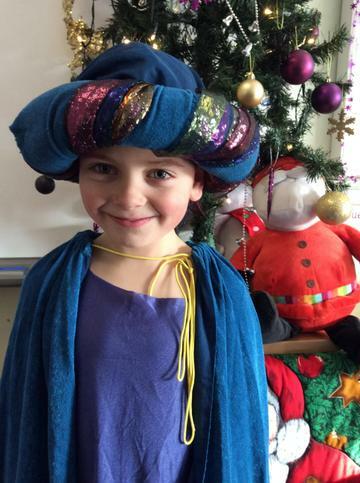 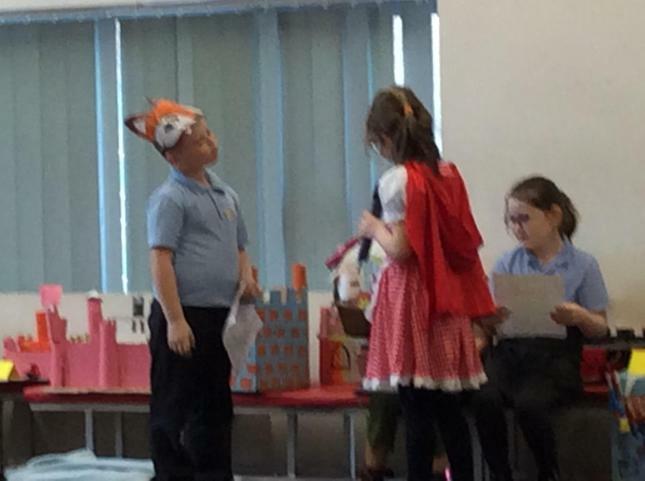 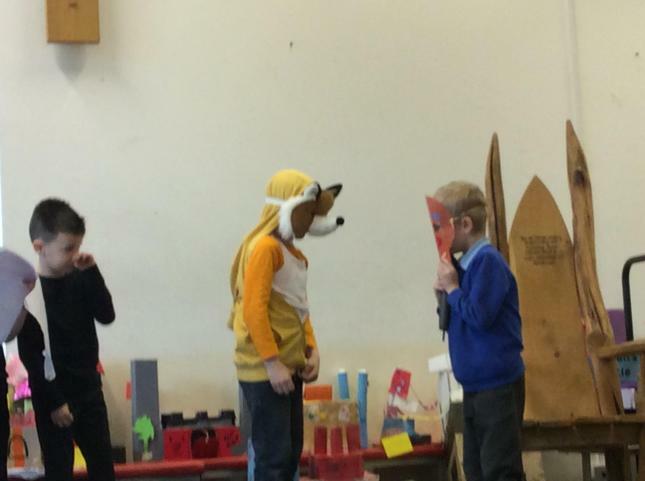 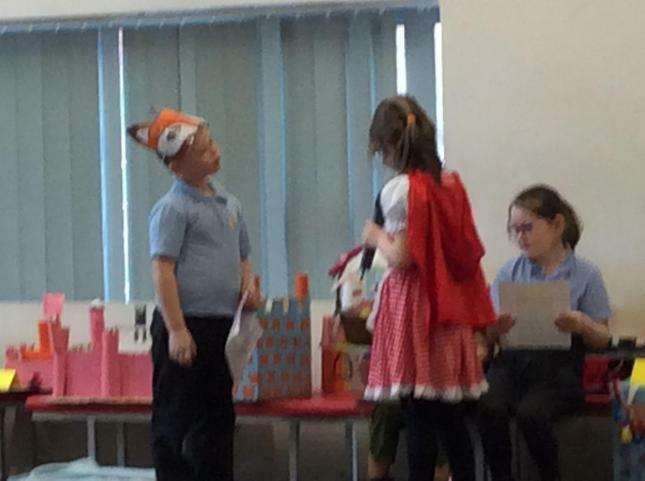 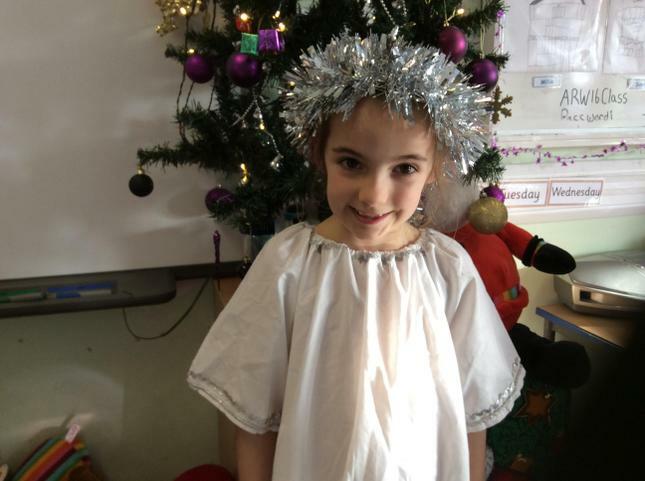 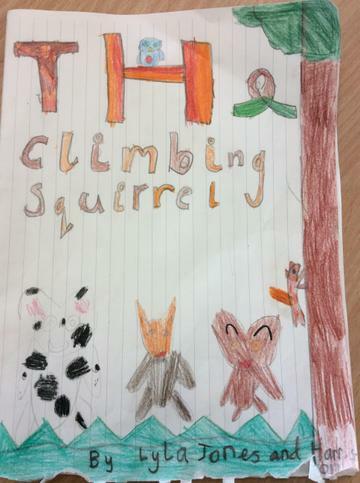 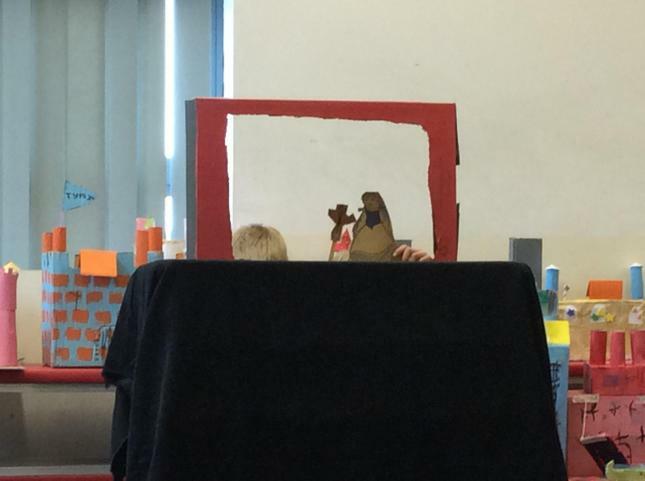 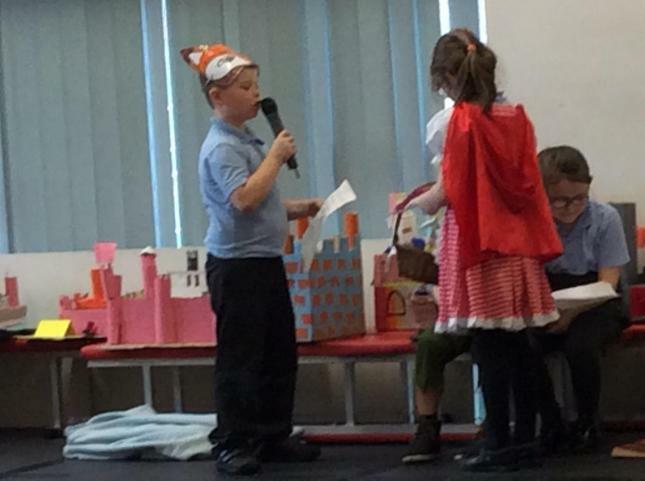 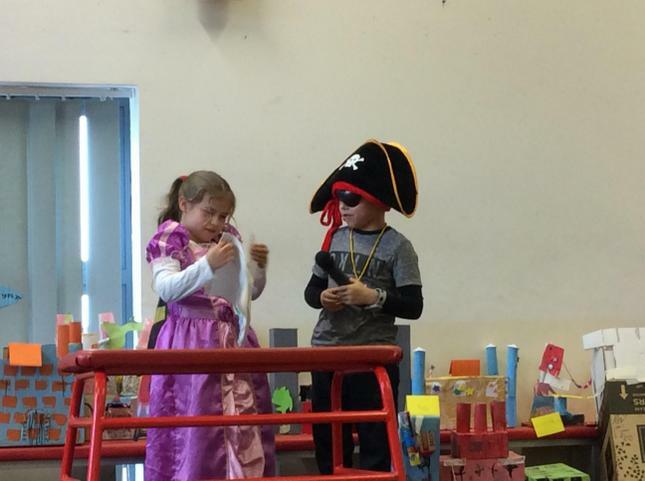 We are looking forward to sharing our plays, presentations and stories with our families next Thursday. 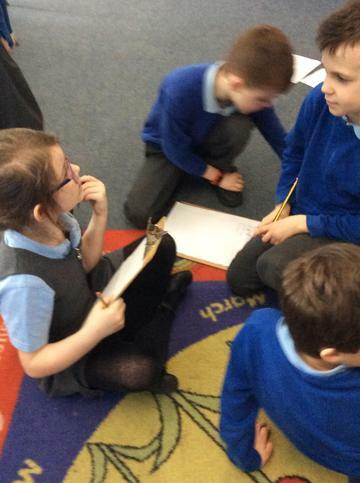 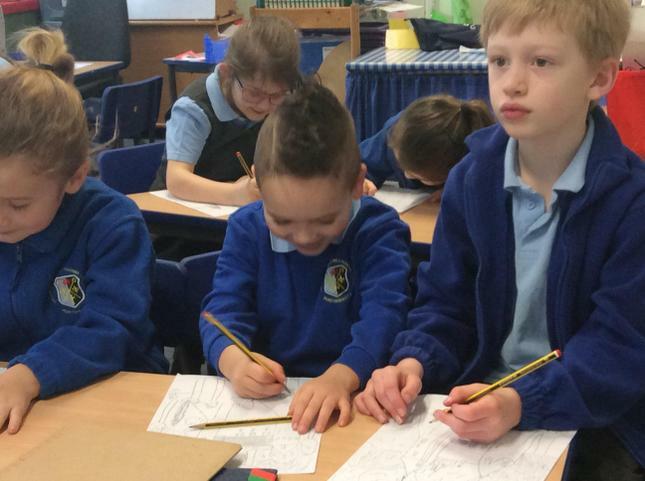 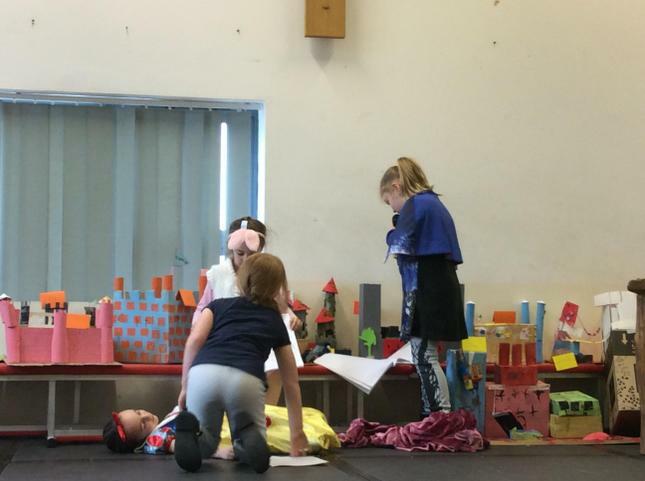 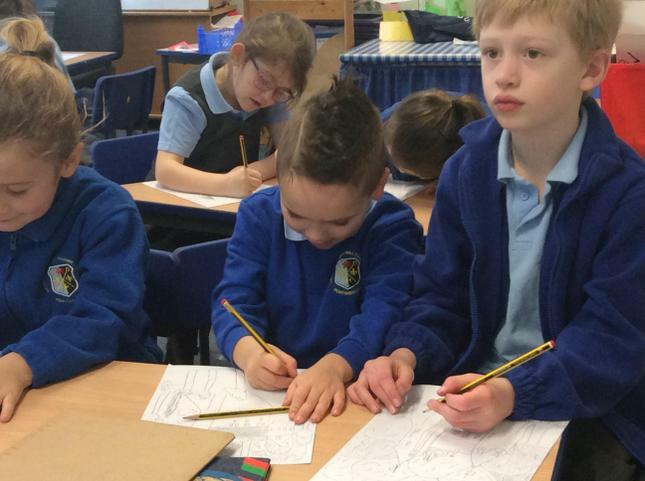 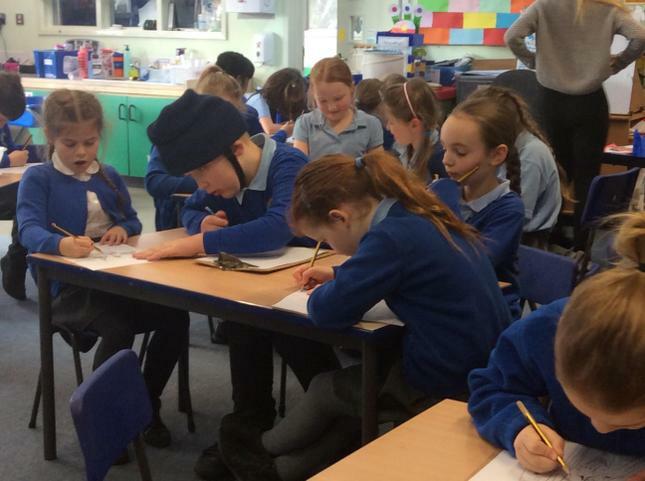 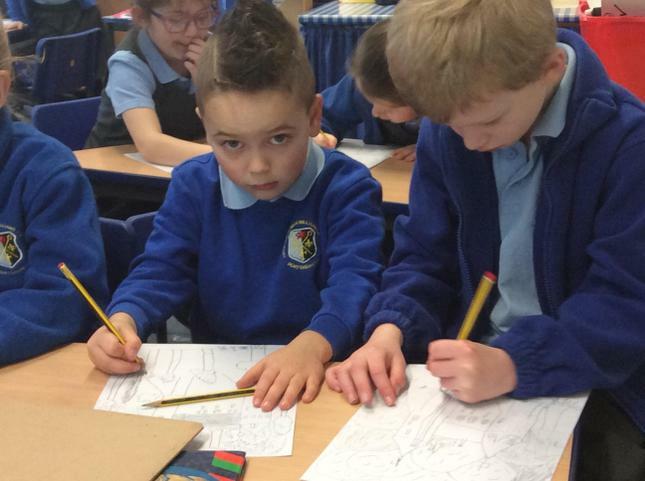 We are busy writing scripts, making prompts and practising our lines. 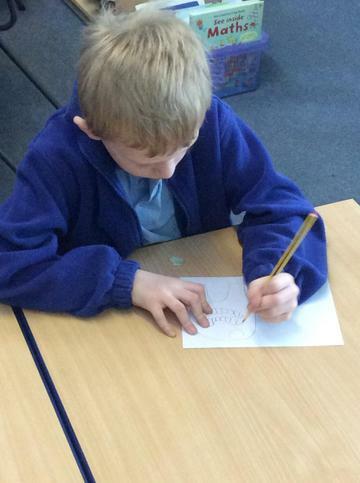 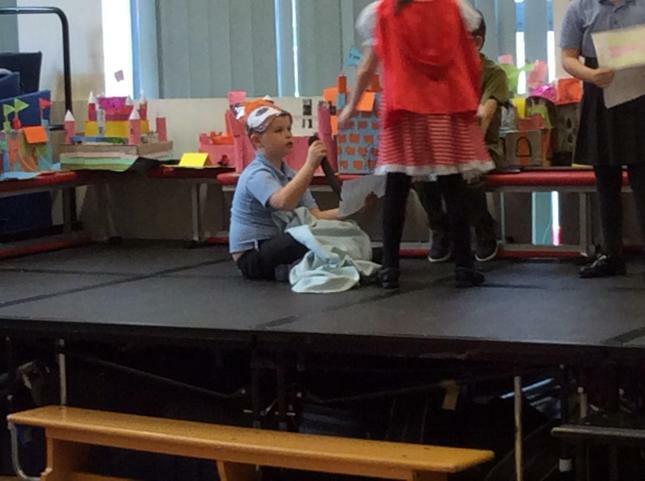 Eisteddfod preparation - This is what concentration looks like! 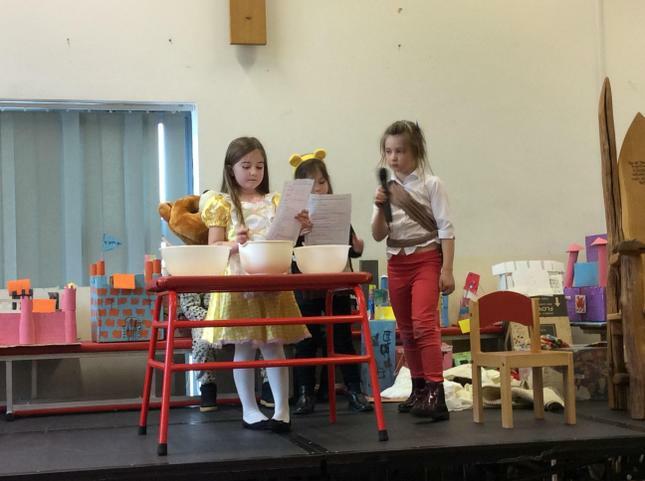 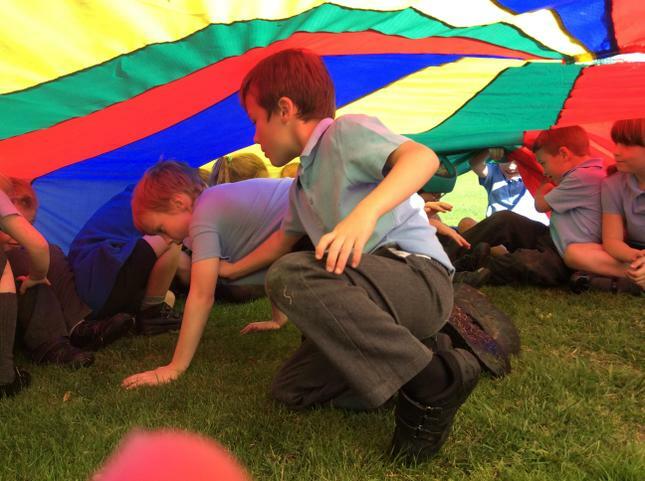 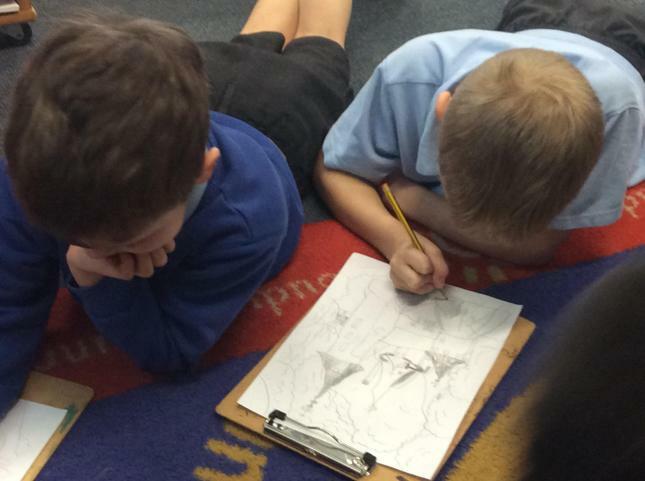 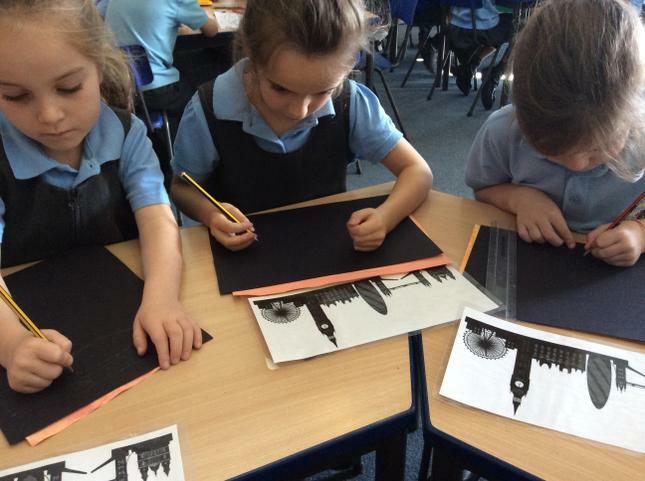 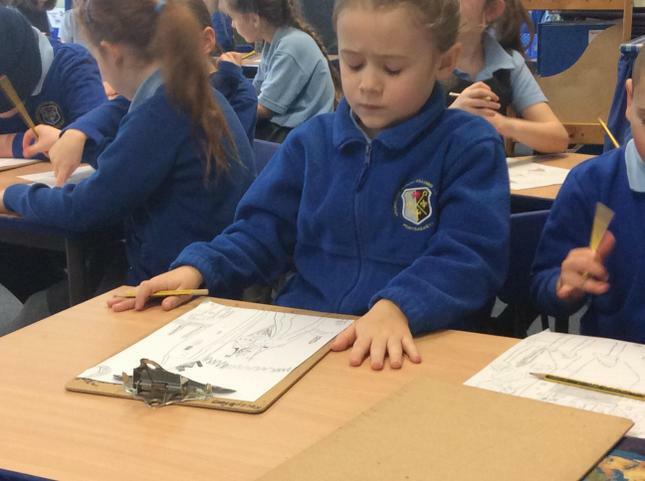 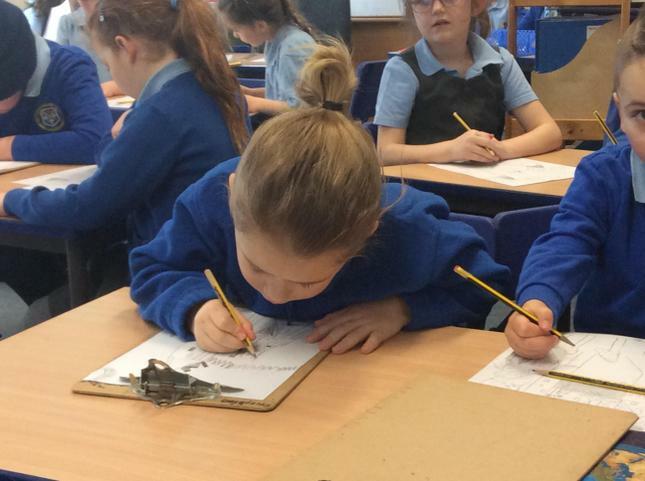 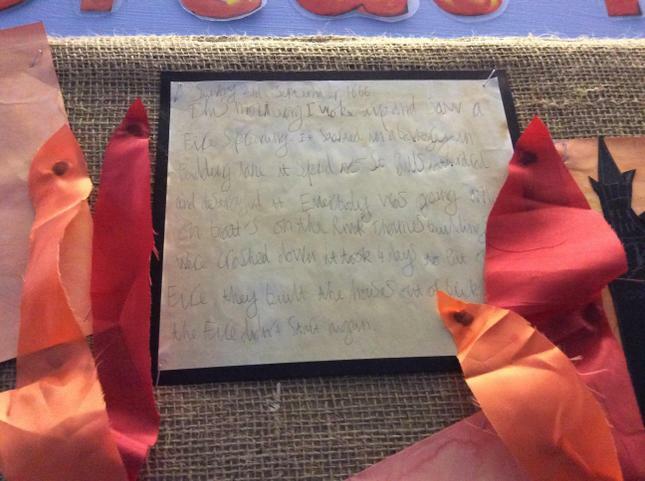 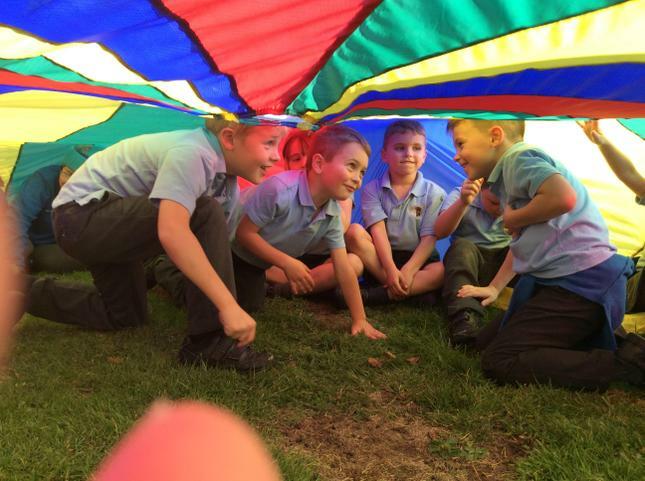 An update about literacy activities in year two. 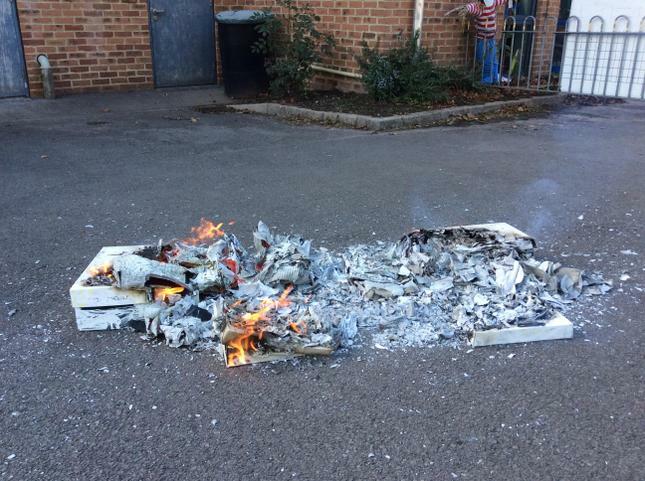 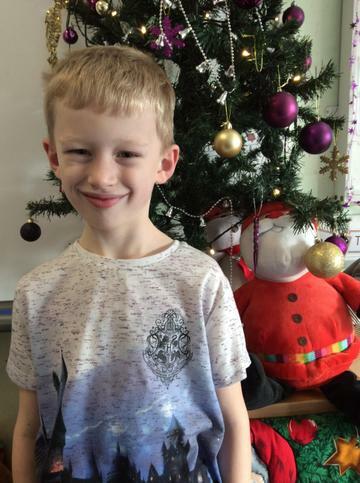 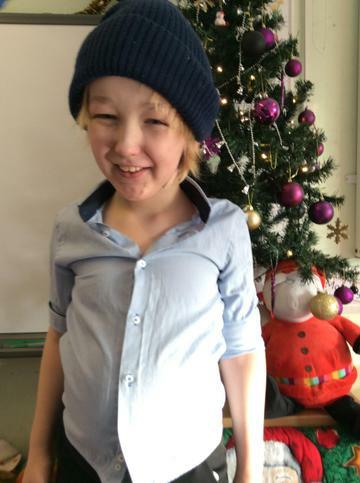 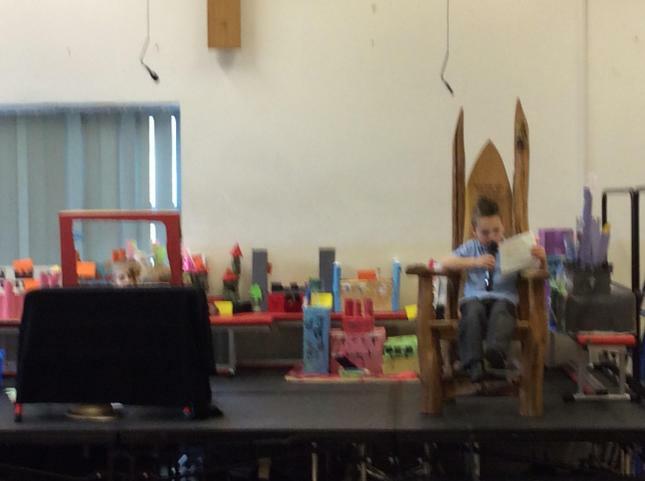 All children will continue to have RWInc or similar reading books sent home on a weekly basis. 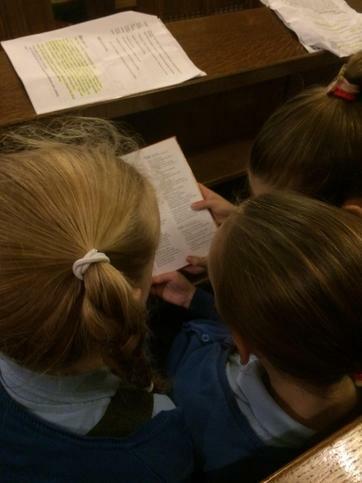 If children complete the RWInc scheme this year, then they will continue to read atleast weekly. 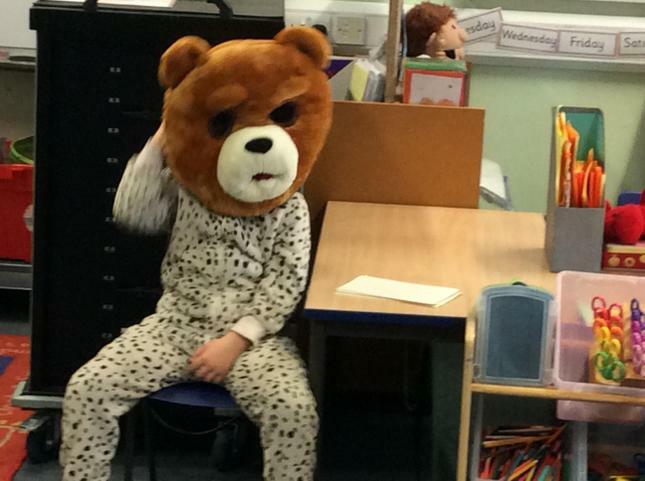 All children read on a Tuesday afternoon and then as often as possible during the week. 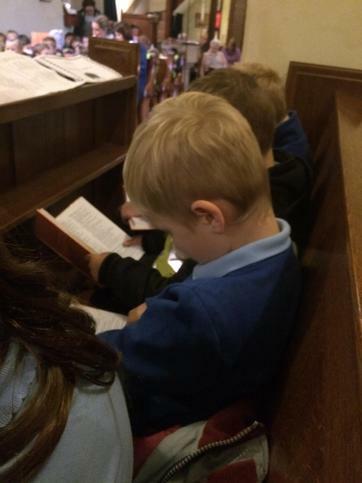 We take advantage of every opportunity to hear our children read and this may be on any day of the week. Reading books will usually be changed on a Tuesday but on occasions it may be on a different day depending on what is going on in the classroom that day. 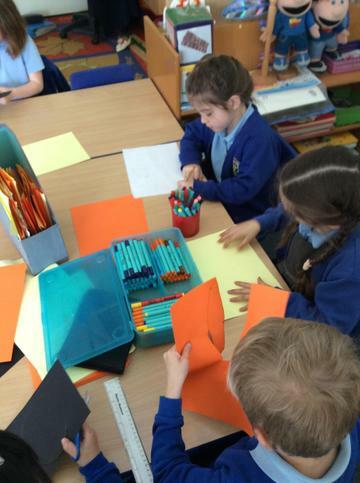 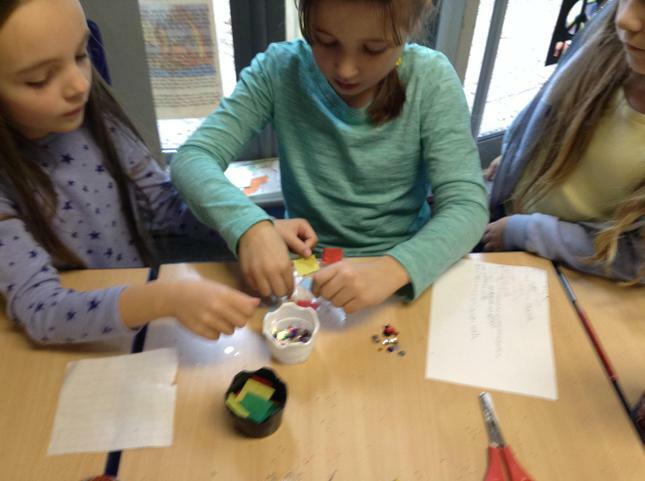 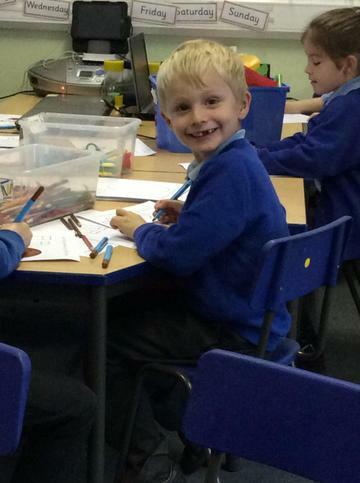 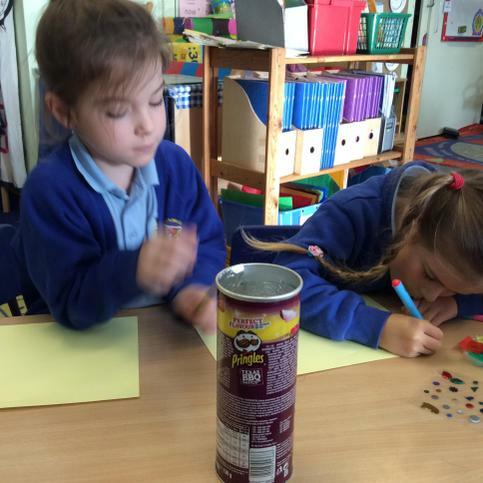 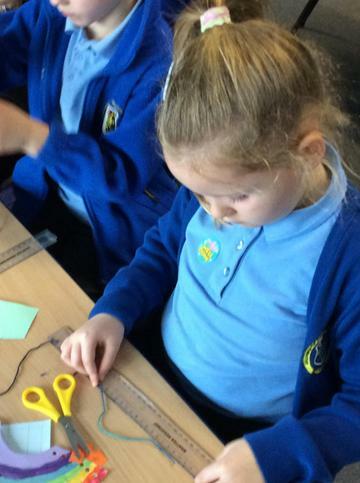 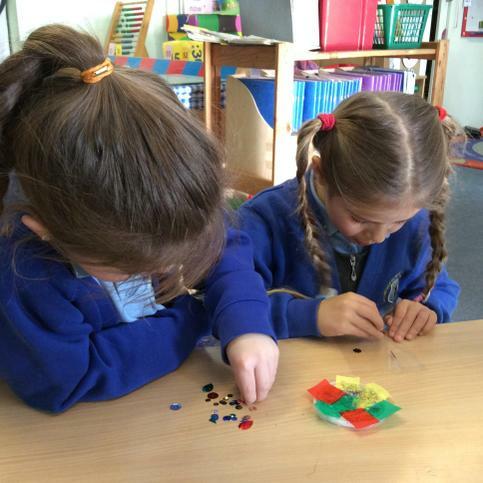 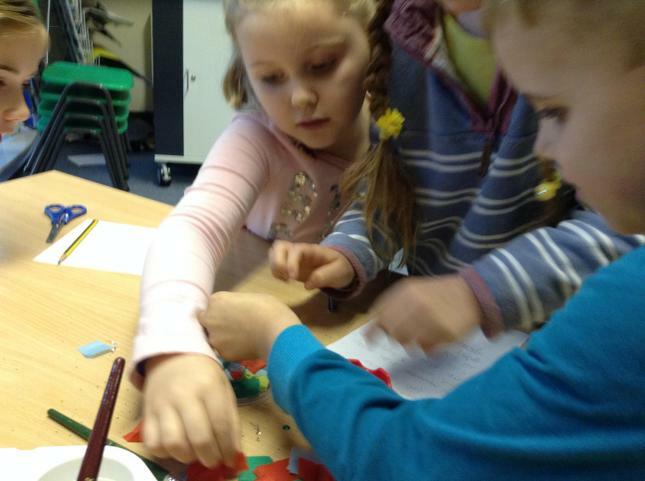 Our classroom is a very busy place with lots of activity! 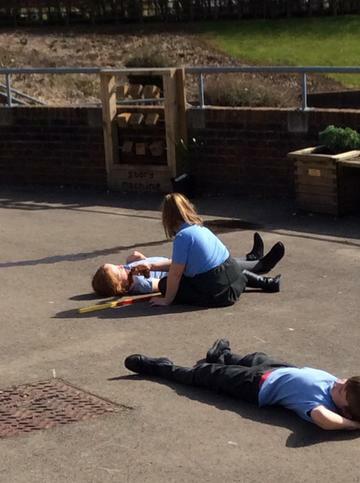 For this reason, please make sure that your child has their book in school every day. 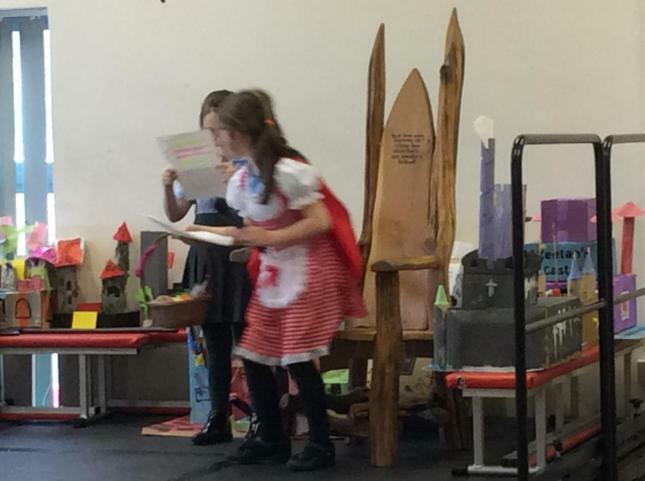 Reading at home is about enjoyment and understanding what is read so please ensure that you discuss the text with your child and encourage them to show their understanding of what they have read. 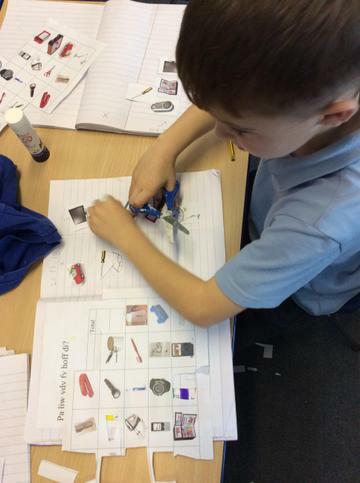 The children will be assessed on their reading of high frequency words and some will have words home to practise reading by sight (not sounding out) regularly. 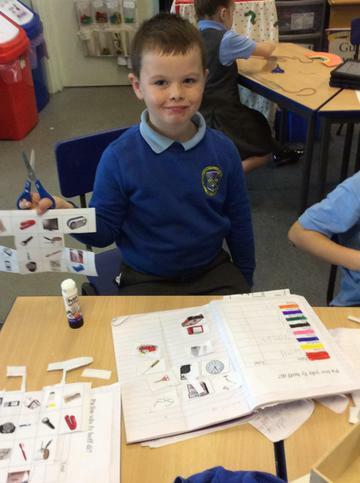 High frequency word spellings will also be sent home and then tested within school, allowing the children a week to practise and learn them. 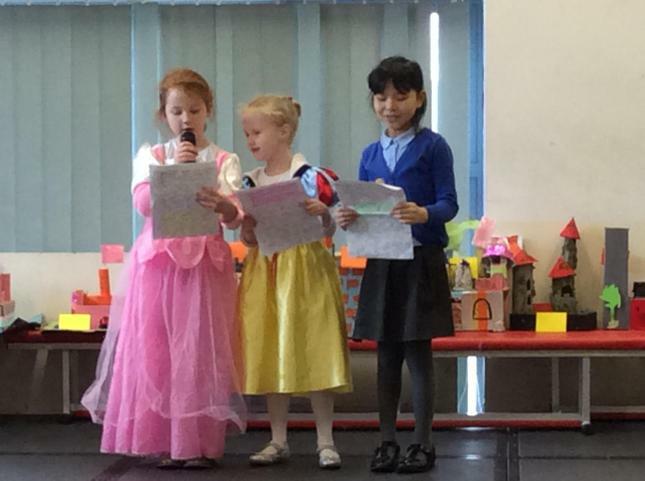 Spellings are tested on an individual basis and at various times throughout the week so please ensure that your child’s pink book is in school every day. 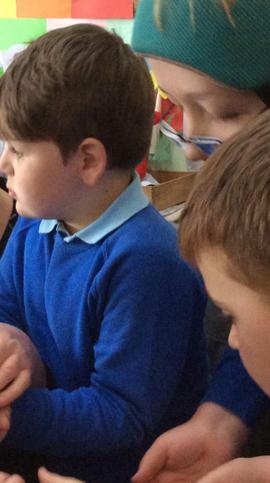 If you would like to practise other spellings, please concentrate on the sound found at the front of the RWInc books, e.g. 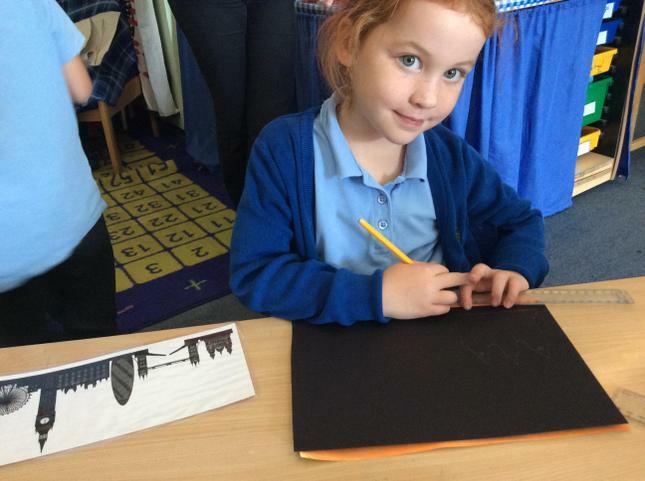 If the sound on the front of their book is ‘ee’, practise spelling words with that sound e.g. 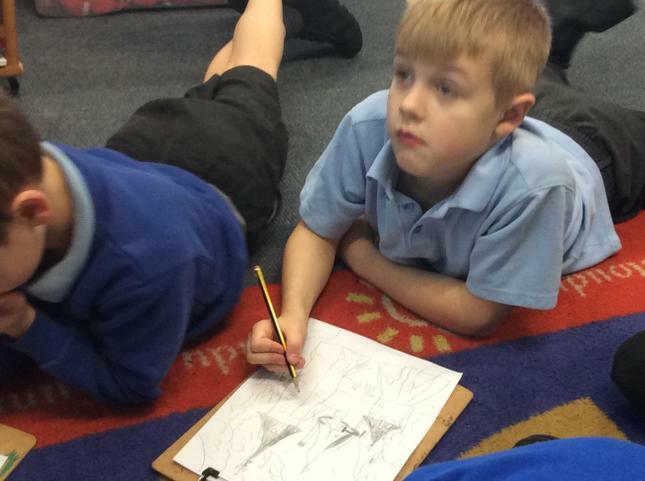 see, been, tree, three. 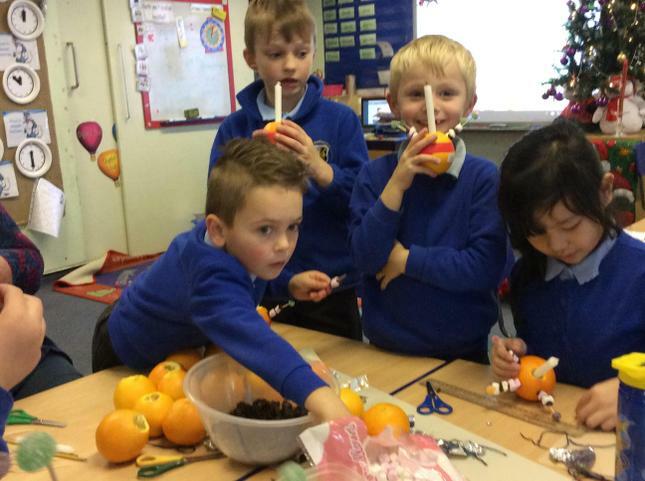 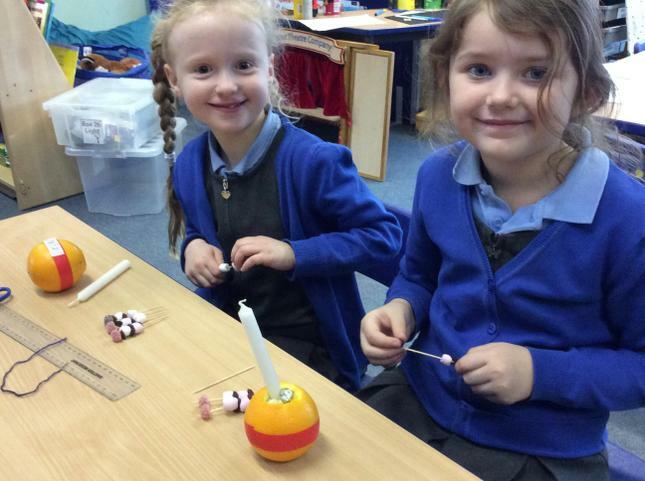 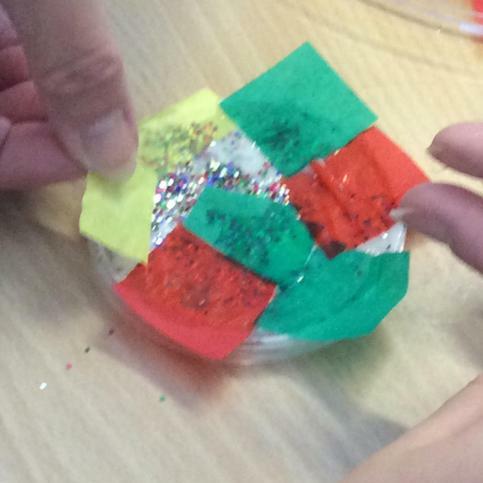 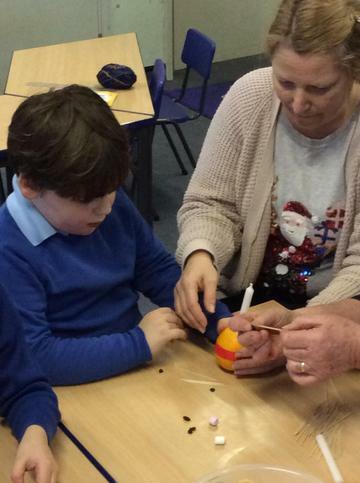 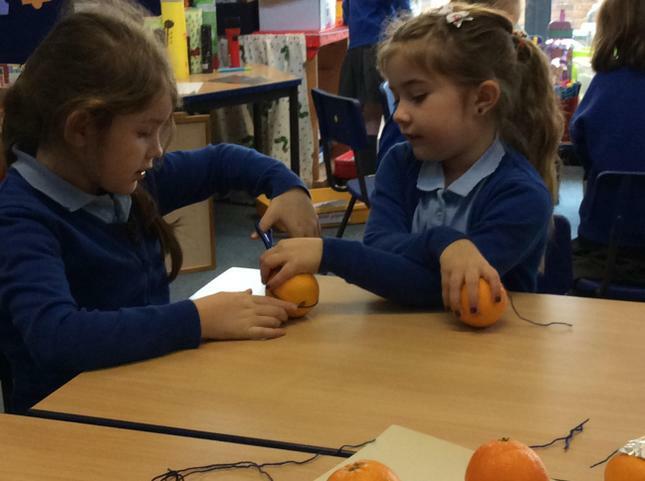 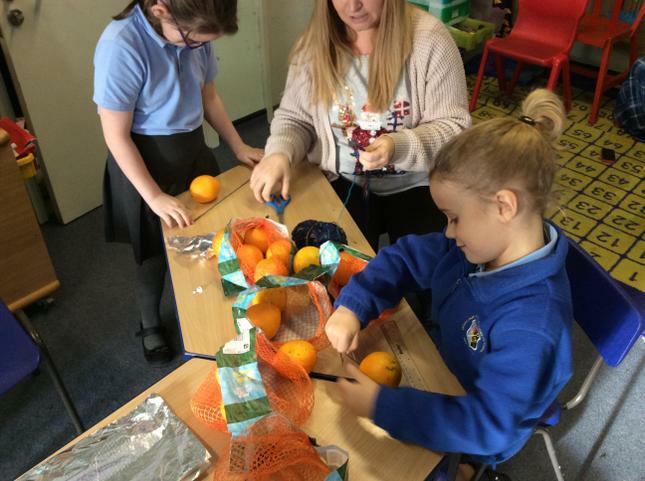 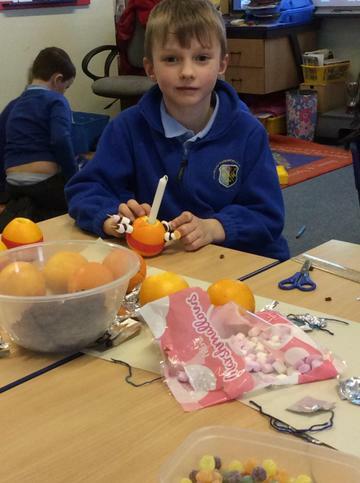 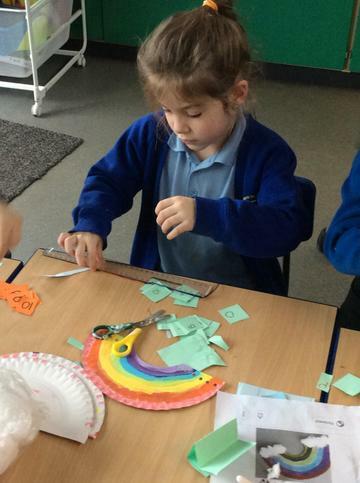 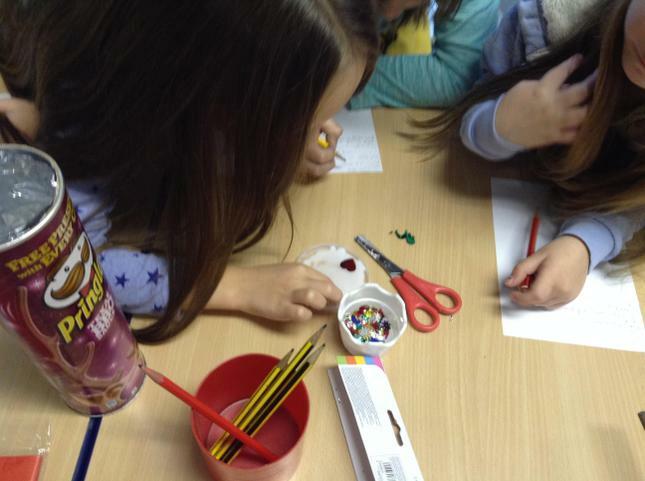 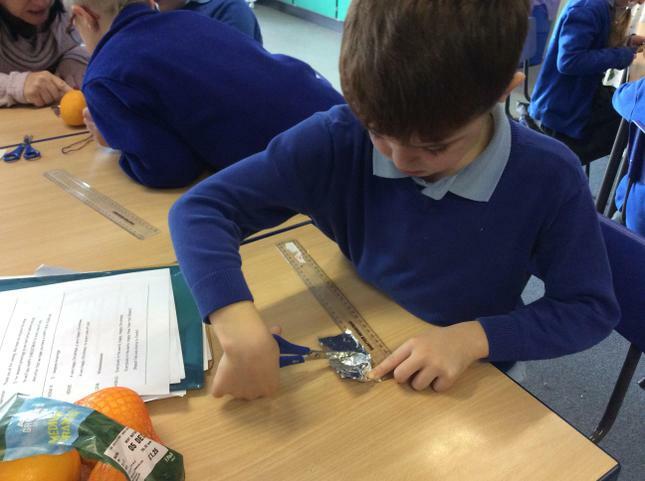 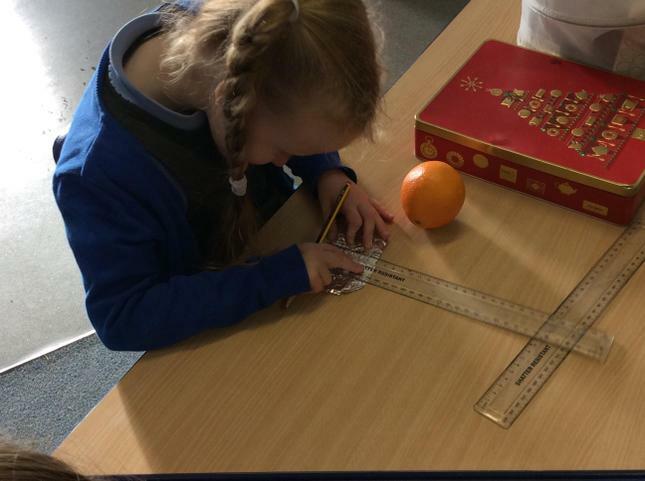 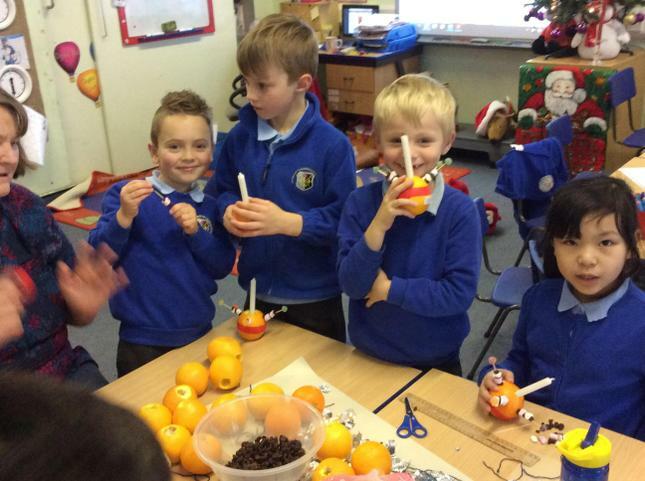 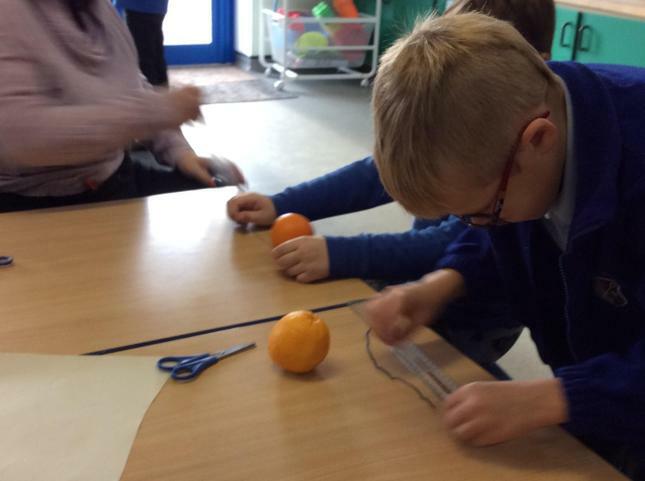 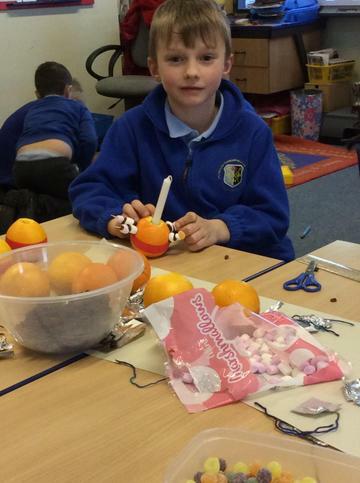 On Tuesday we made our Christingles and learnt about what each part represents. 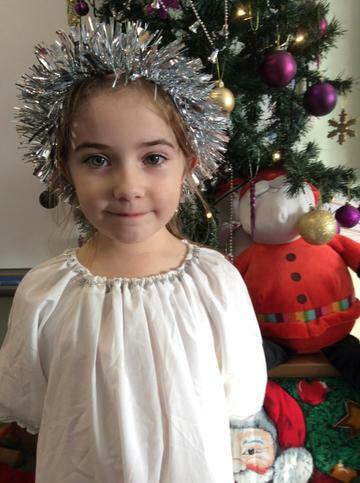 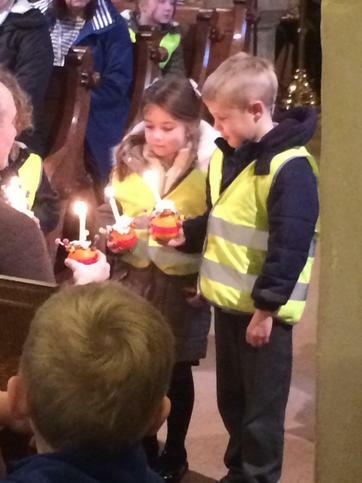 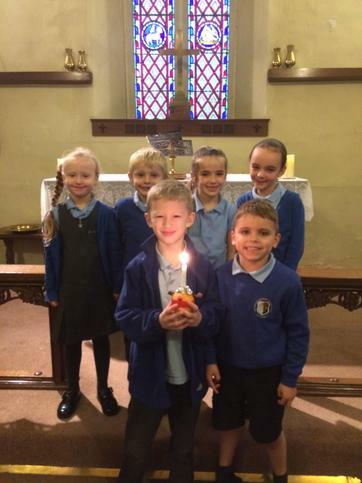 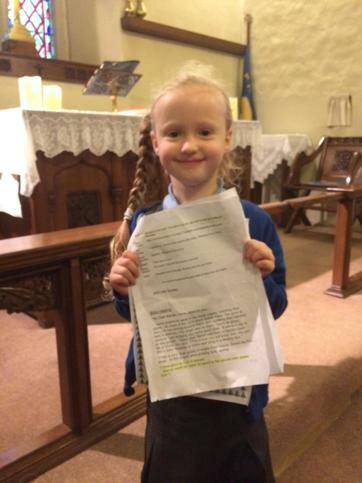 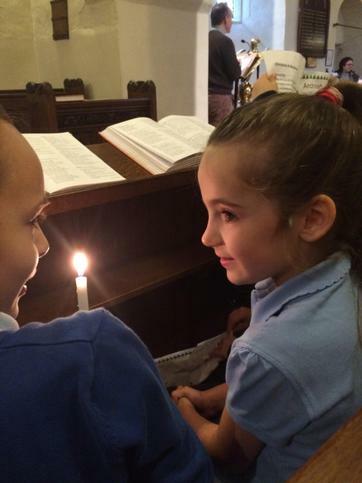 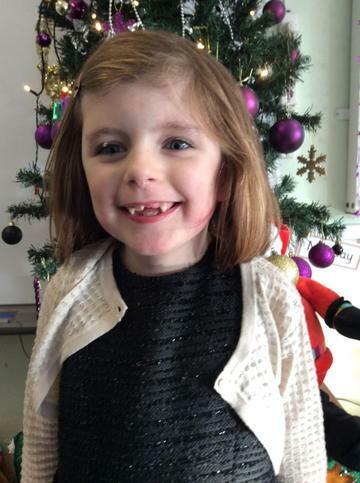 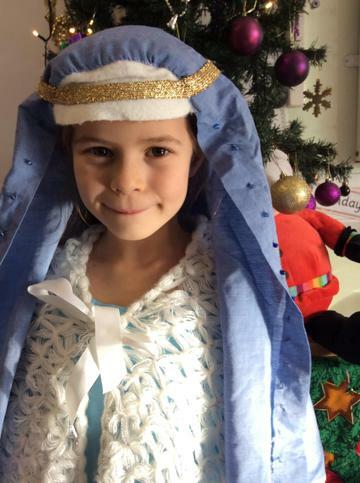 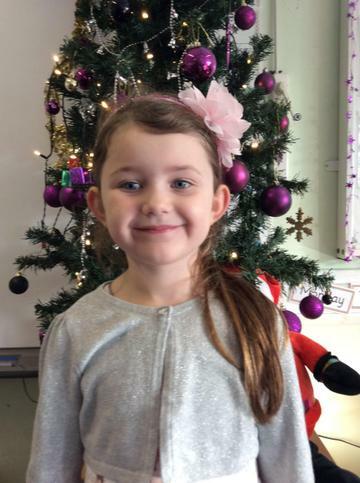 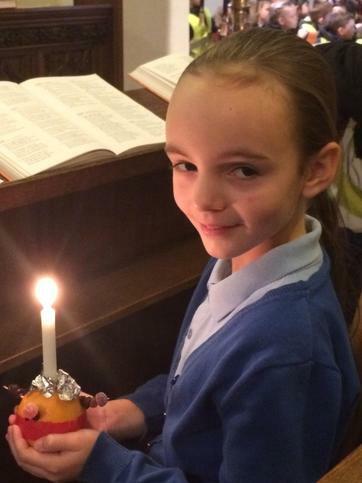 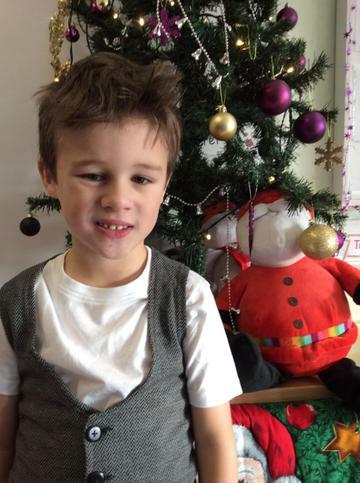 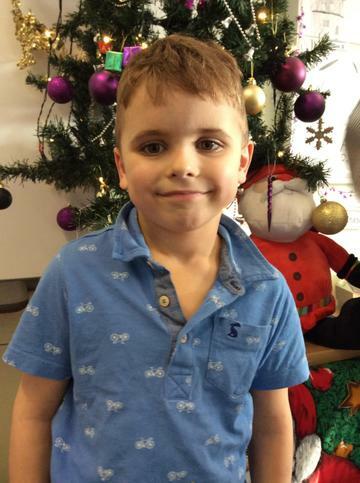 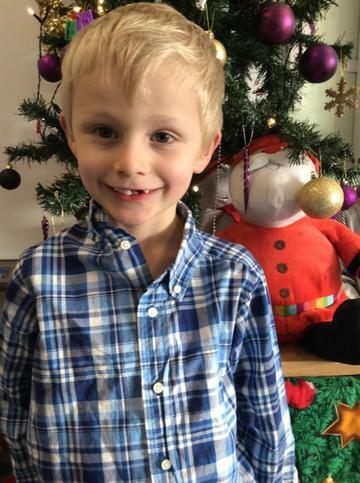 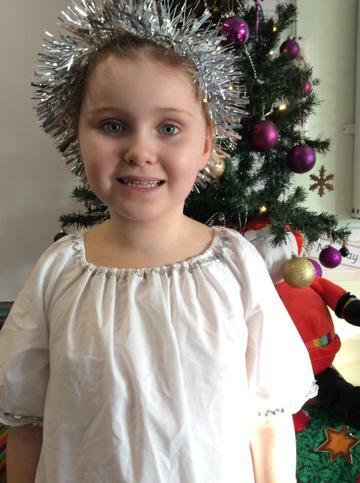 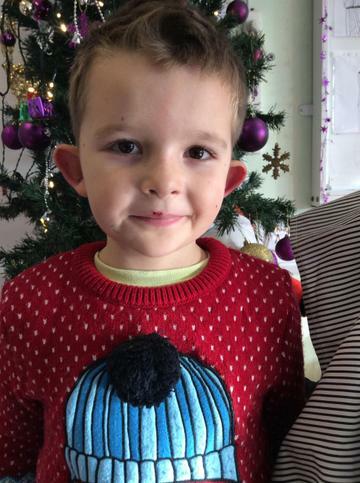 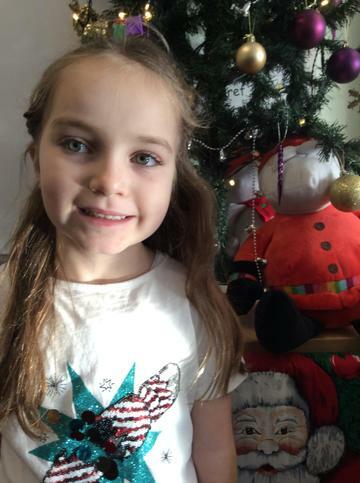 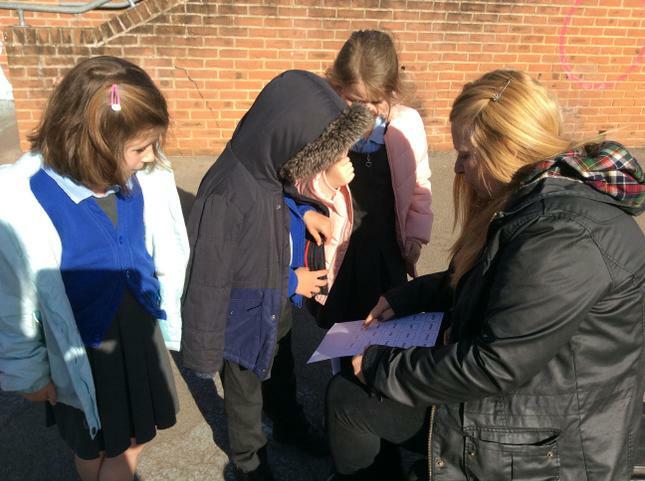 On Wednesday Foundation phase walked to church to hold our annual Christingle Service. 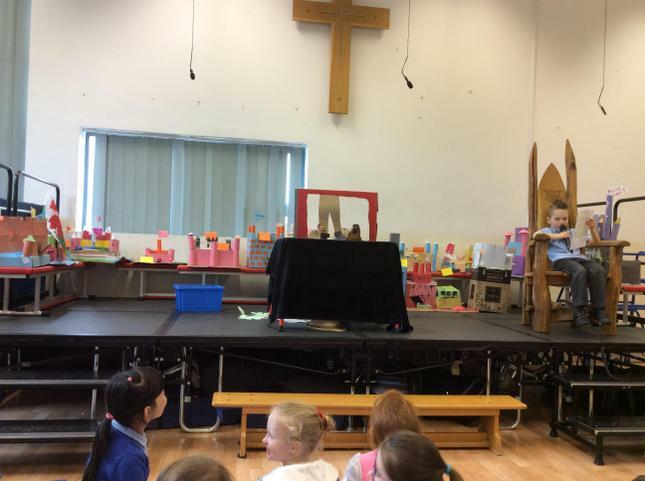 We enjoyed singing and listening to Reverend Richard. 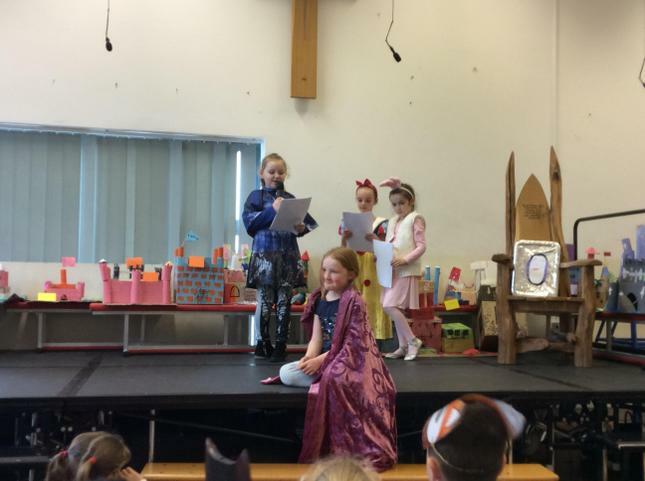 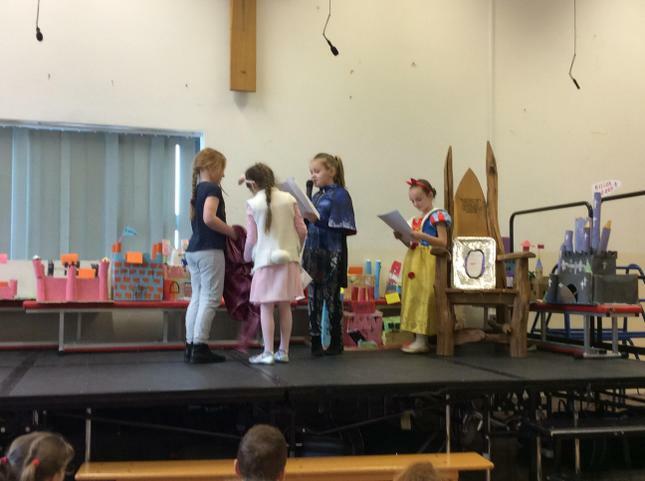 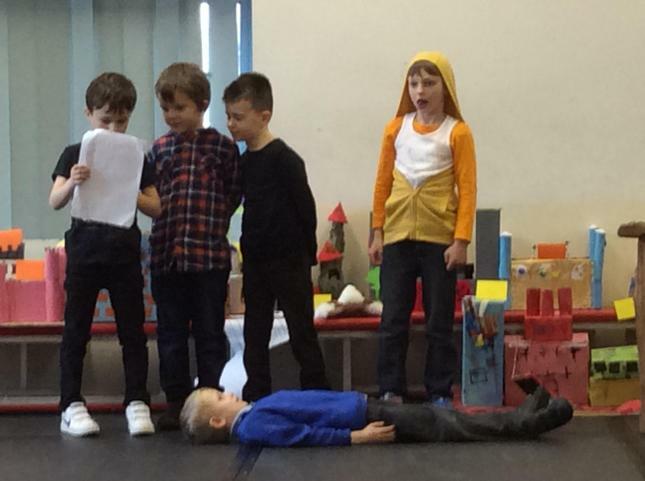 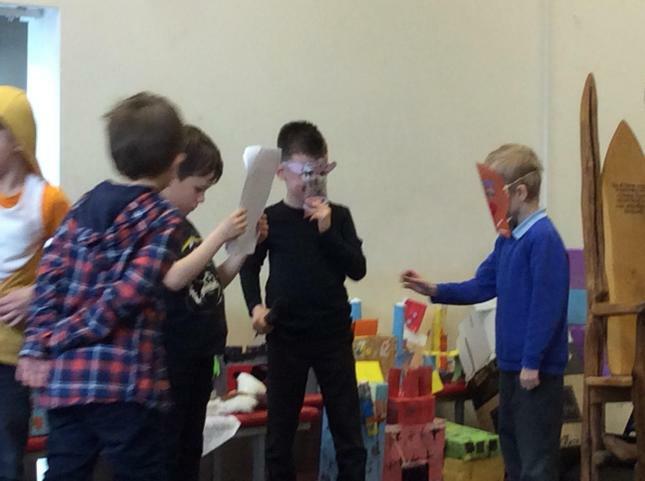 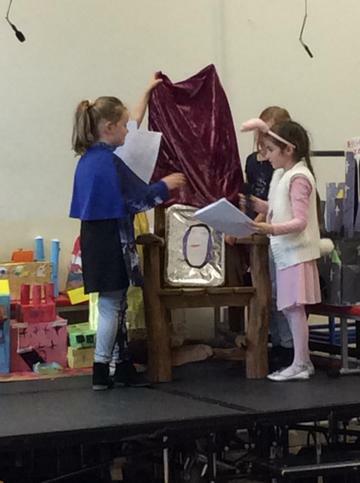 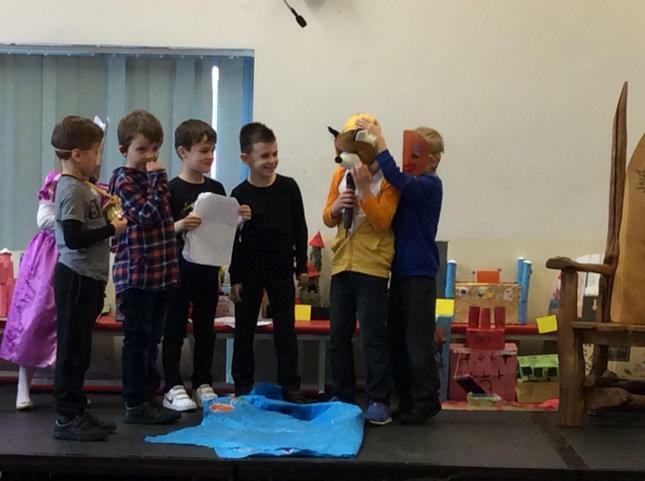 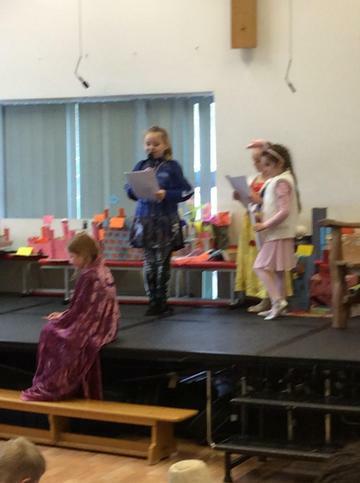 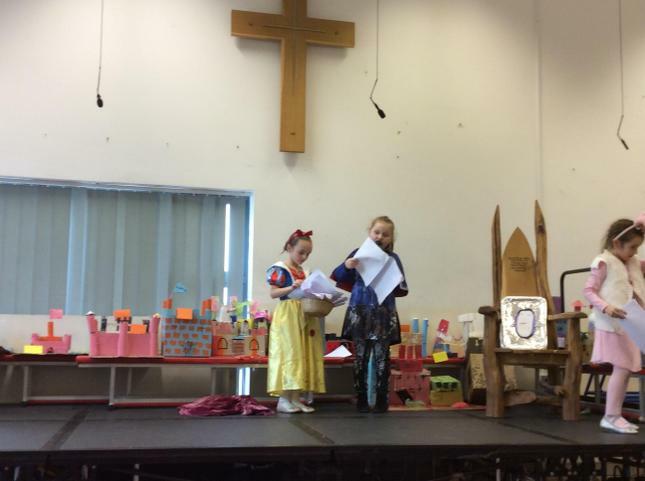 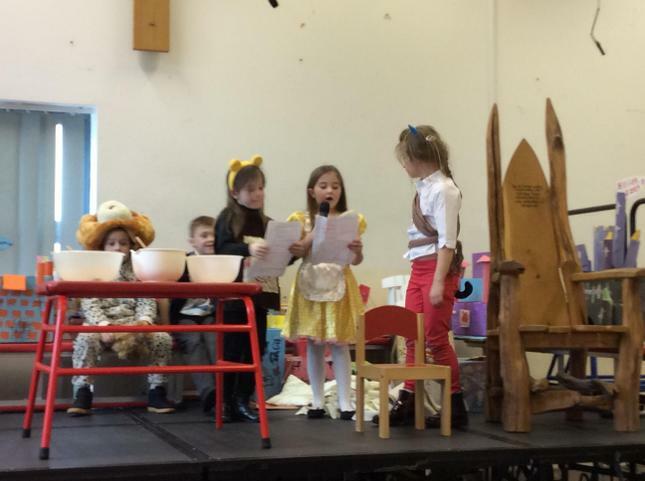 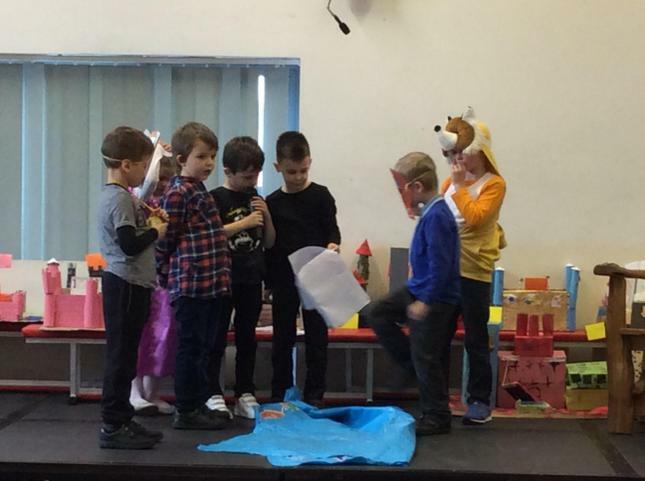 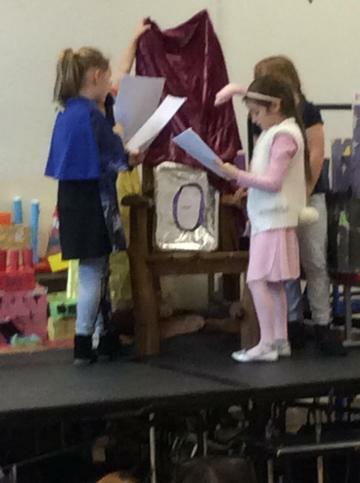 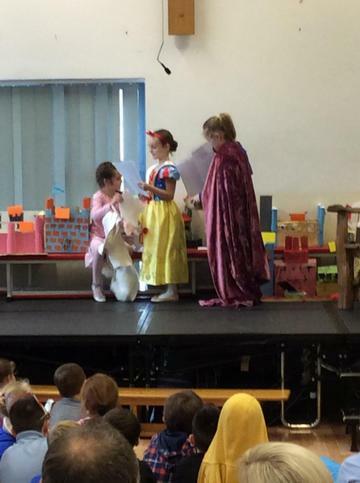 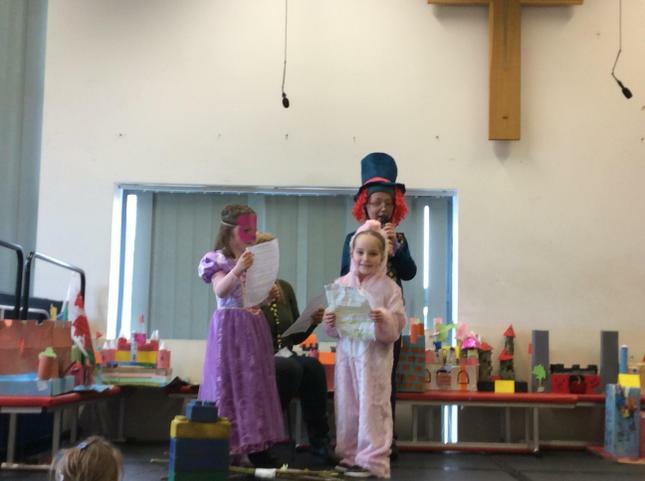 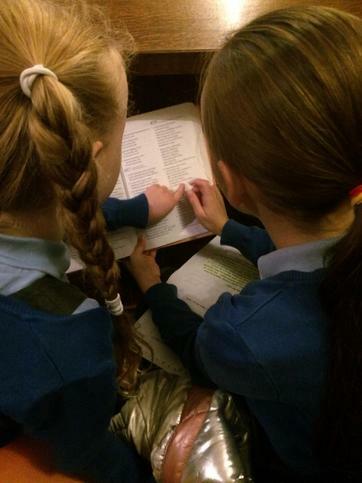 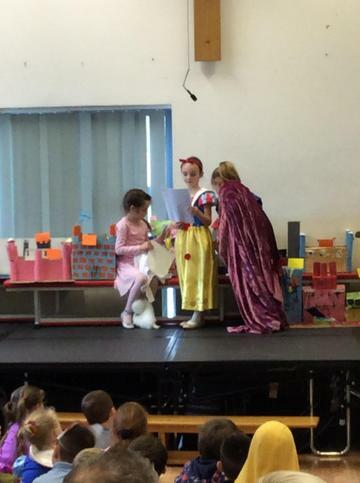 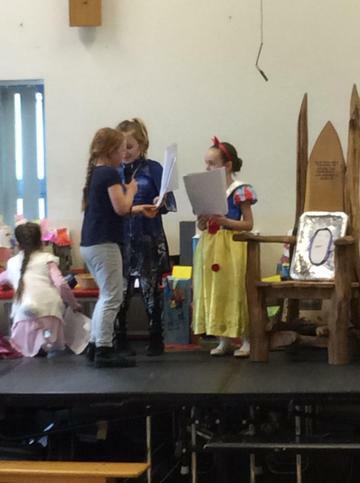 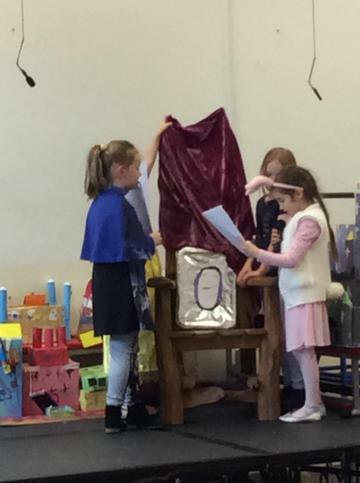 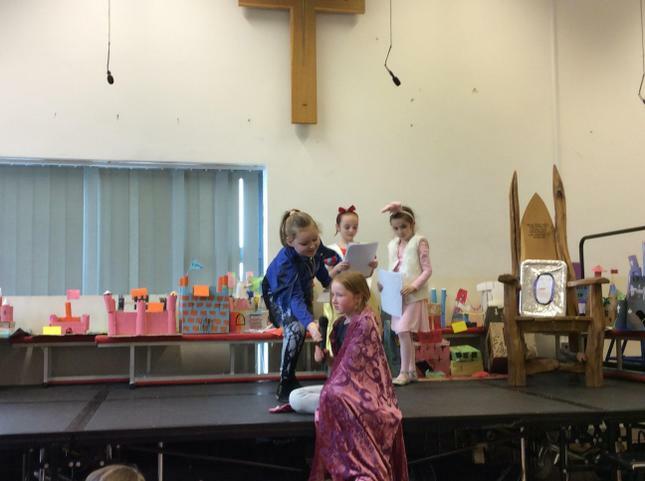 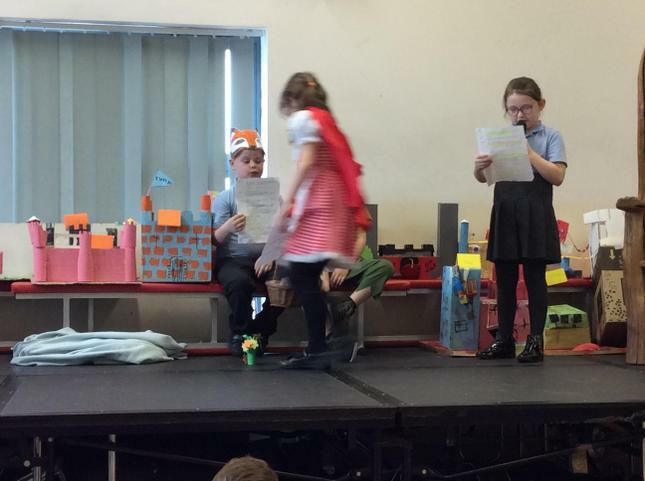 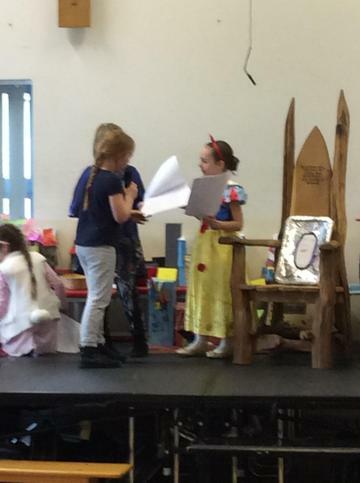 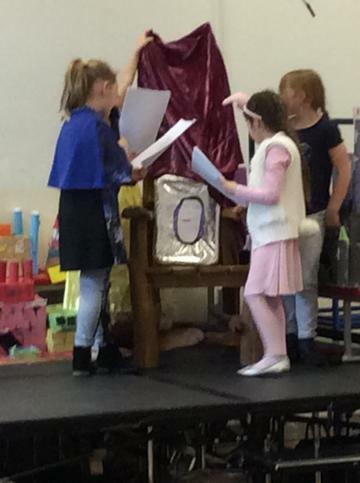 Some of our children performed a play and read from the Bible. 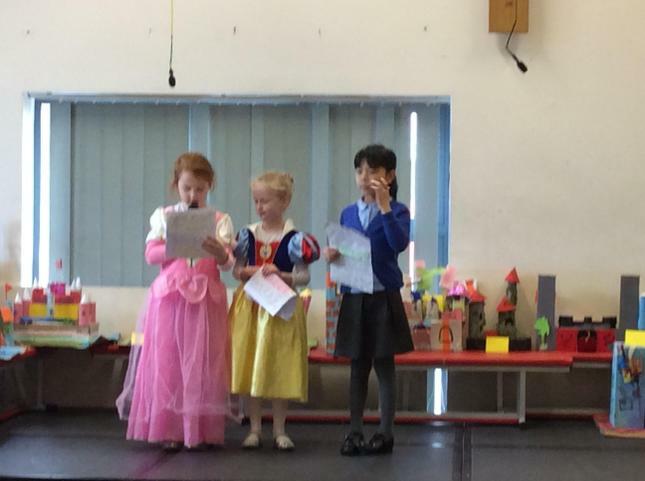 They did a fantastic job and we are very proud of them! 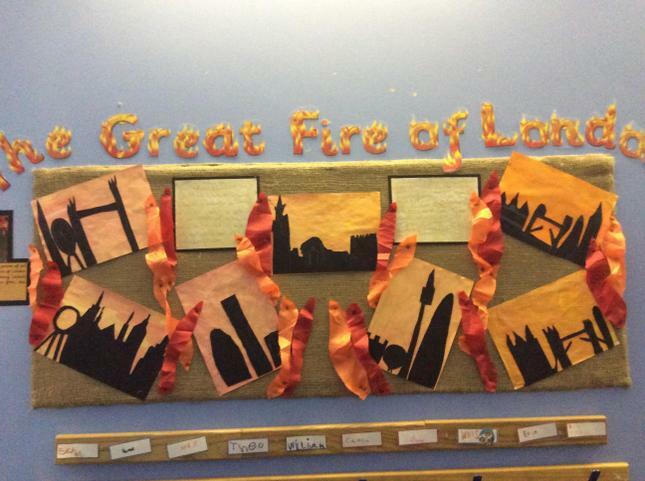 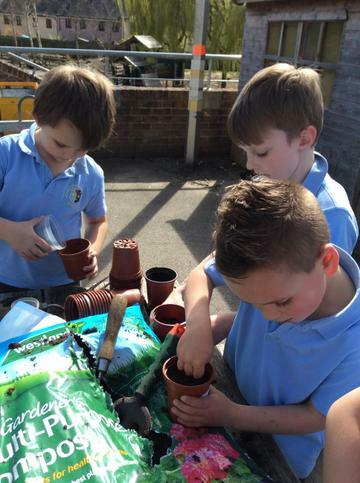 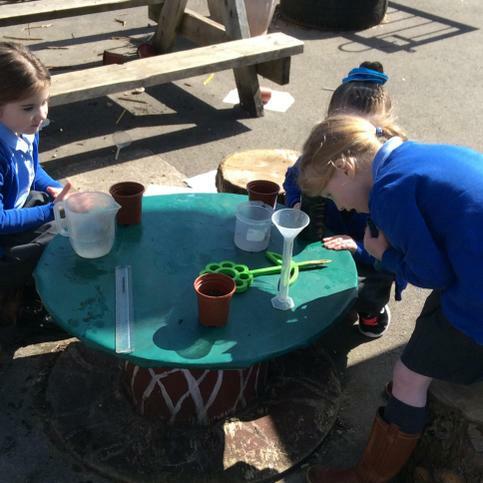 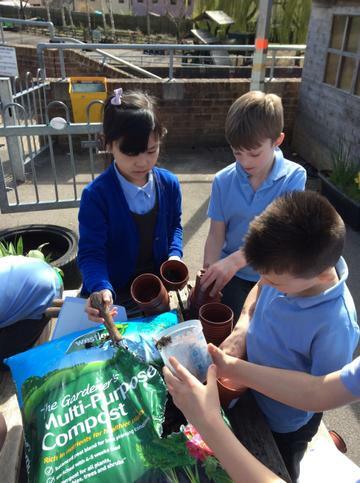 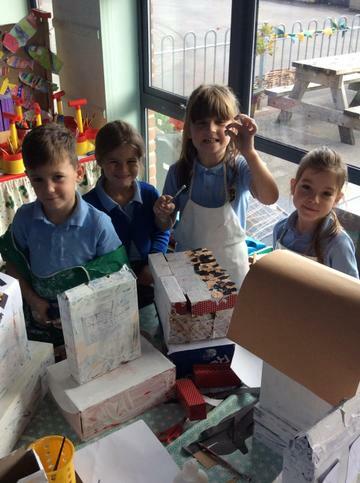 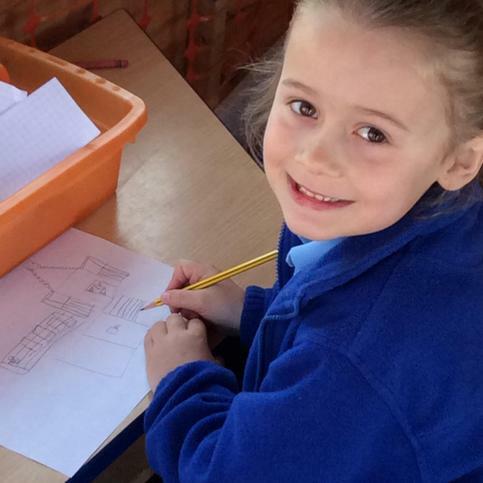 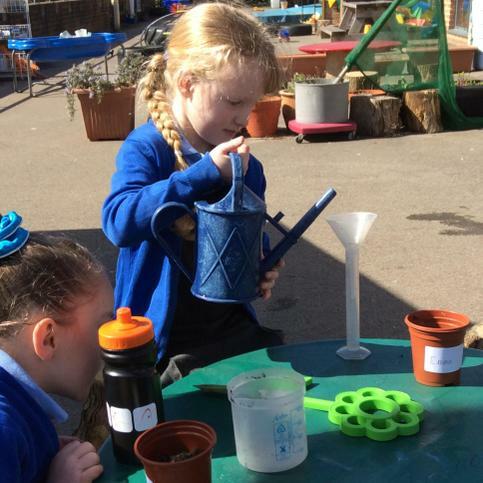 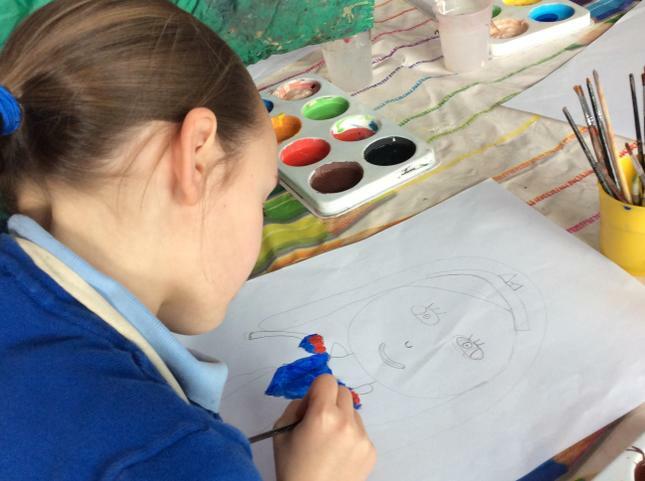 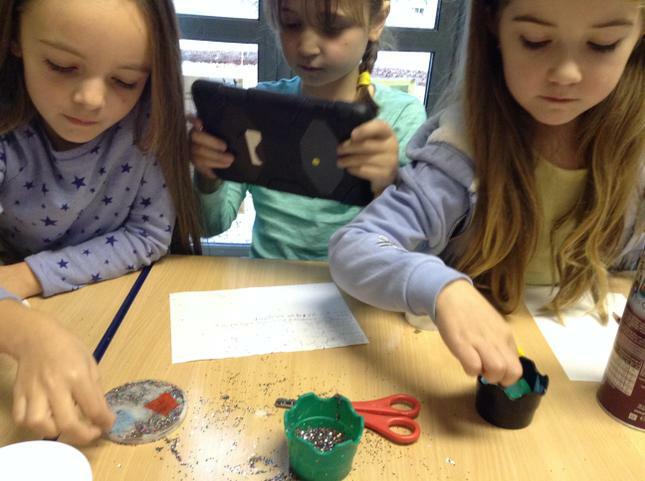 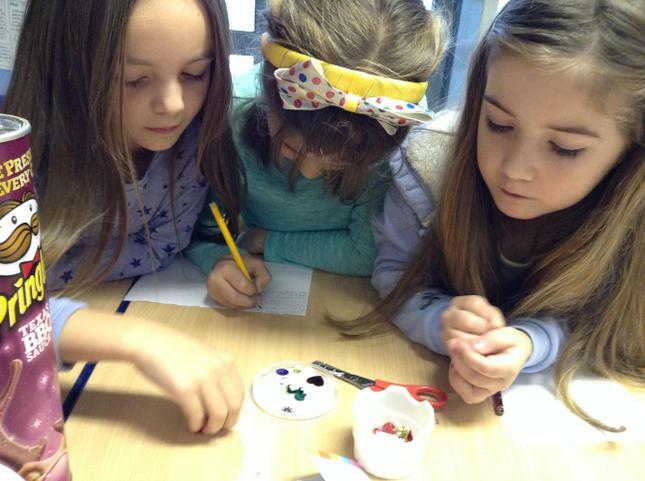 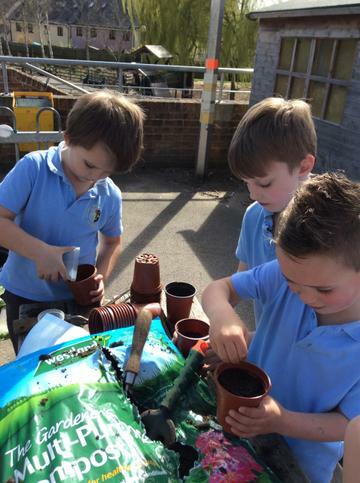 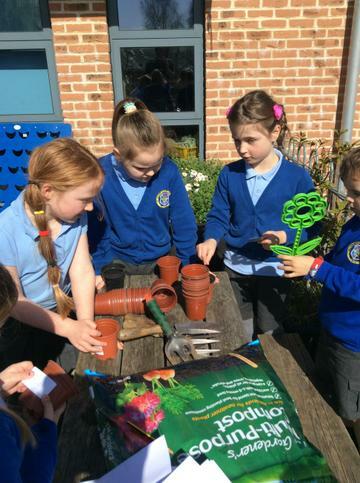 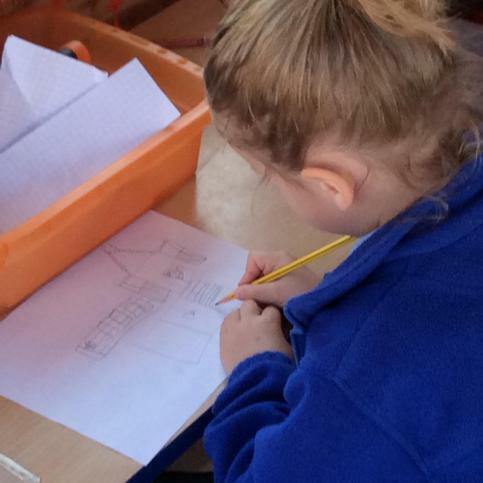 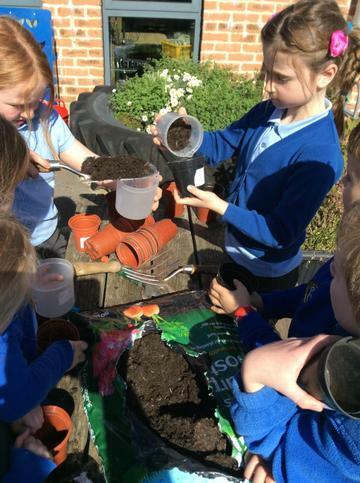 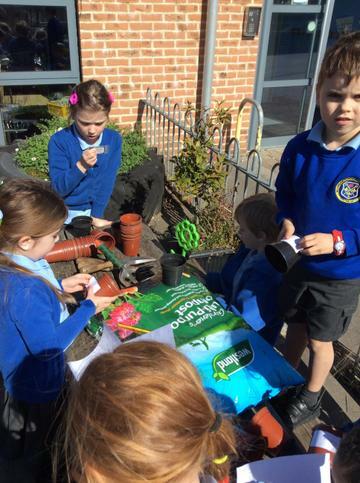 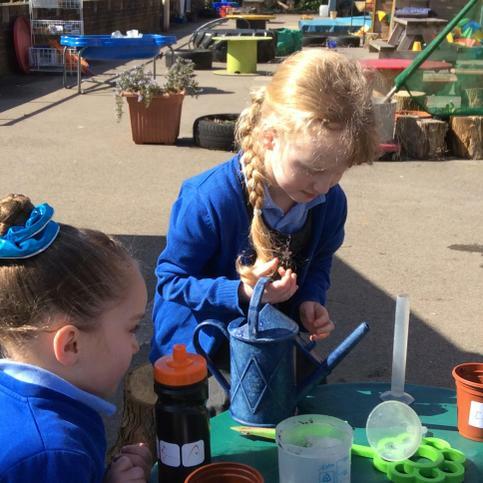 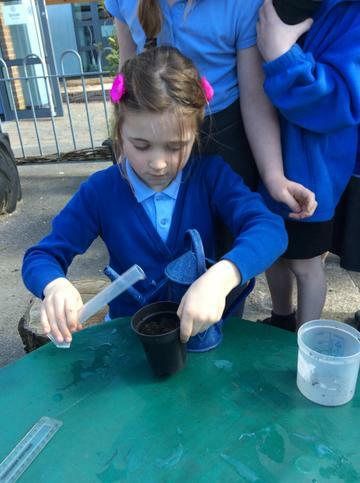 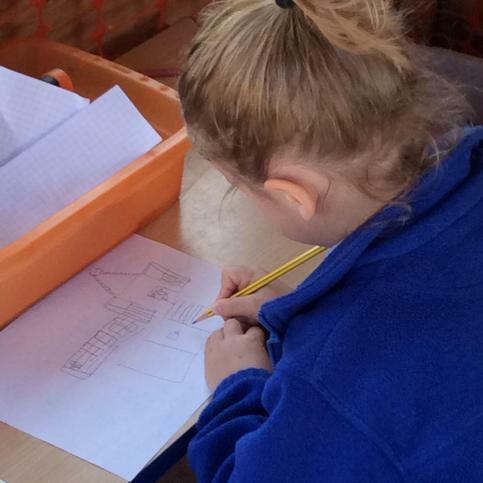 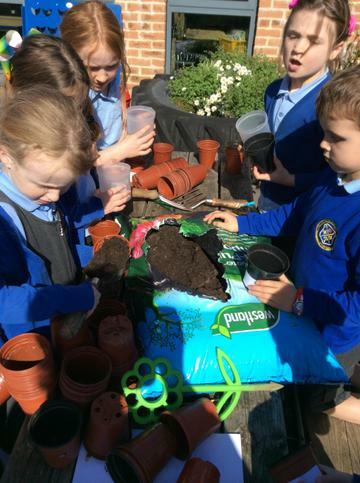 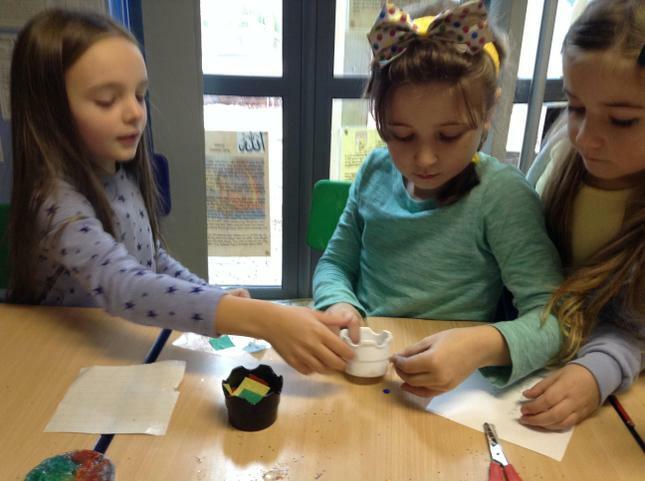 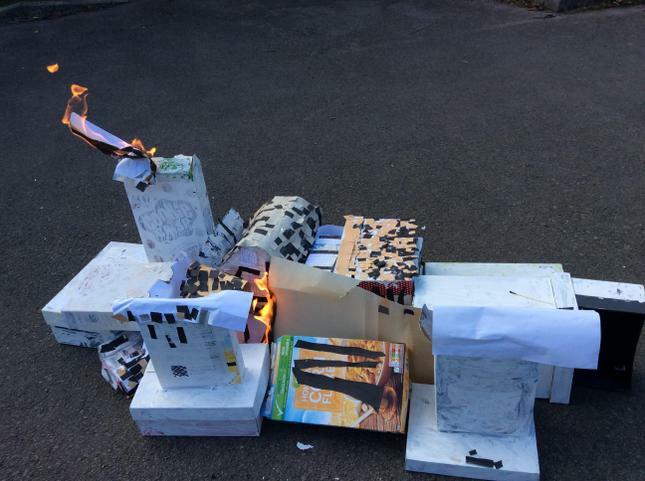 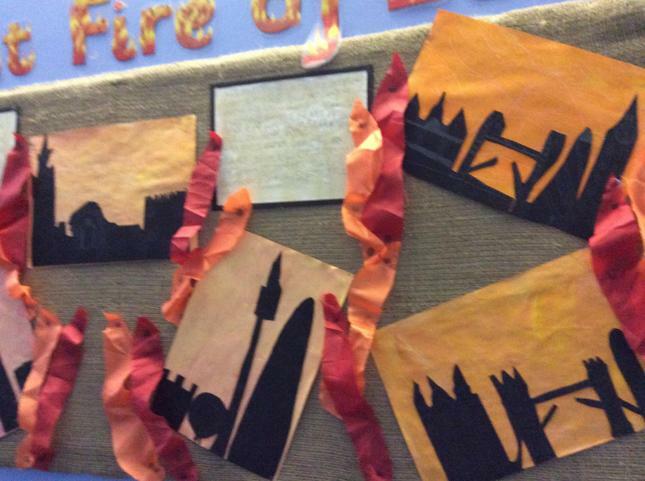 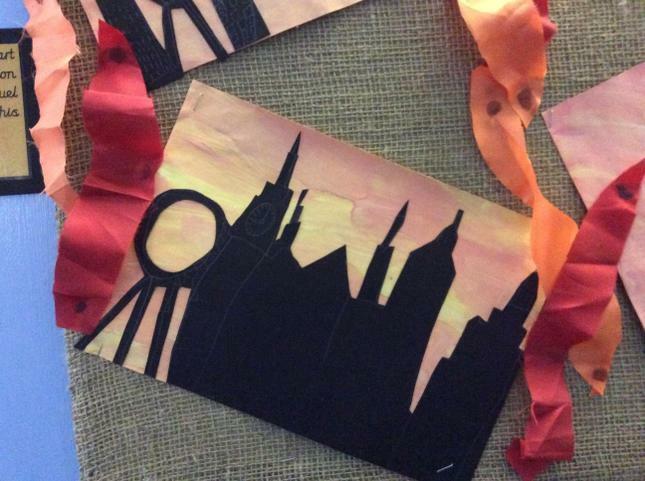 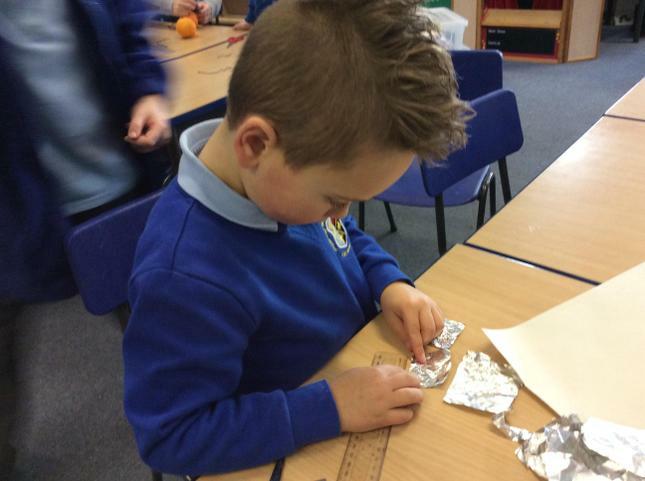 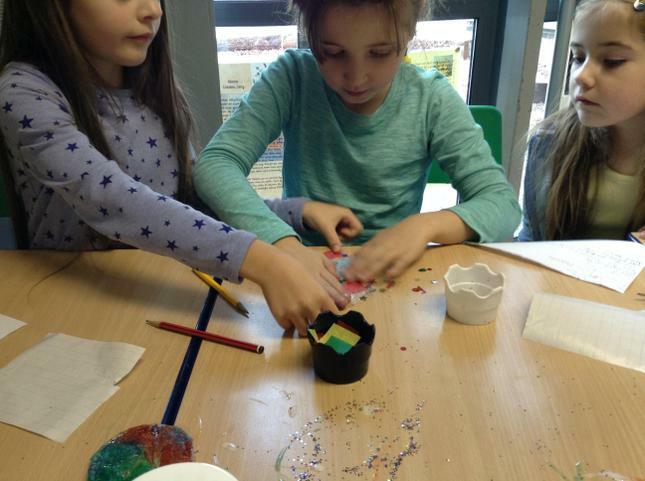 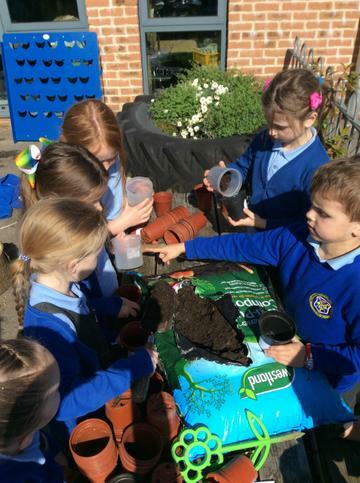 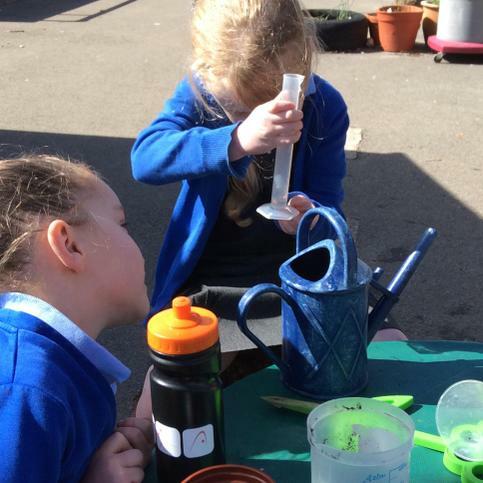 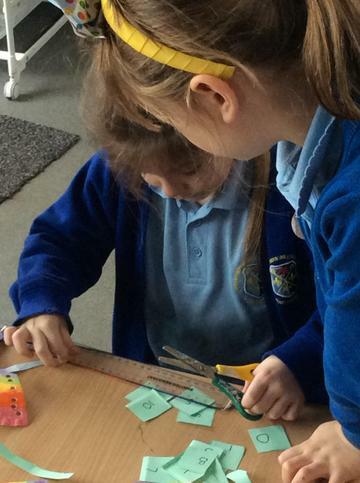 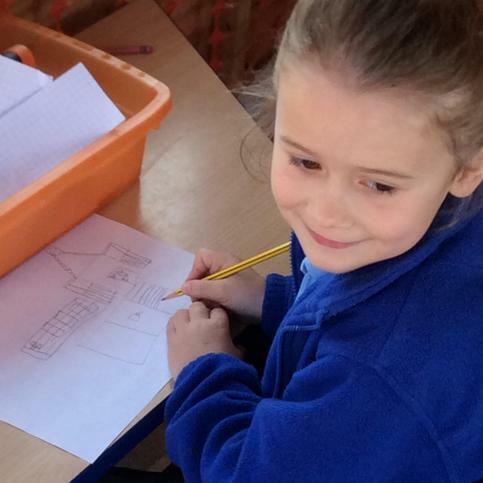 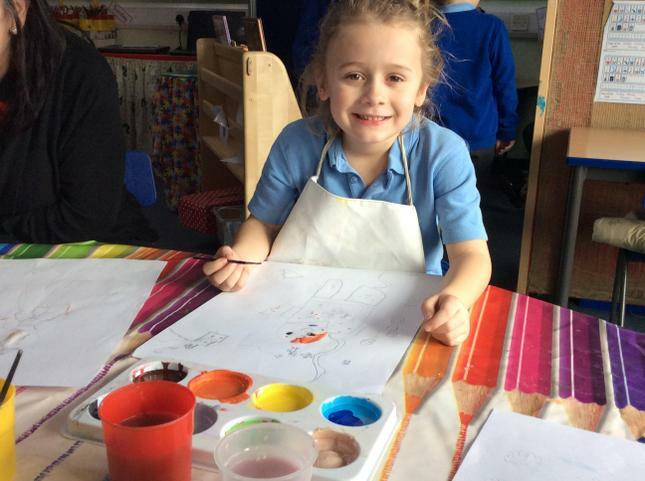 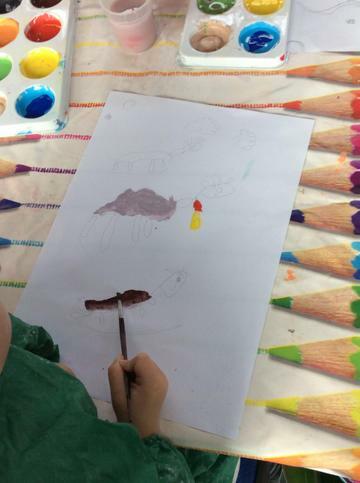 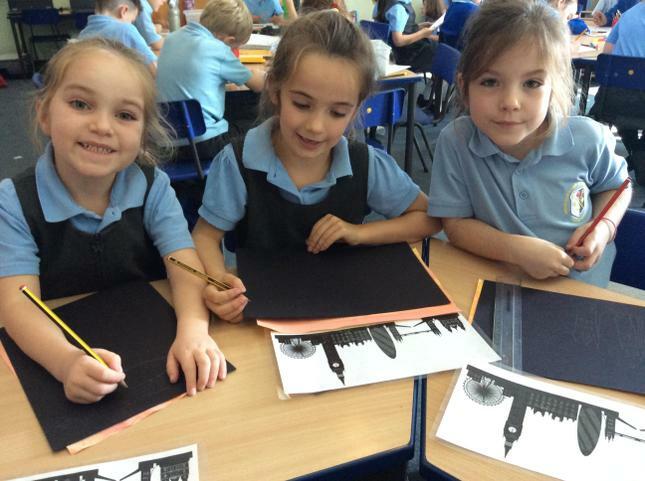 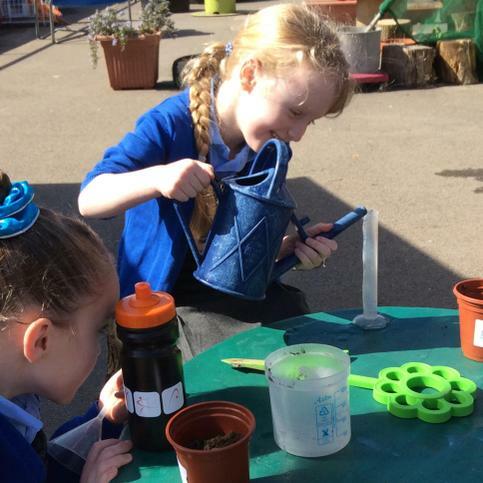 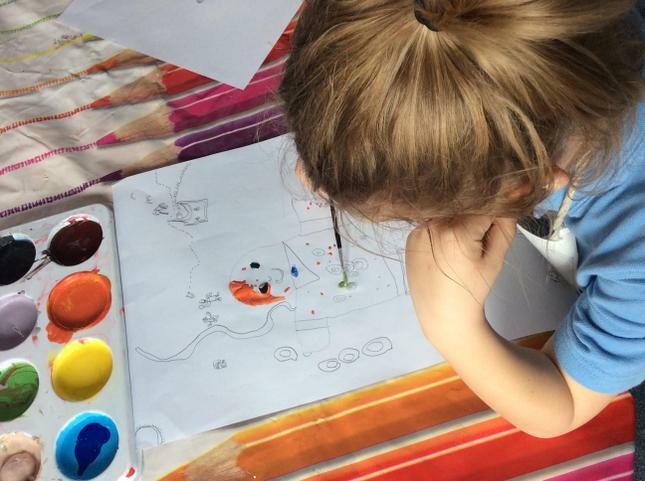 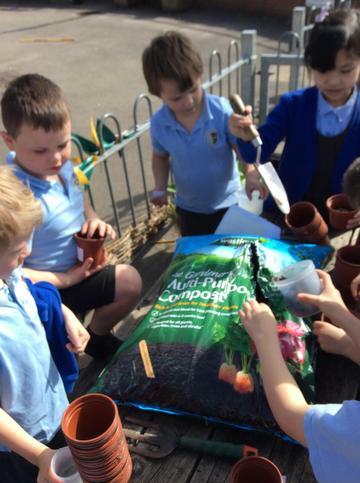 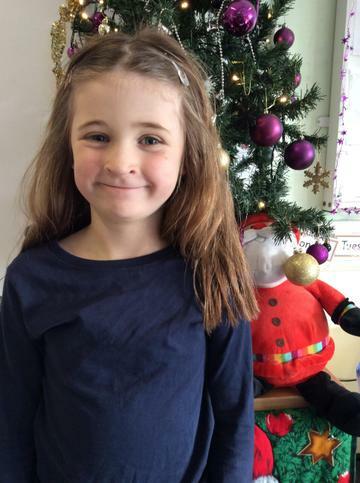 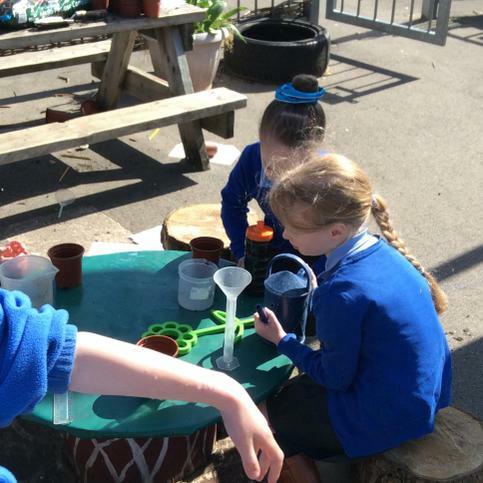 We have been very busy during the first part of the Autumn term. 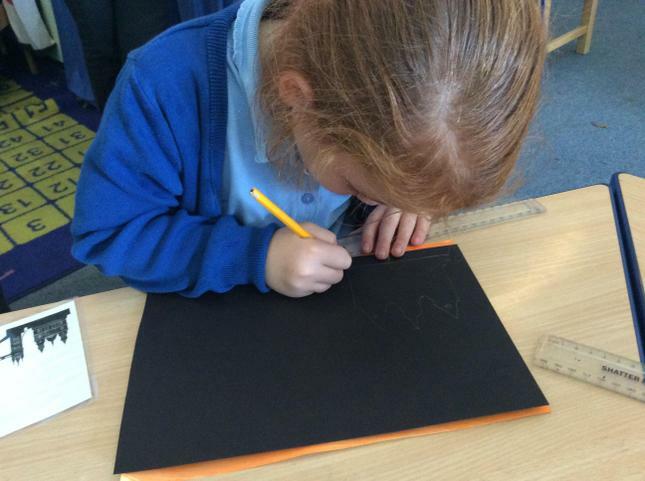 We have been working hard to learn to read and write our Read Write Inc sounds. 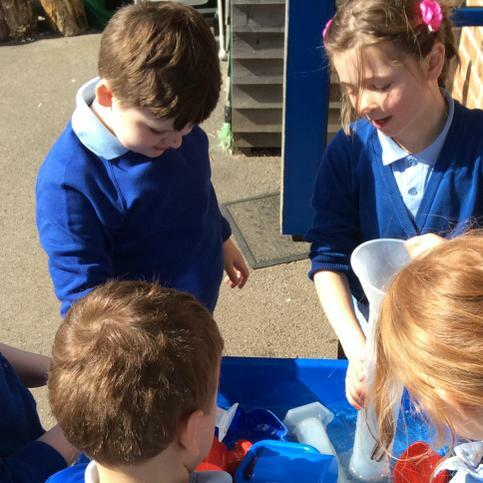 Here are some resources that you can use at home. 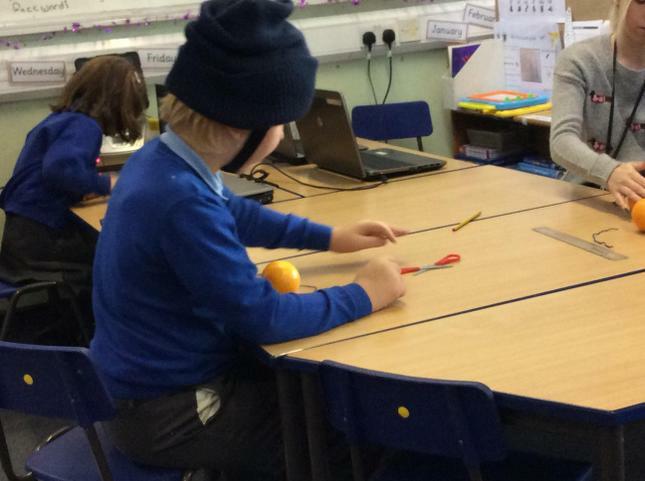 Useful websites to make learning fun! 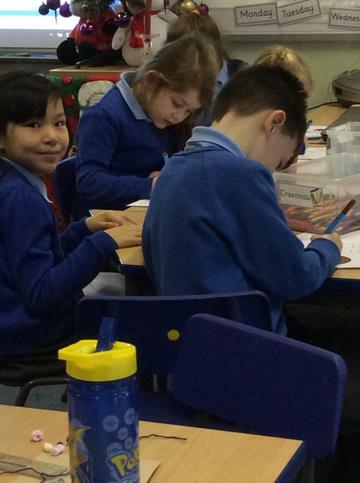 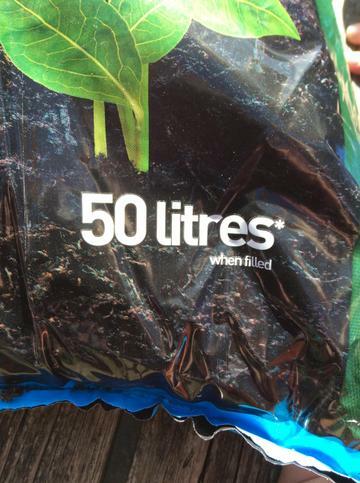 Practice Tests - Have a go at home!